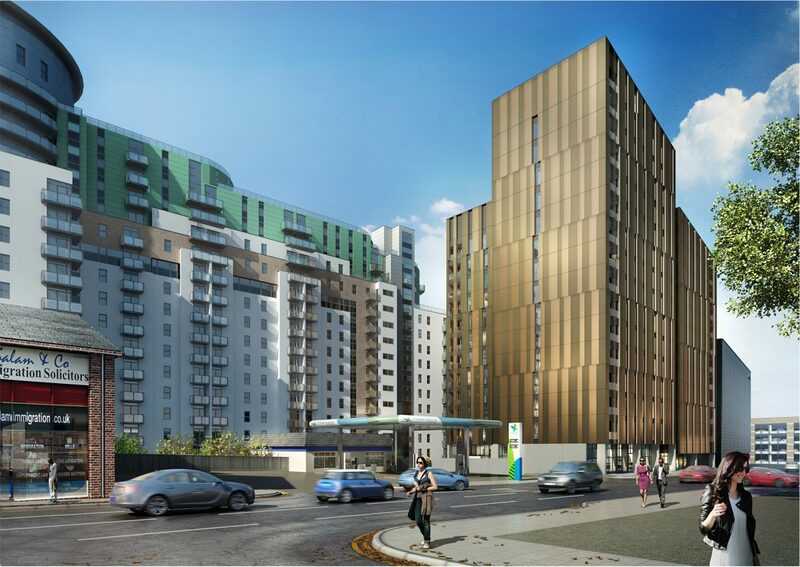 Bowman Riley was appointed to develop the architectural and interior designs on The Hallmark Building, a major residential development at Green Quarter in Manchester, a one million ft2 mixed-use development alongside the River Irk in northern Manchester. This is a major regeneration area set around open green space. 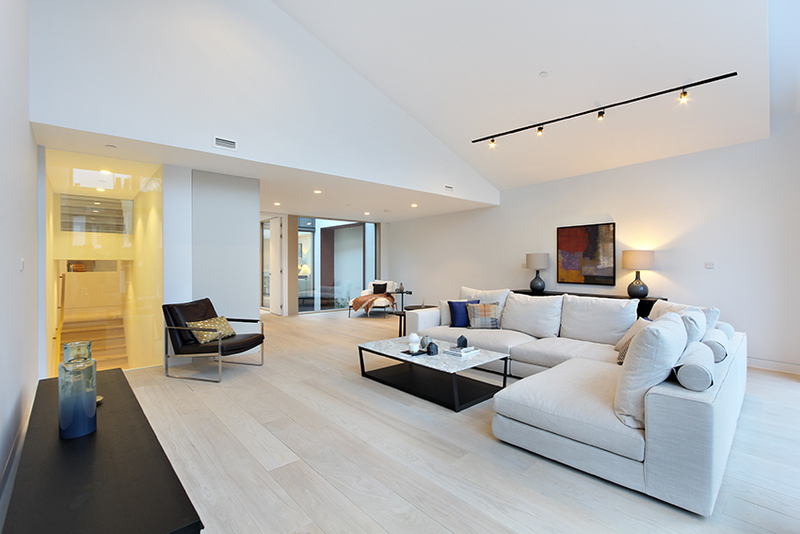 All the existing residential units at Green Quarter were completely sold out. 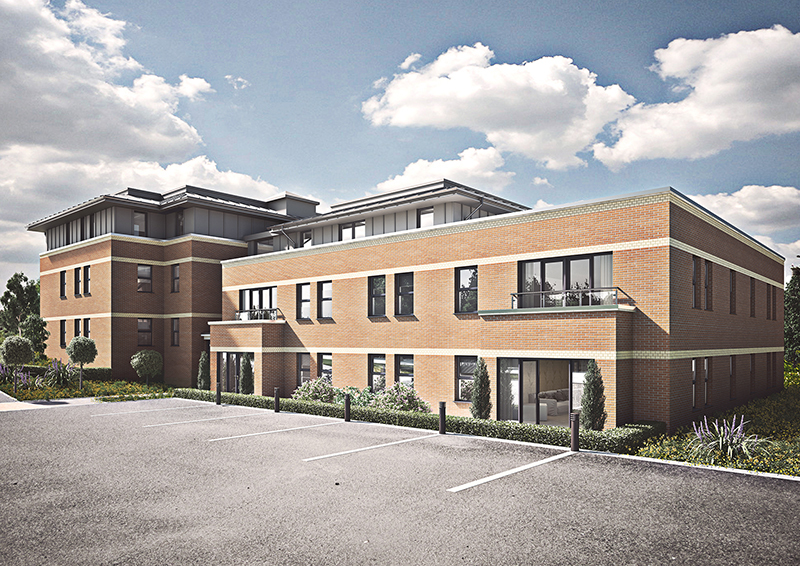 With continued excess demand, Beaumont Morgan purchased a site with planning already secured to develop a new building entitled The Hallmark Building. 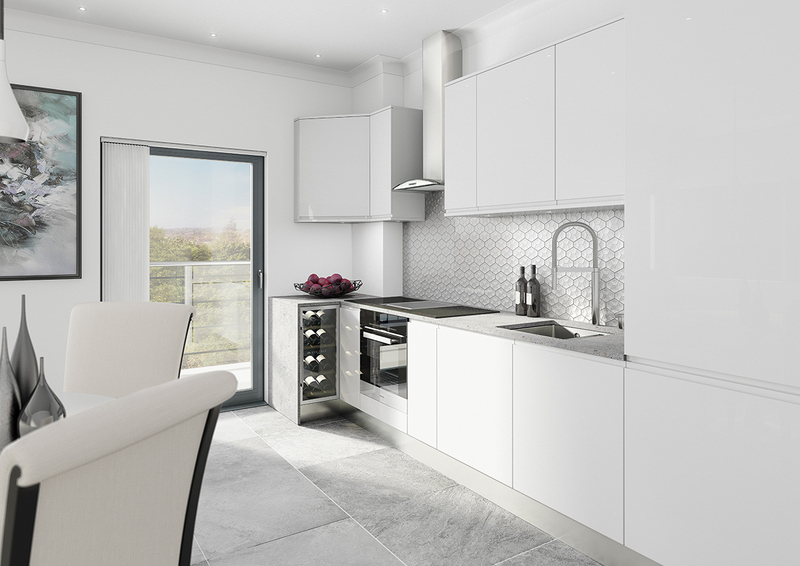 The 15 storey Hallmark Building comprises 146 high-quality apartments comprising a variety of one, two and three-bedroom apartments in a range of sizes with underground car parking designed to appeal to professionals working in the city. 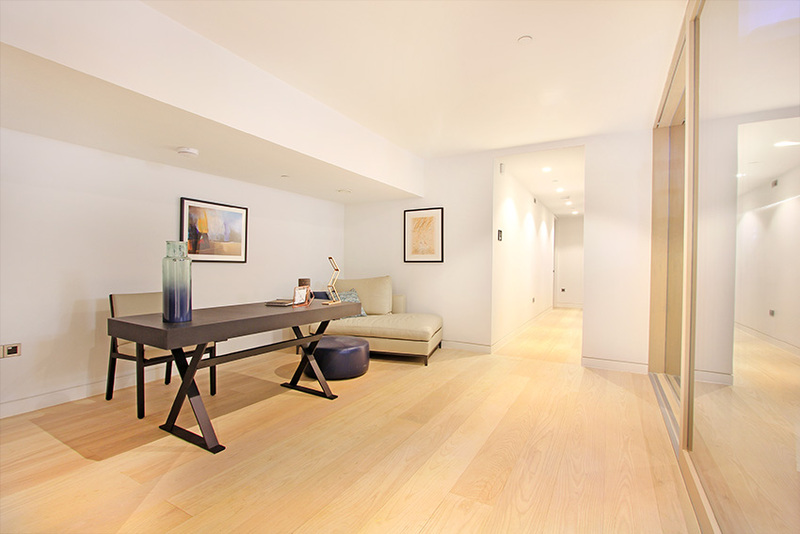 Bowman Riley was involved in the building’s design and delivery and the provision of a detailed package of interior design on the reception and common areas. The building’s features an active frontage created along the important arterial route of Cheetham Hill Road, addressing the pedestrian and vehicular route into the city through the northern fringe. 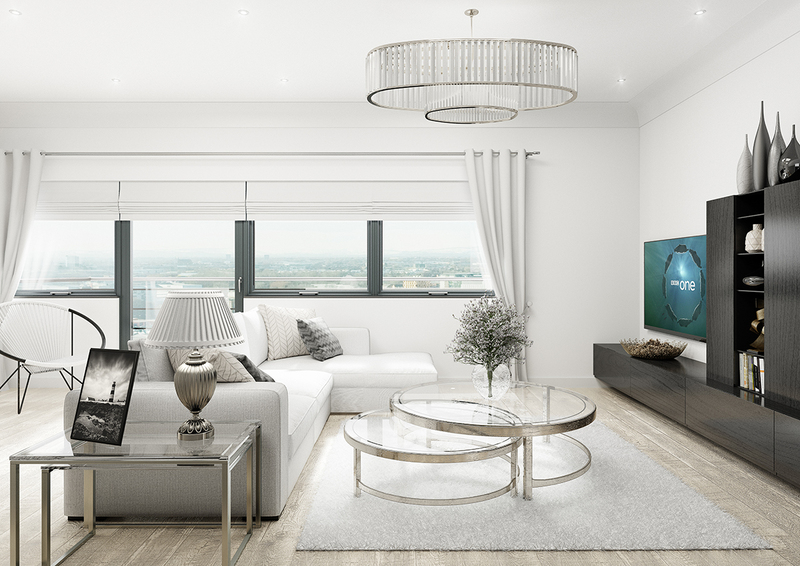 The contemporary high-end interior design for the common areas features a palette of tonal colours and materials from gold, to marble and timber. We provided a technical package of information involving the creation of a detailed plan and specification for the foyer and reception. 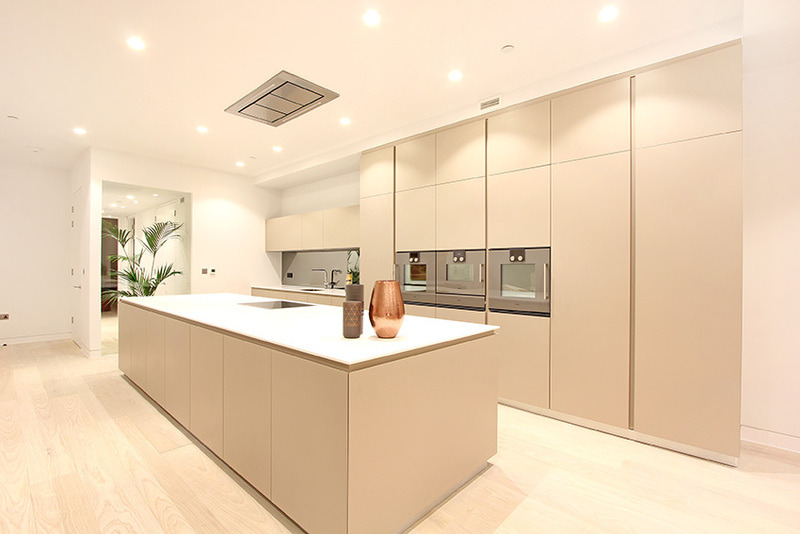 Working with concept designs from the client’s design team, we provided the technical and construction level of information to realise the client’s aspirations. Images courtesy of Beaumont Morgan. CLICK HERE TO SEE THE LATEST DRONE VIDEO. 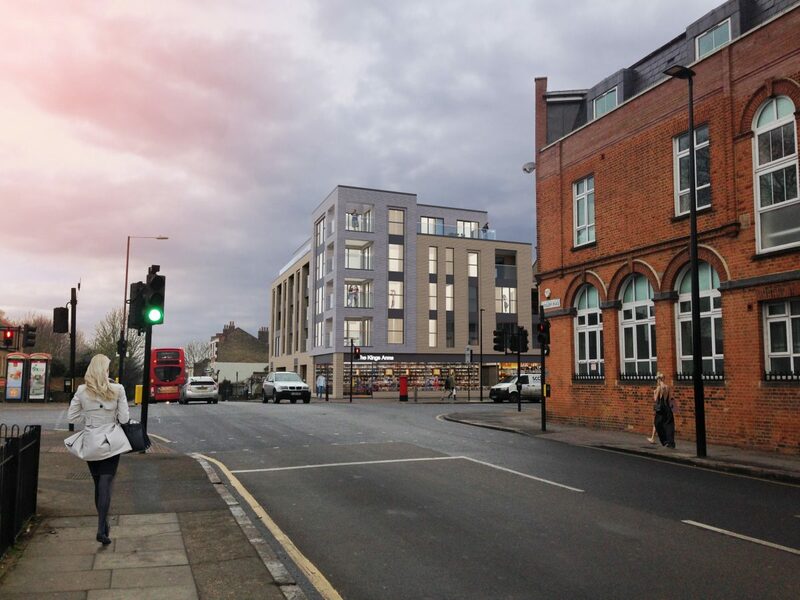 Bowman Riley was appointed to develop the designs of a new high-quality mixed-use development on Aldenham Road in Watford with retail and residential accommodation that will make a positive contribution to the surrounding street environment and the growing residential community. 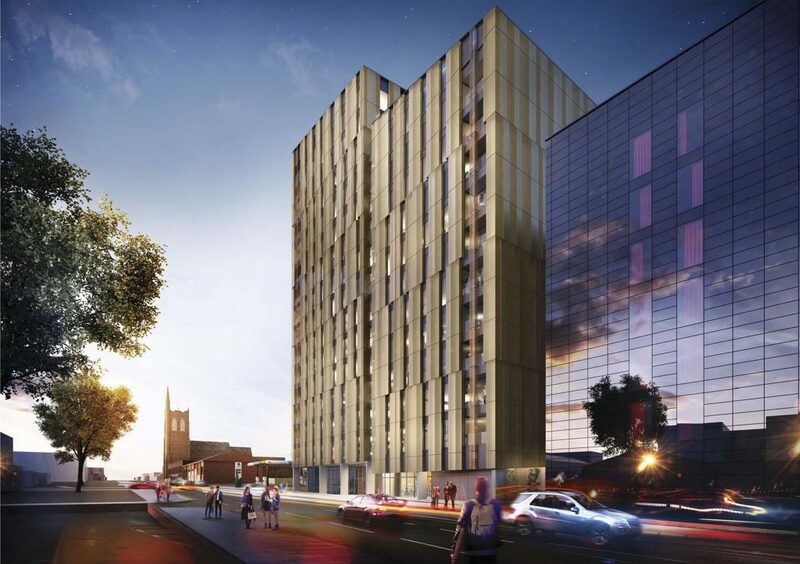 The scheme will create a contemporary and sustainable development that will contribute to the area’s future redevelopment and that is in line with the Local Development Plan. The development will re-establish the street frontage by filling an incongruous gap and mediating between varying differences in scale, materiality and massing of the neighbouring buildings. 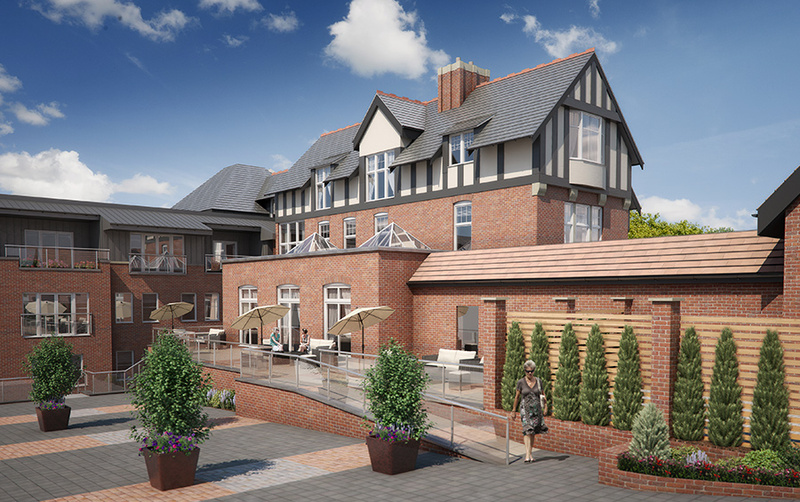 The project entails the demolition of the existing tile and windows showroom and the redevelopment of the site with the construction of a high-quality, mixed use development over three storeys. 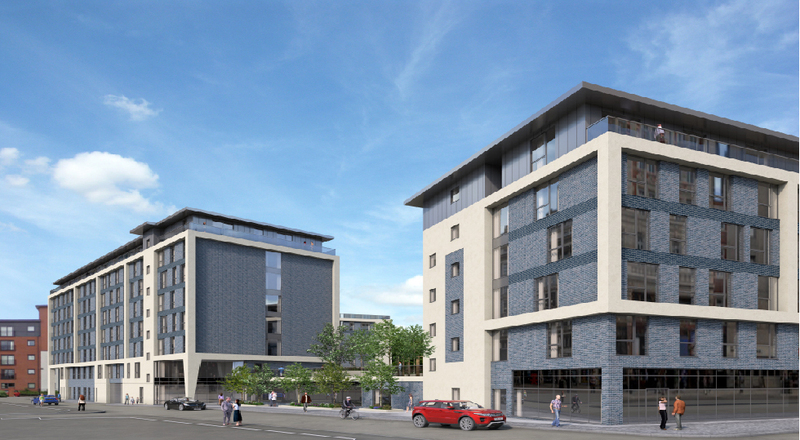 The proposals comprise of a retail unit on the ground floor and nine self-contained apartments on the first and second floors designed to be well proportioned with good natural daylighting. Associated car and cycle parking will be provided. 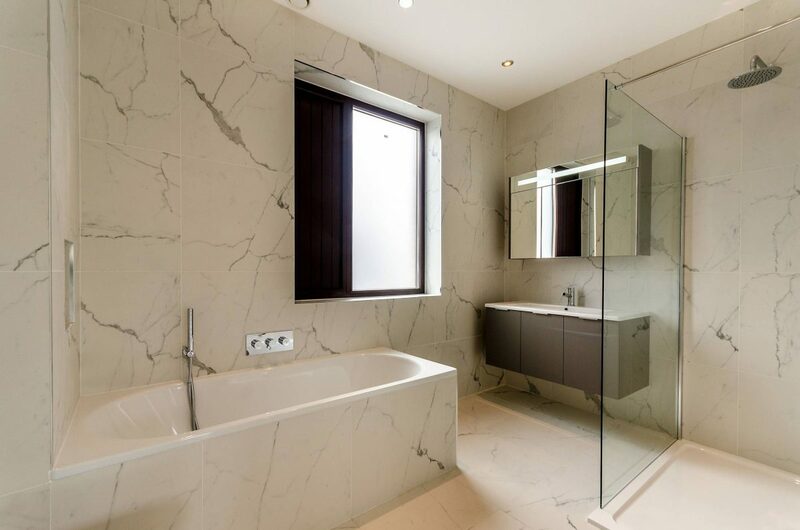 A simple palette of attractive and high-quality materials have been specified that blend well with the surrounding context and that are detailed carefully to be durable and age gracefully. 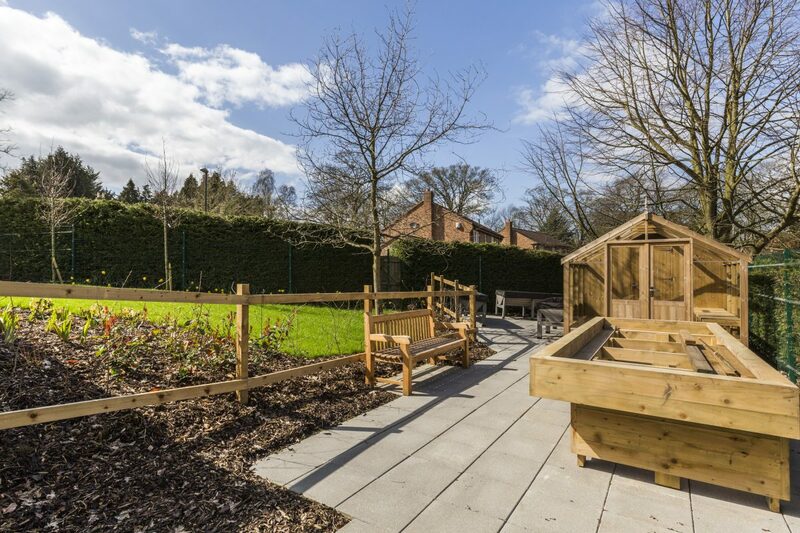 The site’s ecology value will be improved by introducing carefully-designed landscape planting and wildlife habitats. 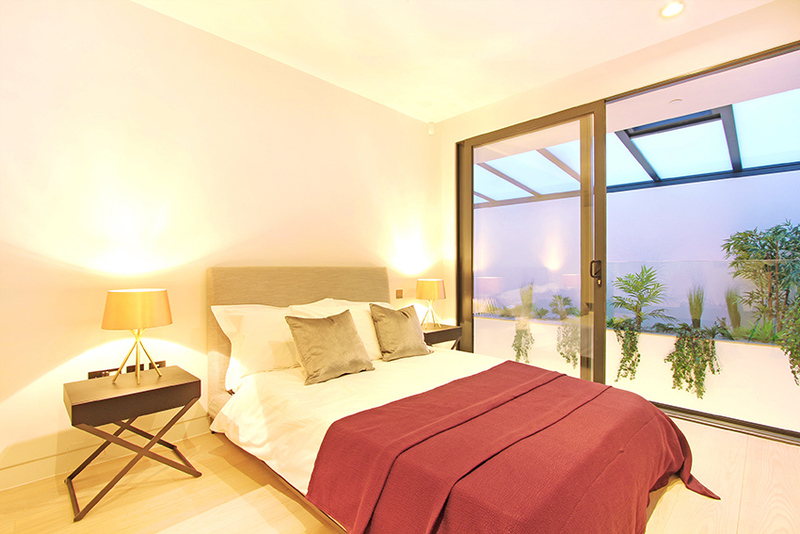 The method of construction used is Thermohouse, a completely energy efficient building system. 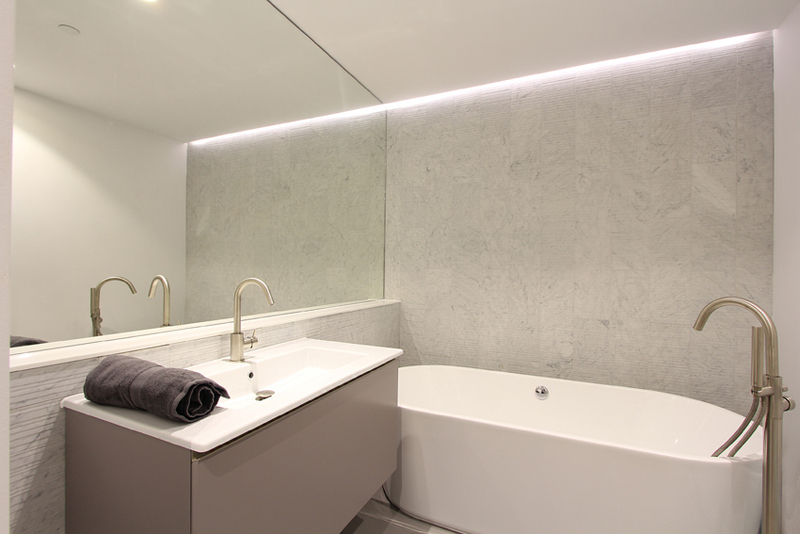 The components provide insulating concrete walls, insulated panels used to cast in-situ concrete floors and flat roofs and an insulated roofing panel. The combined properties of these materials results in strong and efficient structures with a reduced impact on the environment and lower energy bills. 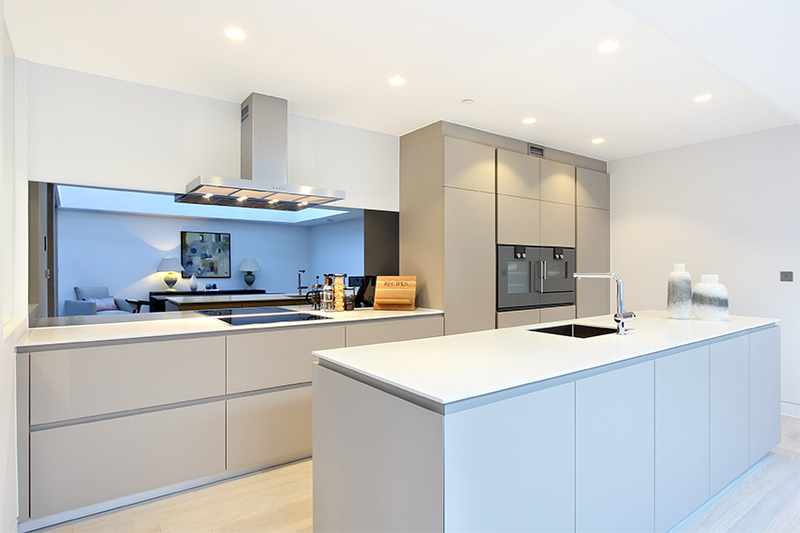 Bowman Riley was appointed to undertake the tender and construction package of four live work houses in the Elephant and Castle area of London. 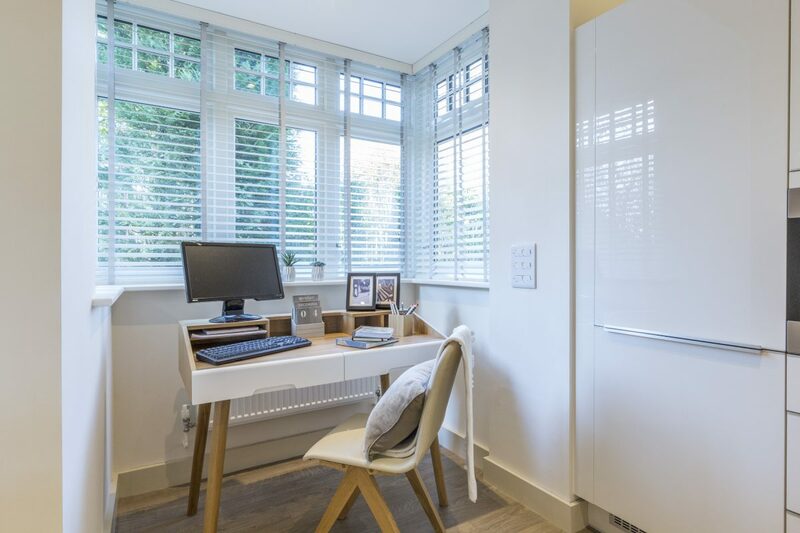 Due to the demolition of existing commercial units and a loss of workspace to this area of London, Southwark Council identified the need for live/work units targeted at the pioneers of home-based working. 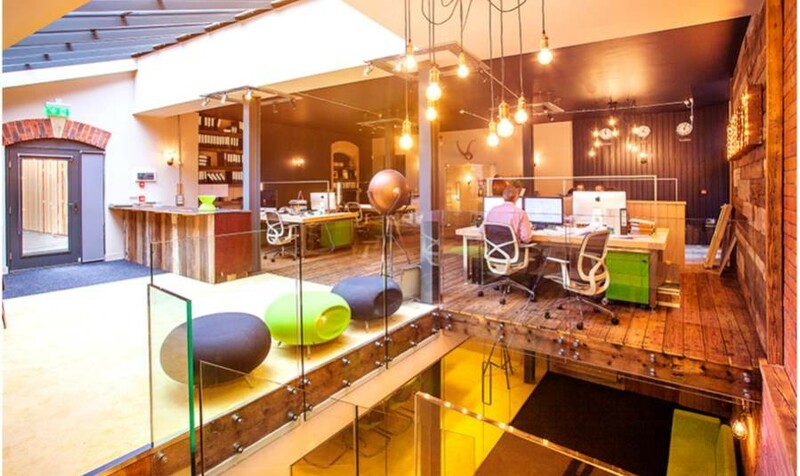 Live/work units have sprouted in urban centres across the UK and feature ground floor workspaces to stimulate small business entrepreneurism. 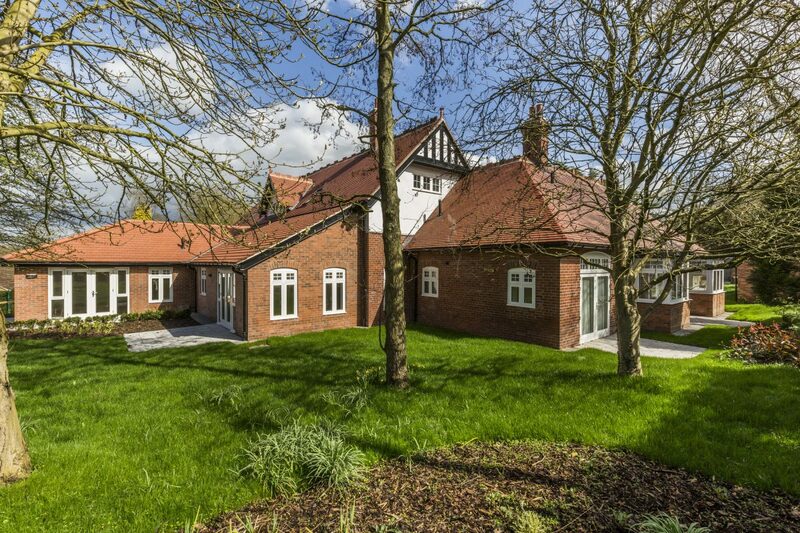 This project involved four live work houses built out of timber frames with external walls built from timber SIPs panels, clad in high quality brick and feature glazed green bricks. 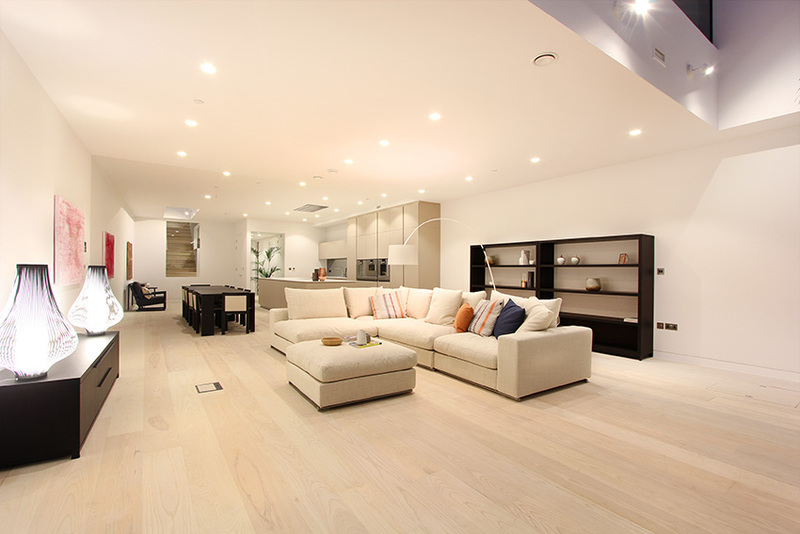 Situated in a tight landlocked urban site, the property was designed to a high standard to emulate a modern warehouse feel with high ceilings. 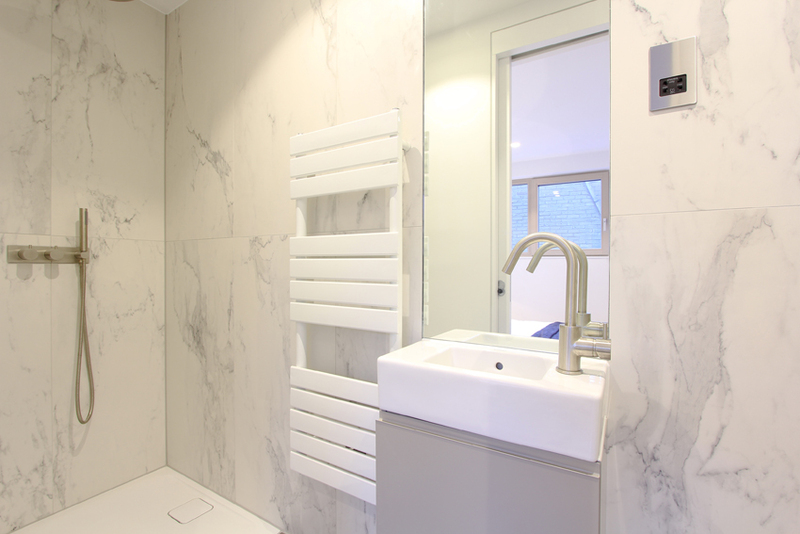 Due to the tight site and workspace area requirements, the building was designed over numerous levels to maximise space. 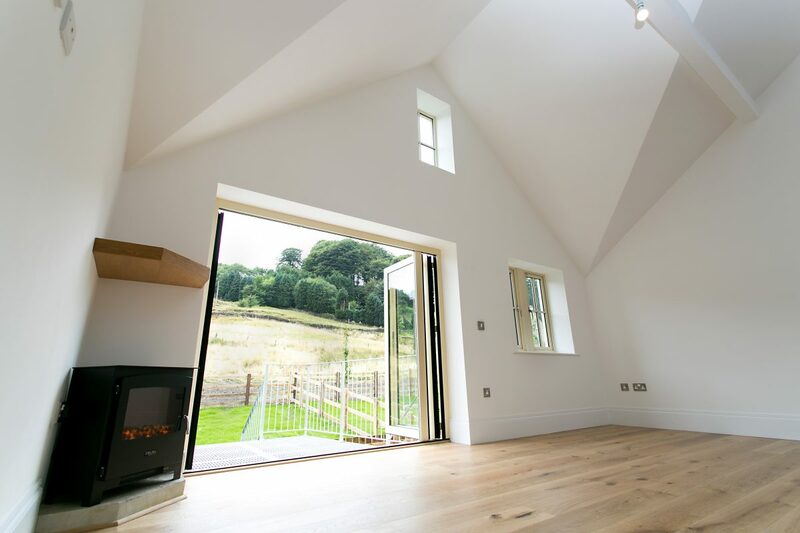 The buildings benefit from a number of sustainable features including triple glazed timber frame windows and solar PV panels on the roof. 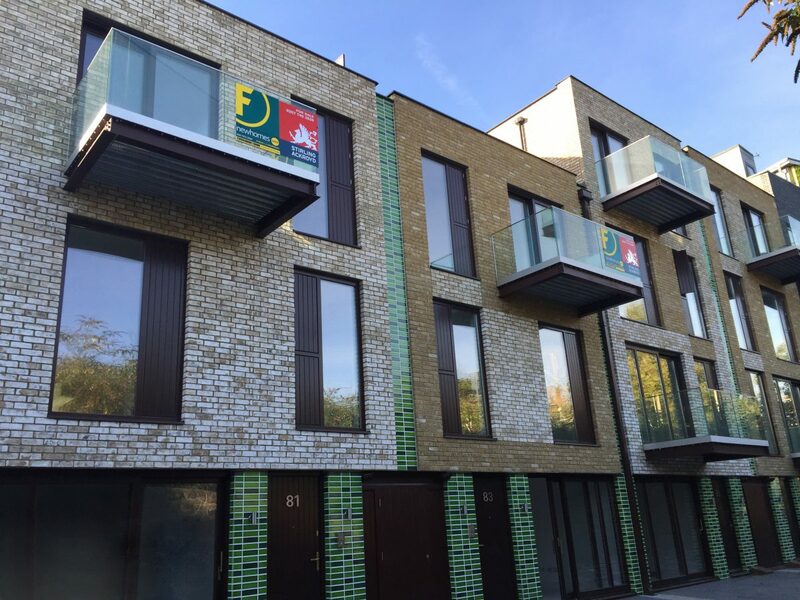 There are a number of external terraced areas for each unit occupiers to enjoy outside space including front elevation balconies. 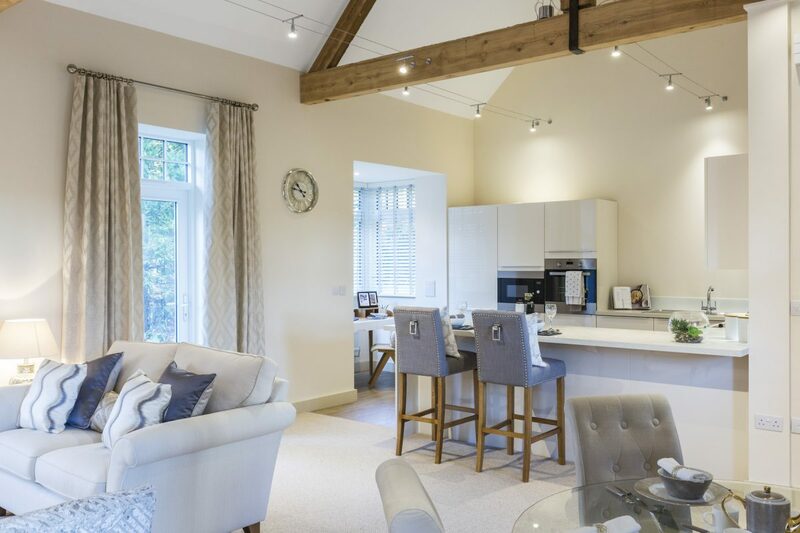 Bowman Riley has prepared designs for Brookfield Garth, a new residential development on a vacant plot of land in the North Yorkshire village of Hampsthwaite, five miles from Harrogate for developer Stonebridge Homes. The site consists of 1.24 hectare of overgrown grassed field with a public right of way to be retained and a number of trees with preservation orders. 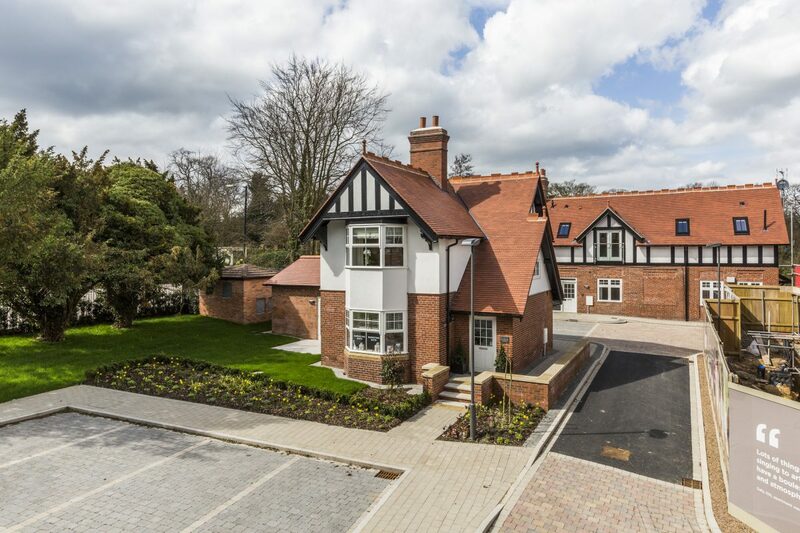 Adjacent to the site is a variety of existing dwellings varying from multi-storey family homes to single storey bungalows each uniquely built with various stones, bricks and renders. 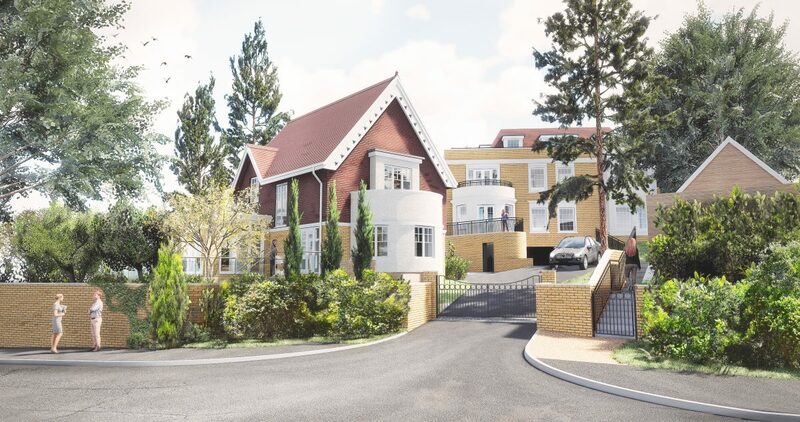 We prepared initial feasibility sketch schemes for a mixture of 36 new of 2-3 bedroom semi-detached and 4-5 bedroom detached properties with generous parking allocation and rear gardens. 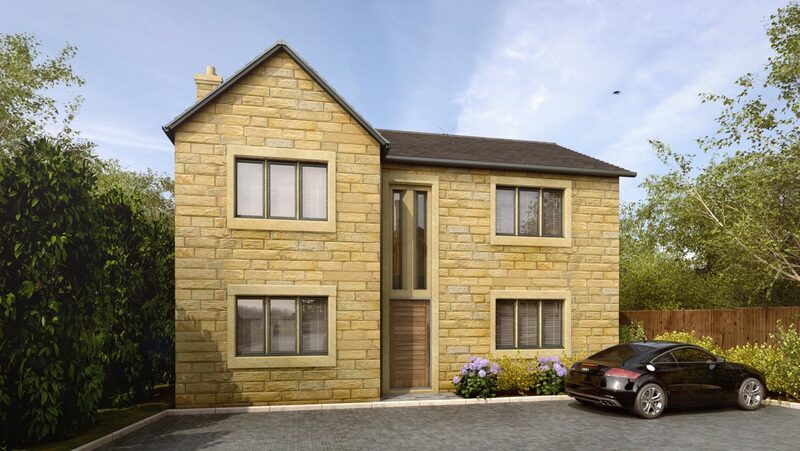 40 per cent affordable housing will be provided in accordance with Harrogate Borough Council’s policy. 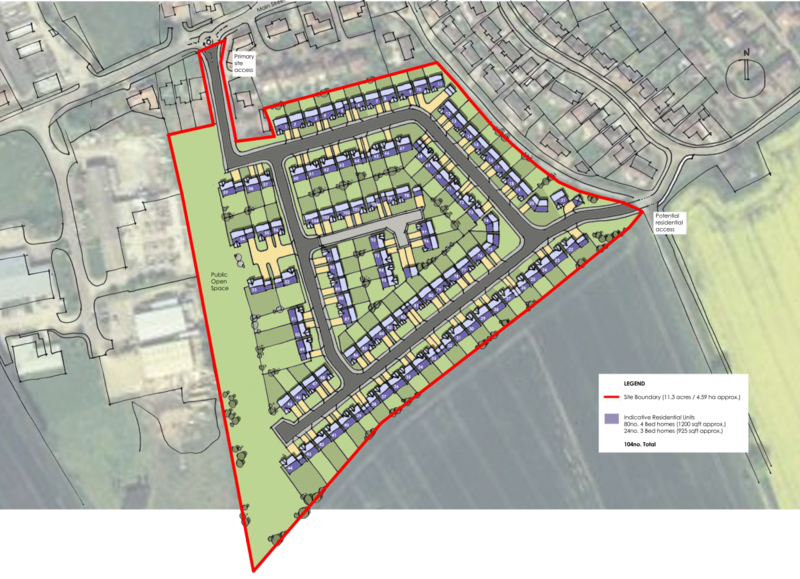 The development site has been recently allocated for residential use to help meet the housing land supply for the Harrogate area. 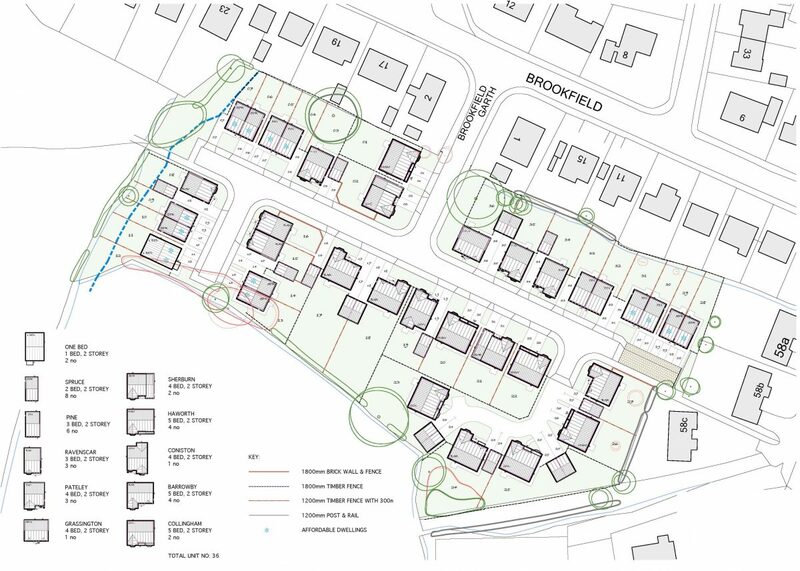 We supported the planning application process by submitting a Design and Access Statement to submission to Harrogate Borough Council, which resulted in outline planning consent. This was then followed by approval of reserved matters. 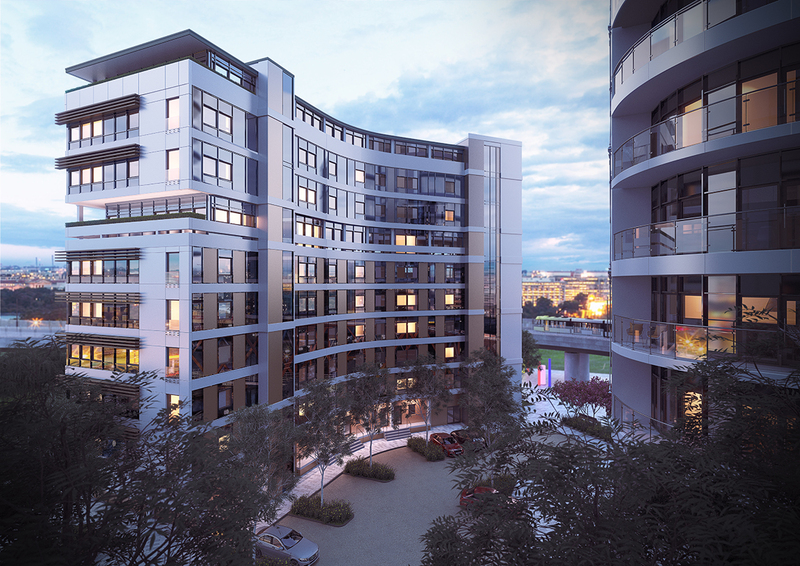 Bowman Riley was appointed by developer and contractor, Beaumont Morgan to develop the designs on Bridgewater Point, a major residential development close to Salford’s city centre and a short walk to Manchester’s city centre. 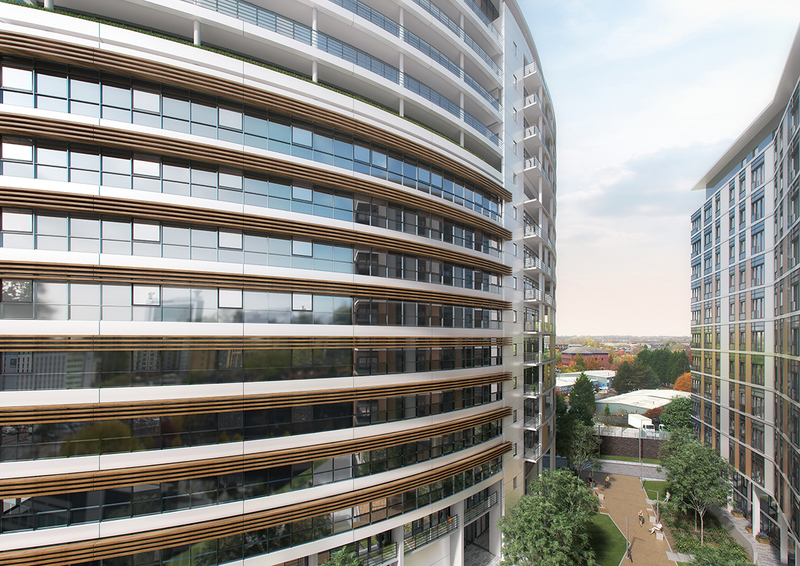 The Bridgewater Point development provides 220 residences divided into 207 apartments and 13 town houses across two buildings. 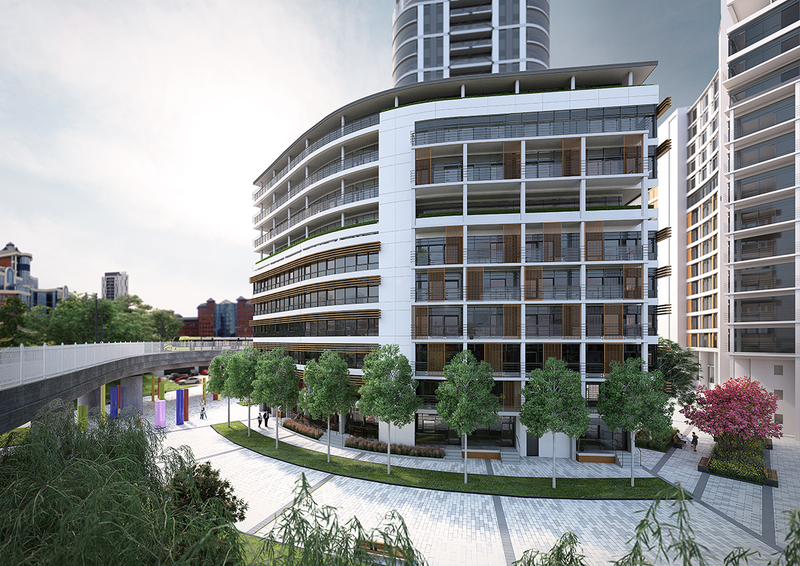 Building A is five storeys and Building B is seven storeys connected at level one with a podium deck incorporating shared open space and gardens to the town houses. 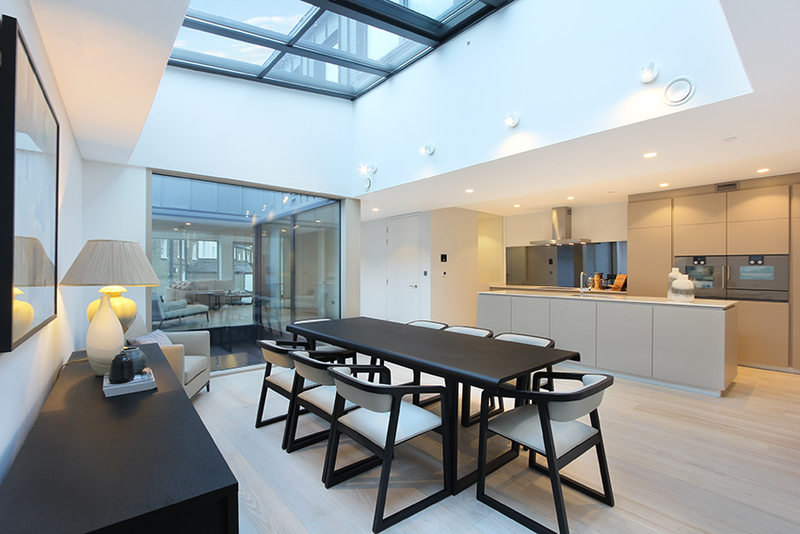 The upper floors are set back from the main elevation and have a perimeter balcony. 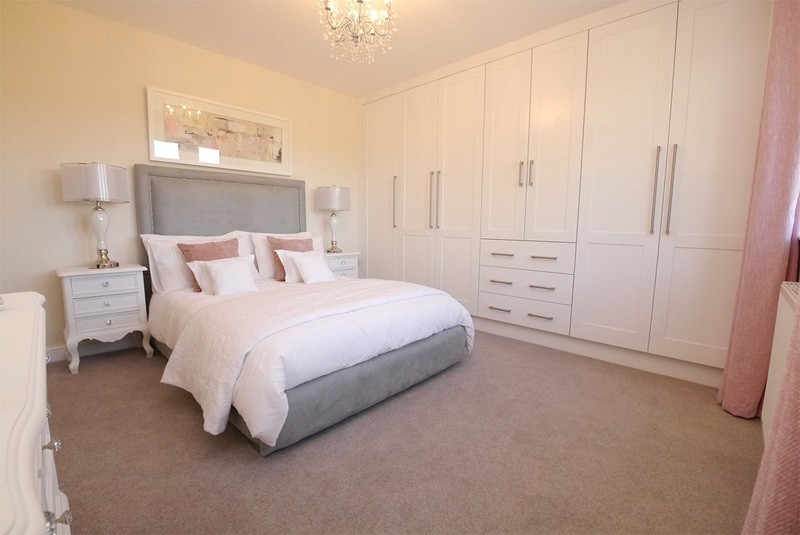 The development was designed to meet the needs of private investors and tenants in Salford’s booming rental market. 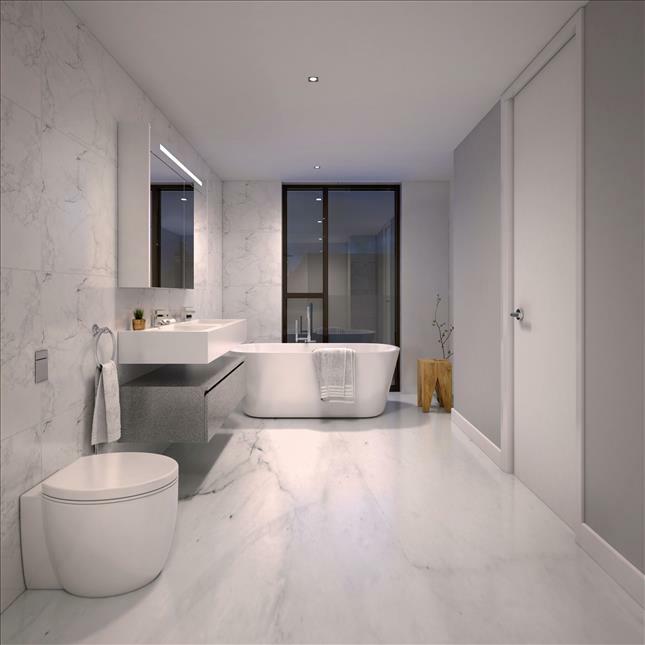 This high quality development provides city living for the in-demand residential market in the city, providing a mix of one, two, and three-bedroom apartments. 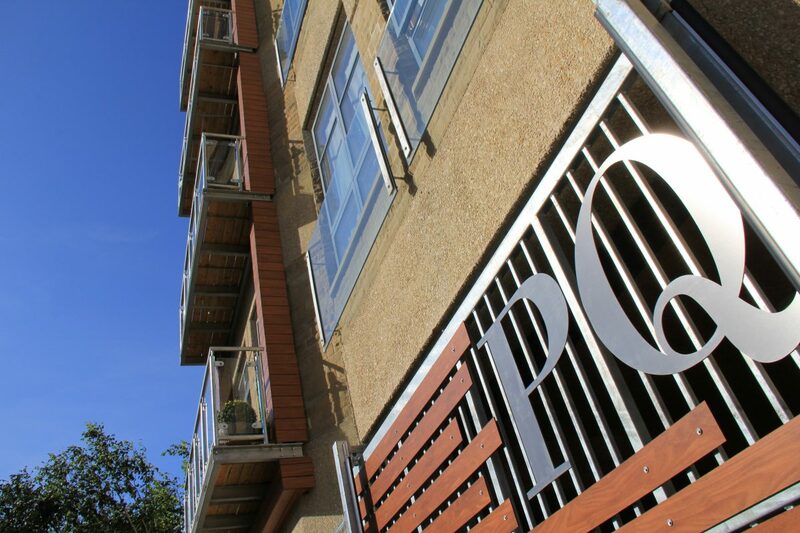 Bridgewater Point features a range amenities including an on-site gym, landscaped communal garden areas, secure parking below the podium deck and bicycle storage. The build duration is 78 weeks and total cost £20,000,000. 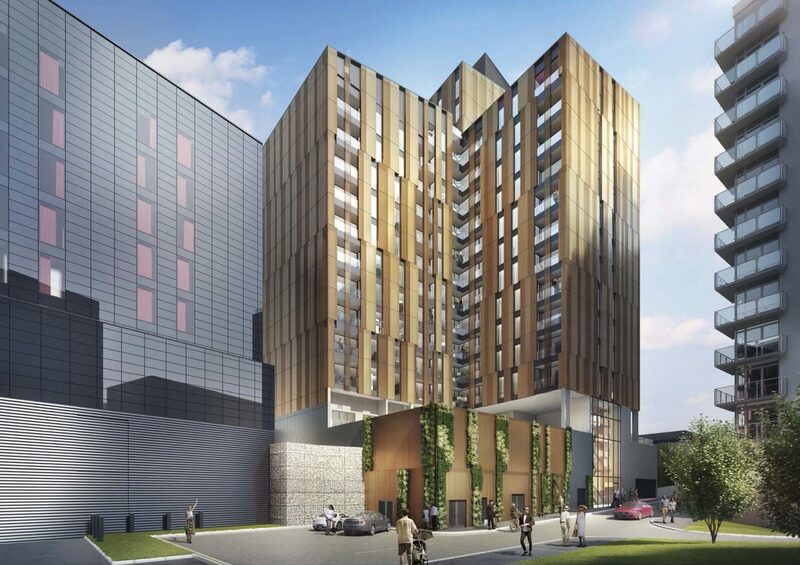 As a result of our successful delivery of Bridgewater Point, Bowman Riley has been awarded two further significant projects by Beaumont Morgan. 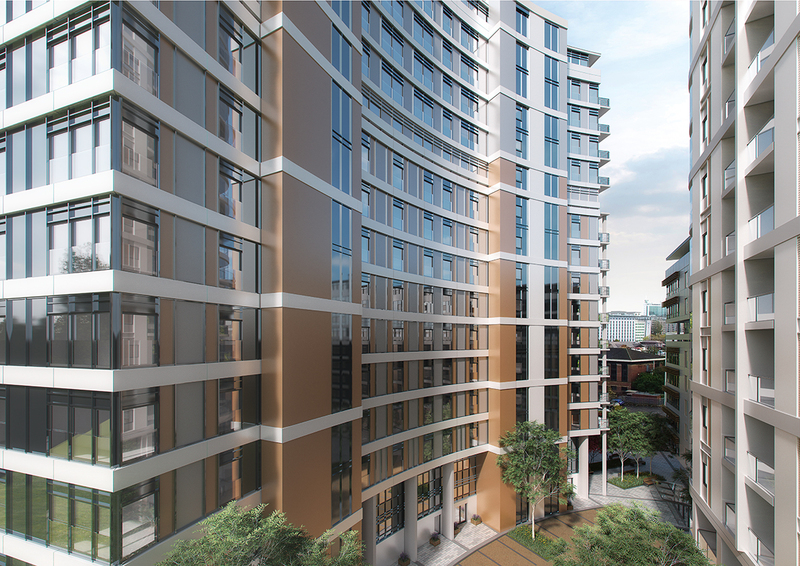 Green Quarter, is a 15 storey residential development in Manchester near Victoria Station and Furness Quay, a major apartment scheme in Salford incorporating circa 800 apartments. 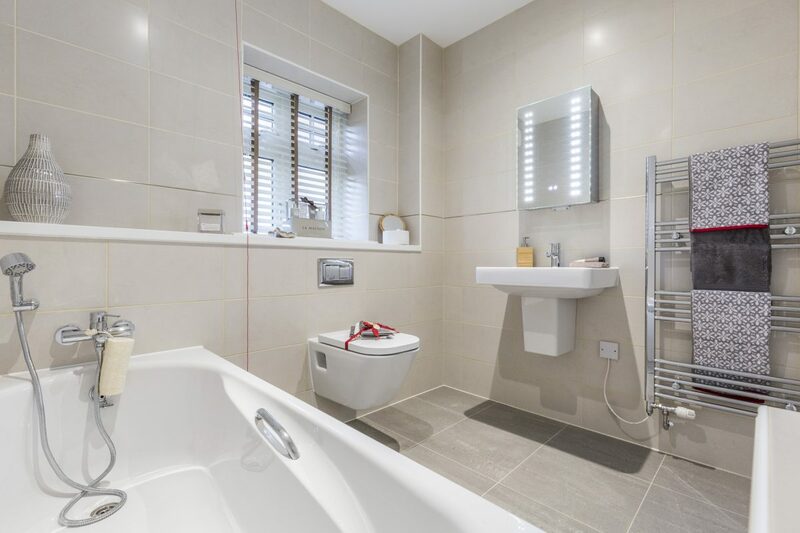 Property agents, Yololets appointed Bowman Riley to support the interior design of four two-bedroom serviced apartments in the Kingsway building, Lancaster city centre. The Kingsway building was purchased by Irwell Valley Housing in 2016. 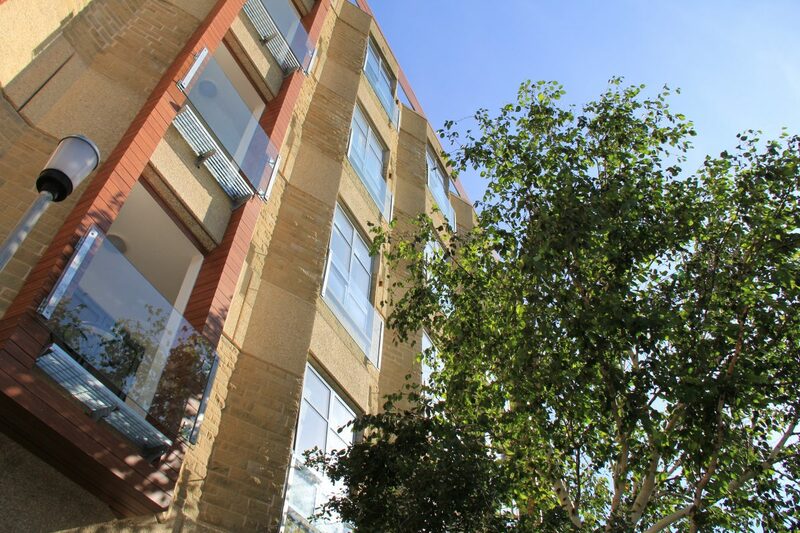 The 100 one and two bedroom apartments sit above the Grade 2 listed façade of Lancaster’s former bus depot. 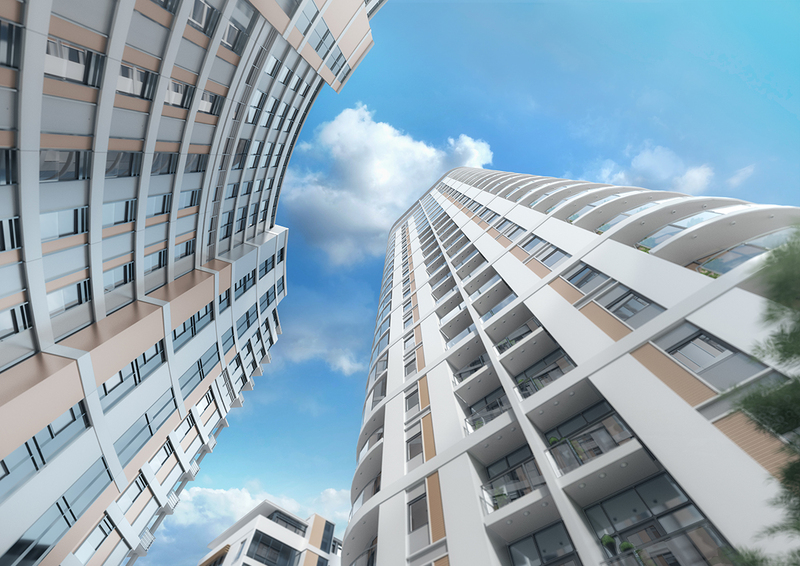 Yololets source, acquire and manage properties in partnership with or on-behalf of landlords or investors. 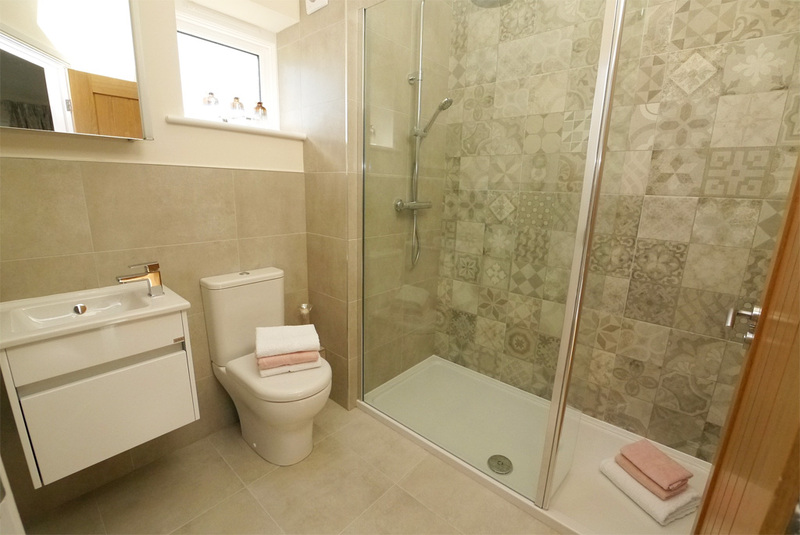 Working with Irwell Valley Housing, they took over the management and lease of four apartments to be furnished for short-term lets. Yololets needed support with the furniture and fit-out of the apartments. 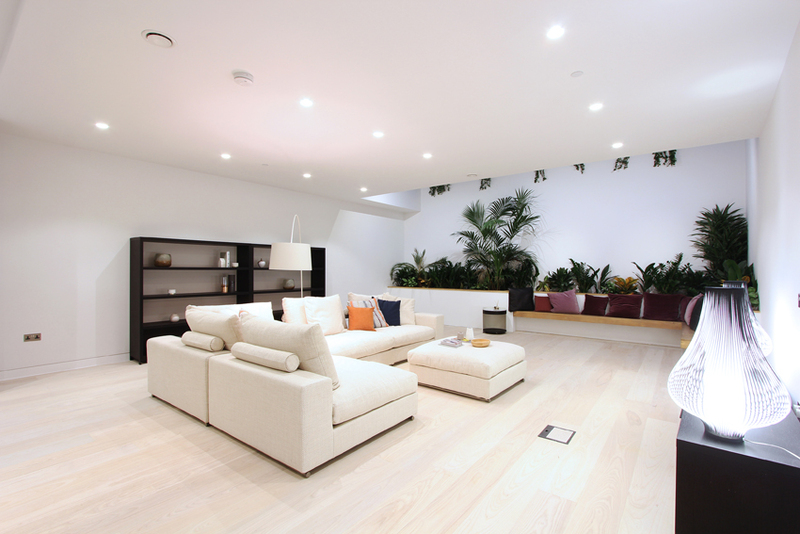 We took our client to a showroom in Manchester, so they could see and touch the products to facilitate their decision making. 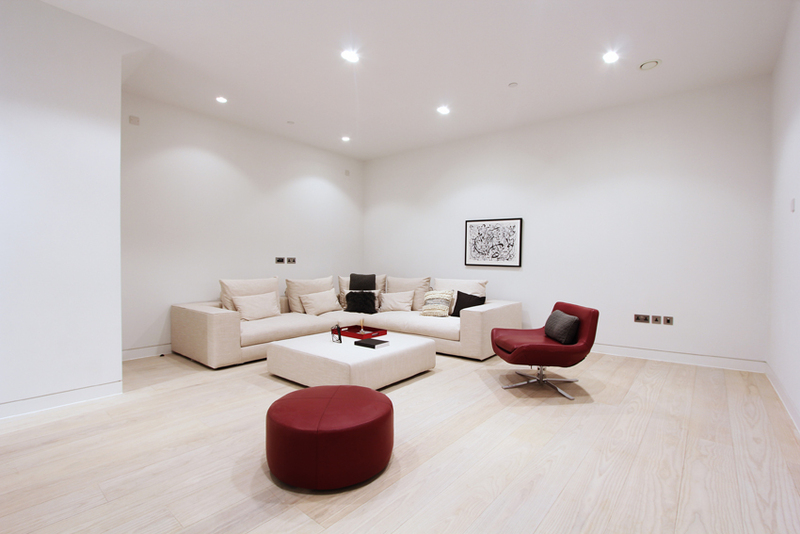 To deliver significant cost savings, we introduced them to our approved furniture and fit-out suppliers list and preferential rates. 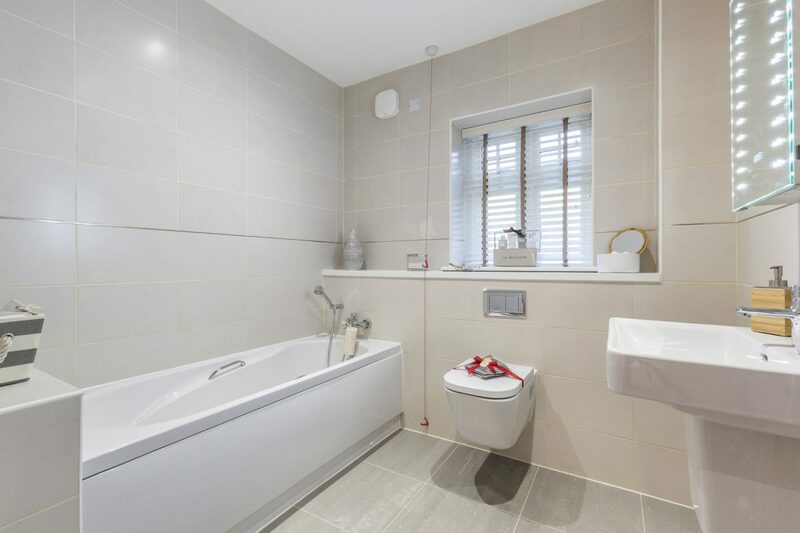 The apartments are now decorated and furnished to a high standard to meet the needs of residents in the private rented sector. 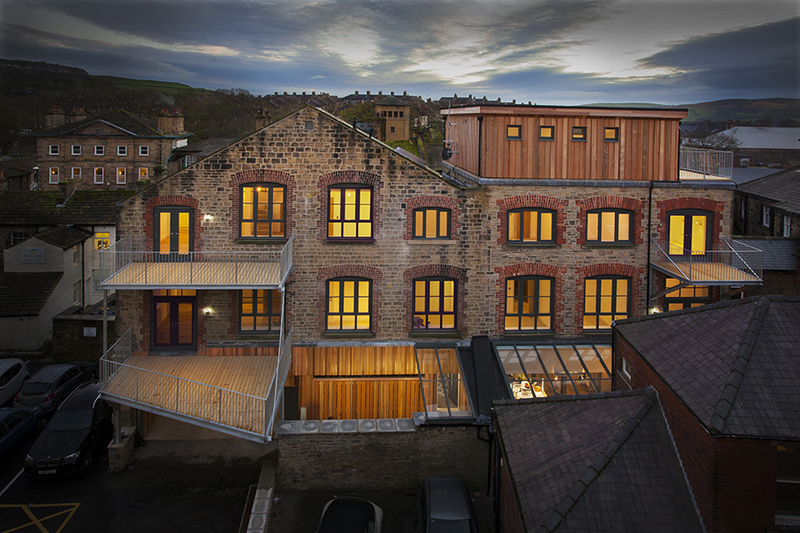 Bowman Riley developed the designs to transform the 19th century Caroline House in Skipton into apartments and a bespoke office space for Award Winning Developer Candelisa. 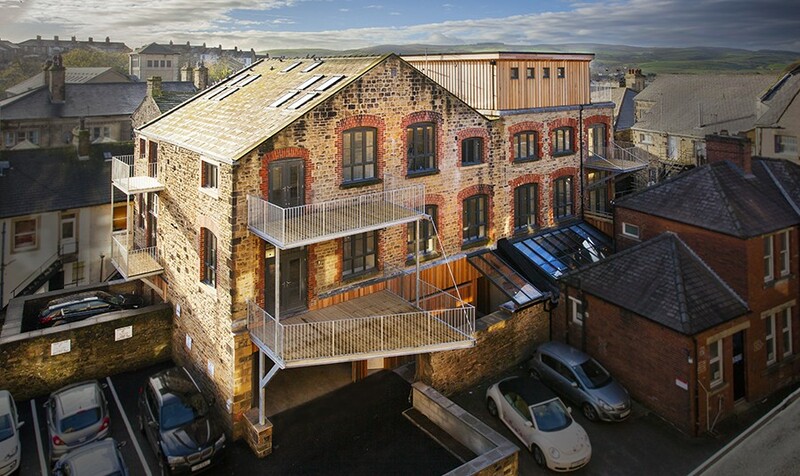 The three storey 19th century former warehouse building is located in a conservation area in Skipton town centre. Constructed of coursed Yorkshire stone, the building was occupied by The Skipton Building Society until 2010 and had remained vacant ever since. 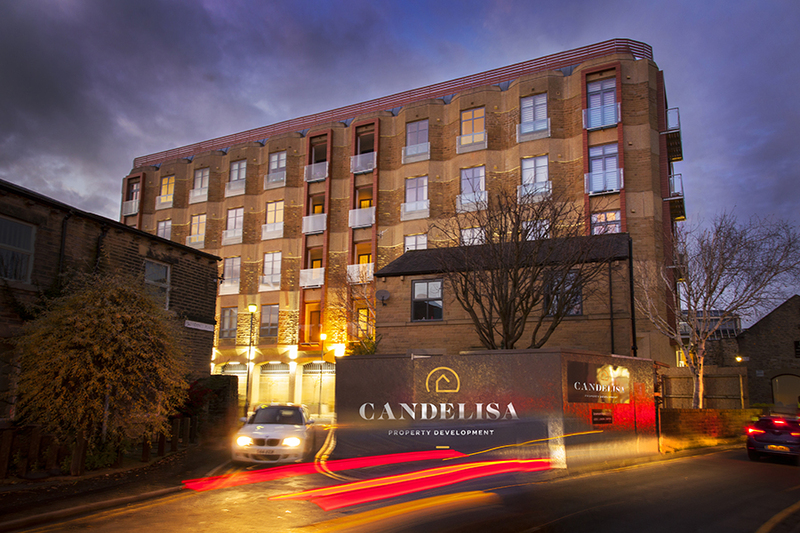 Bowman Riley worked with the developer, Candelisa to develop the conversion for Caroline House from office to predominantly residential use through changes in Permitted Development law. 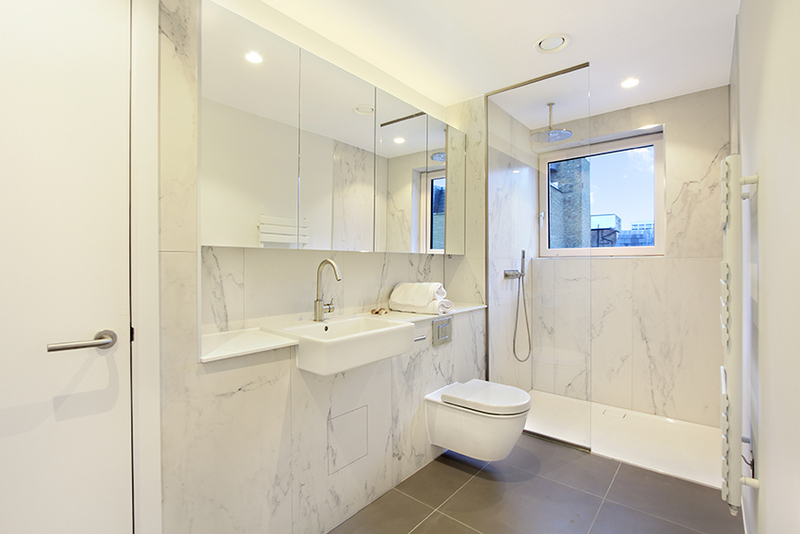 This project followed the redevelopment of the adjacent 1970s office building, Providence Quarter, into apartments. 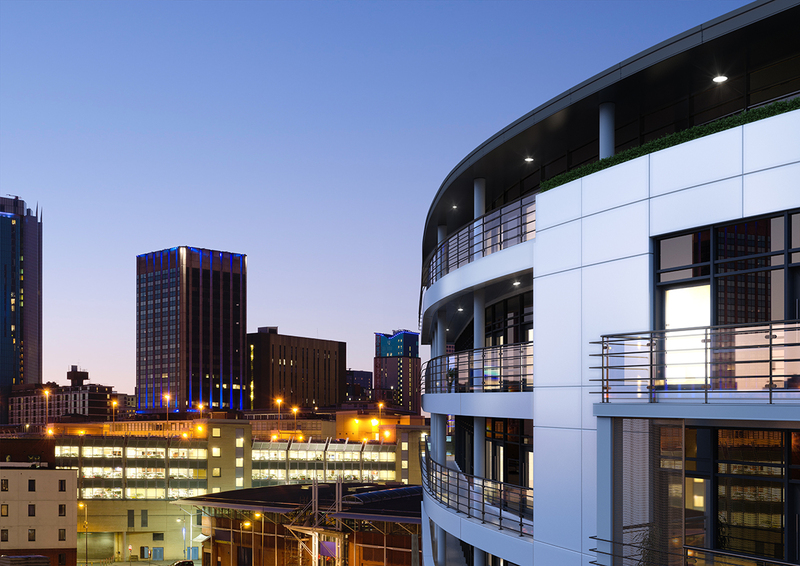 The knowledge and experience gained from working on the neighbouring building was applied to Caroline House resulting in a smooth project delivery. 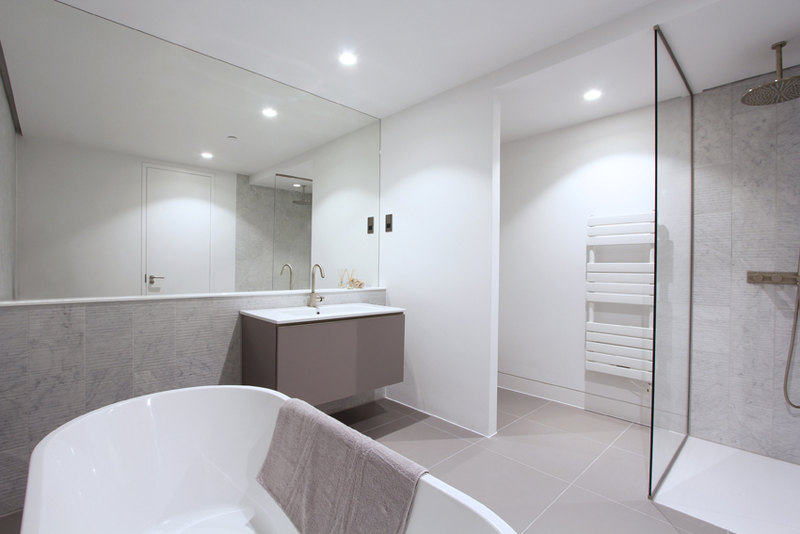 Caroline House was a complex project due to the age and numerous building alterations and extensions. Through selected demolition and the addition of a contemporary rooftop box and large balconies, we designed a scheme for six apartments. 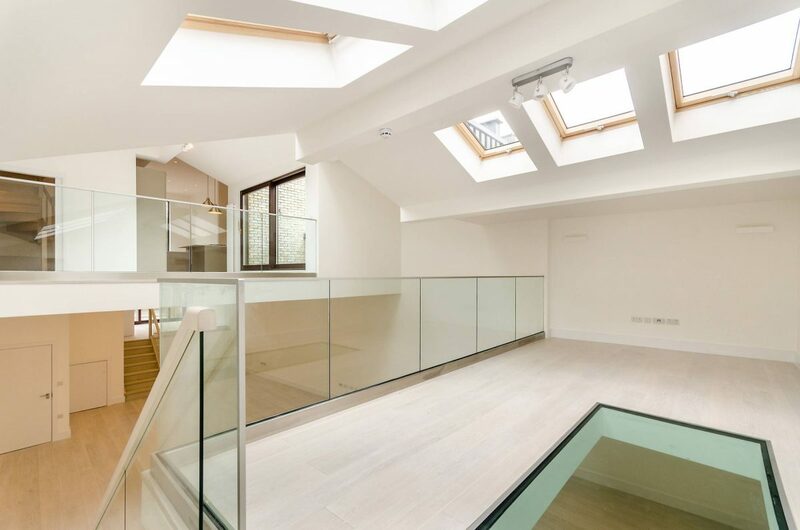 The building includes a duplex apartment on the upper floor with office and garage accommodation on the ground floor and basement storage. 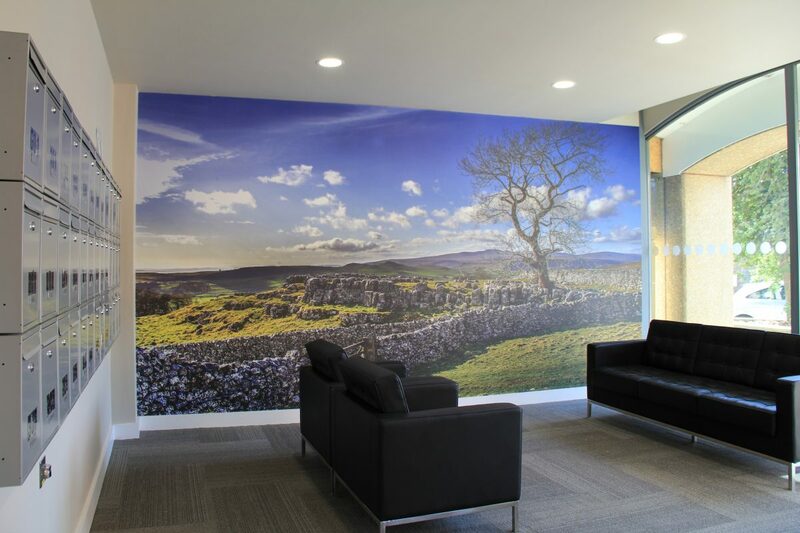 The building also provides contemporary office accommodation featuring a bespoke open plan office and entertainment space, meeting rooms and internal car parking. 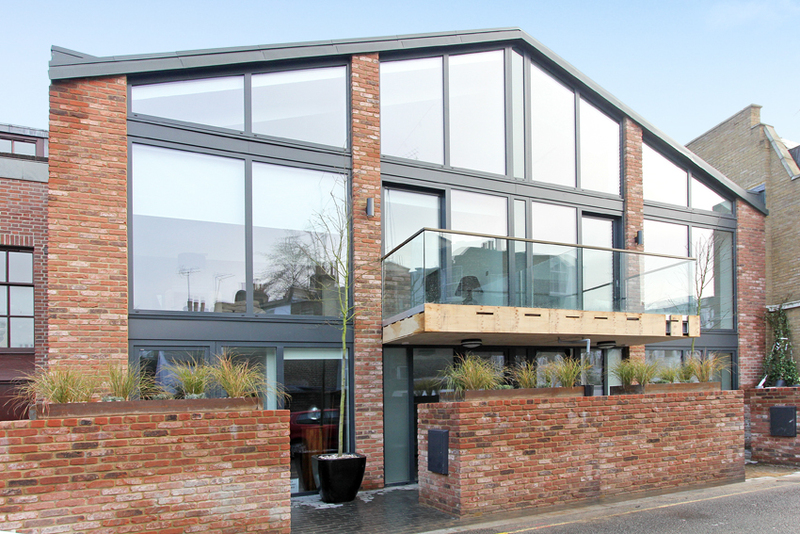 The overall result is a sensitive and commercially viable reuse of an existing building in a tight town centre locale. 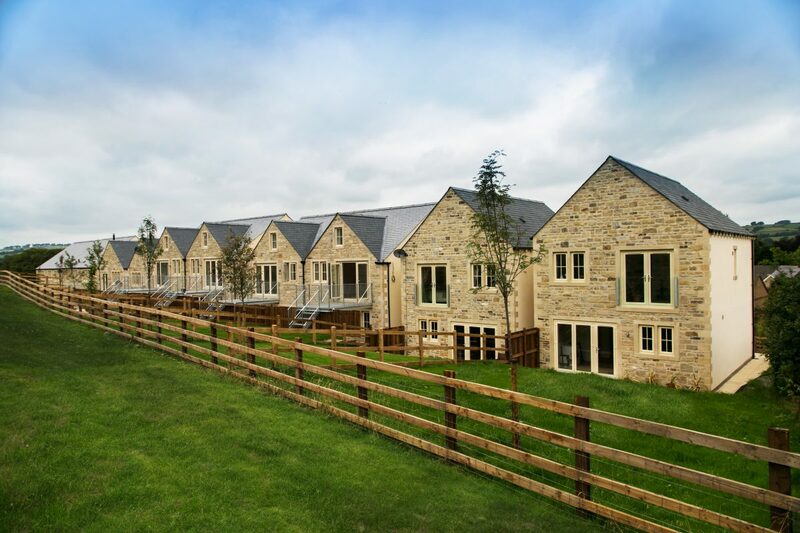 Bowman Riley was commissioned to prepare an outline planning application on behalf of the landowner, Evans Homes for a residential development on the site of former Micklethwaite Farm within walking distance of the market town of Wetherby, Leeds. The site is considered to be favorable for development considering its proximity to existing services and infill development opportunity, which would avoid encroachment onto Green Belt land. 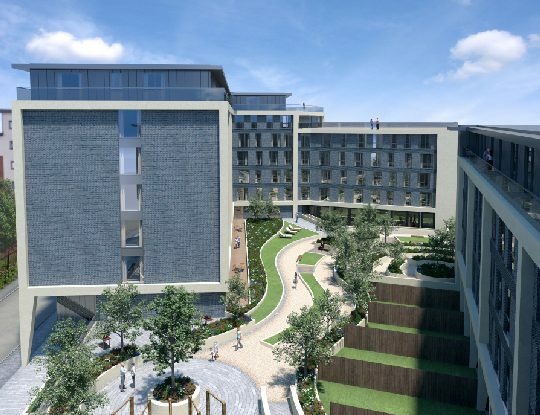 Following a positive pre-application response from Leeds City Council, we worked collaboratively with a team of consultants including landscape, transport and acoustic specialists to provide a coordinated and cohesive scheme for planning. The development aims are to create attractive and comfortable places to live as a result of good architecture and appropriate landscaping. This is to be achieved by maximising the site’s potential to accommodate the development whilst responding to the local character of the area. A sensitive and improved landscape buffer is proposed to enhance the site’s biodiversity and provide a defensible boundary to the Green Belt. The outline consent was approved for up to 13 new homes, which will help meet local needs for additional housing. 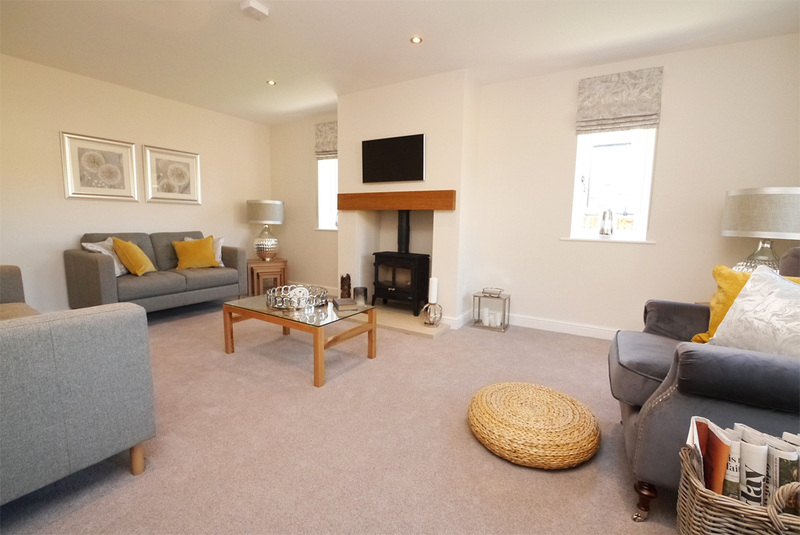 Subsequently, Evans Homes established a joint venture with Duchy Homes and developed a residential proposal called The Ings. 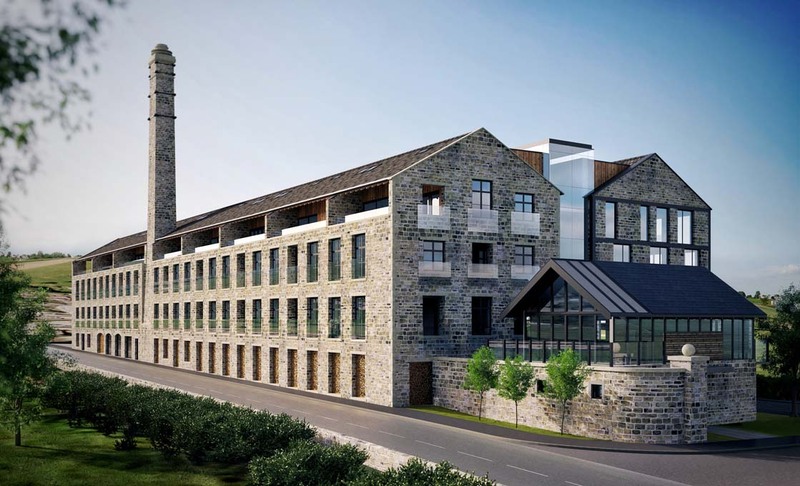 Bowman Riley was commissioned to design the conversion of the vacant Firth Street Mill located in Skipton’s conservation area into a residential development for award-winning developer Candelisa. Firth Mill was built in 1877 during the Industrial Revolution as it lay on the Leeds-Liverpool Canal. At this time many mills sprung up in the area including Firth Mill. 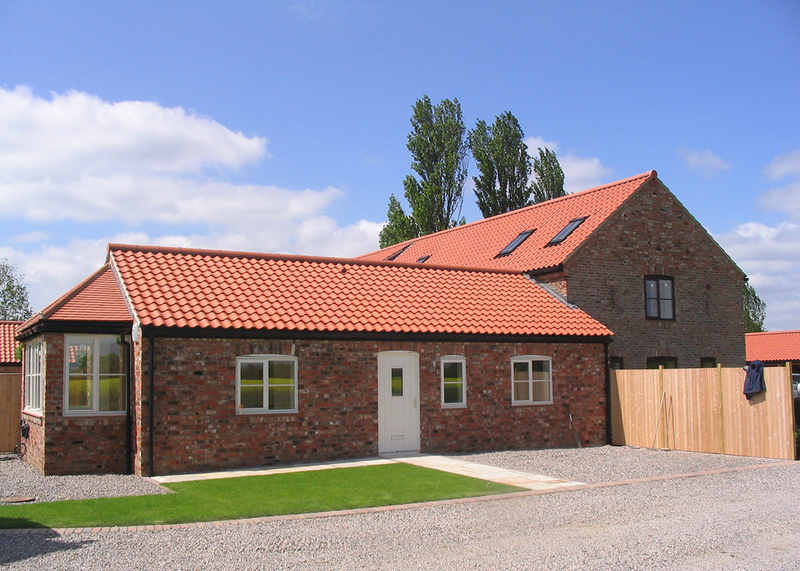 The mill building previously housed a warehouse, storage and offices but in recent years was largely redundant. The residential use of the Mill for housing fits in with the surrounding residential houses neighbouring the site. 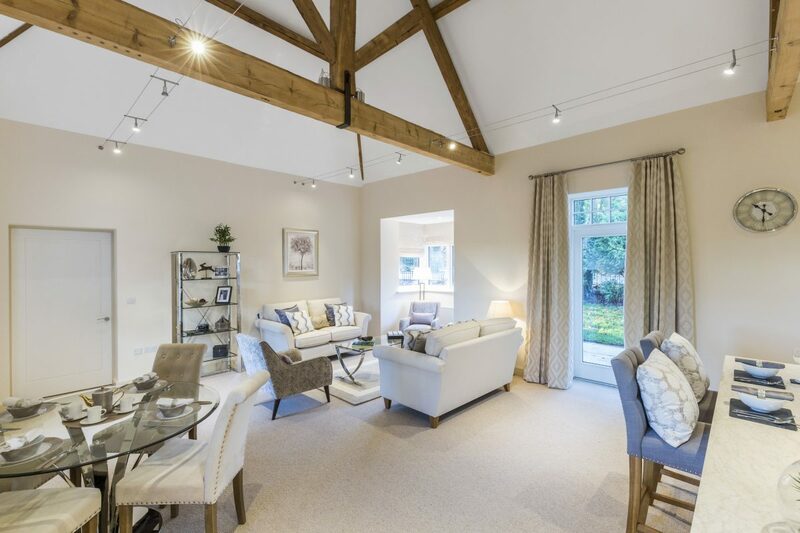 The development enhances the character of the conservation area by restoring the Mill for residential use, retaining the history of the area and bringing it into modern day use. 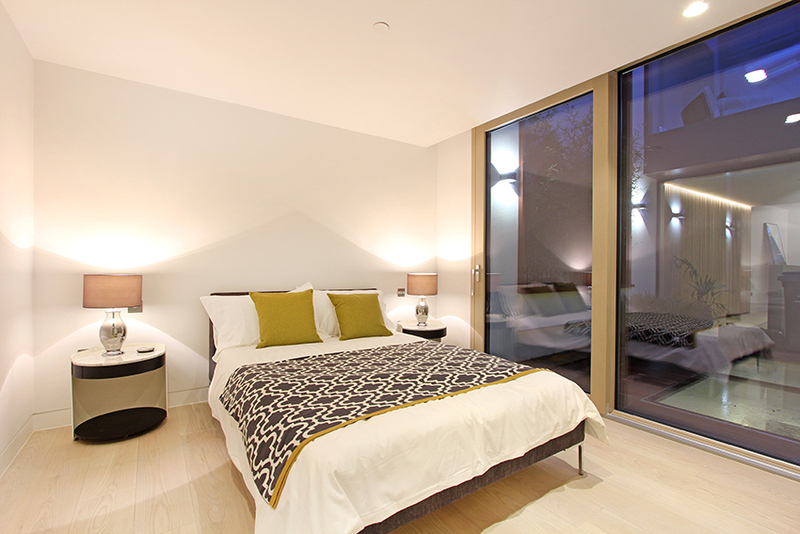 The development provides 35 one and two bedroom apartments to meet the housing demand in the area. 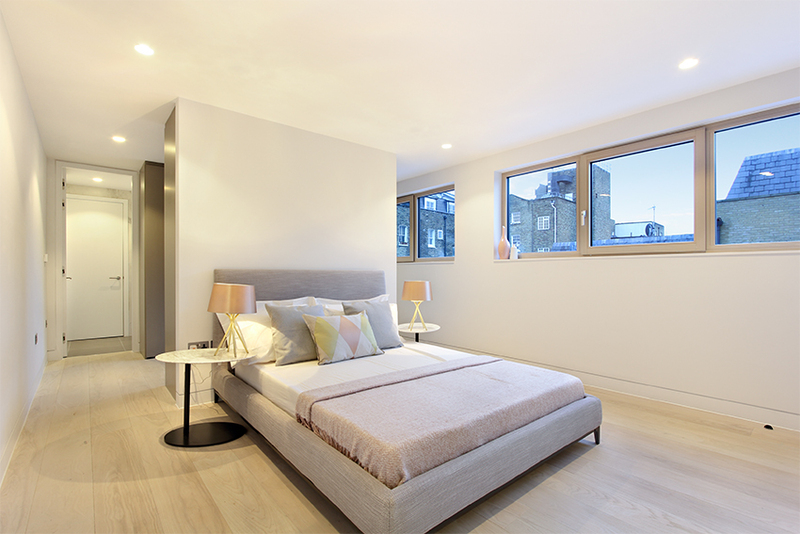 The floor layout for each apartment is bespoke and responds to the existing structure and openings in the Mill building. The design was developed with close attention to the original structure and the existing openings and columns were retained internally as far as possible. 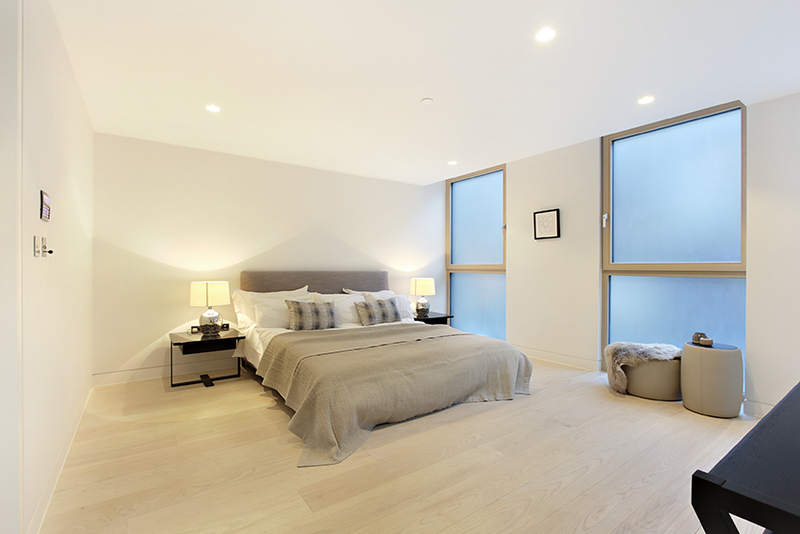 The design of the apartments makes use of the existing large windows offering each flat a recessed balcony and maximum daylighting to each apartment. The appearance of the mill remains largely as before maintaining and upgrading the principal elevations. 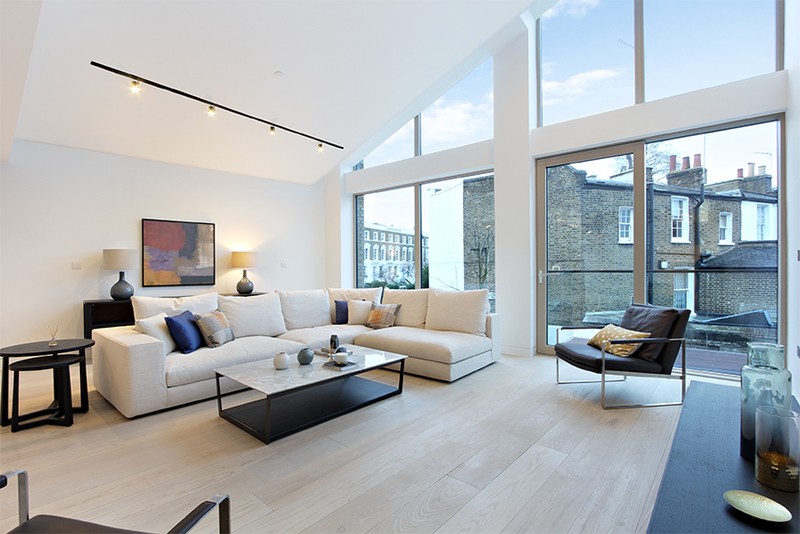 The elevations retain the original openings, alternating between replacement full height windows and recessed balconies, providing interest and depth to the elevations. Images courtesy of Candelisa. 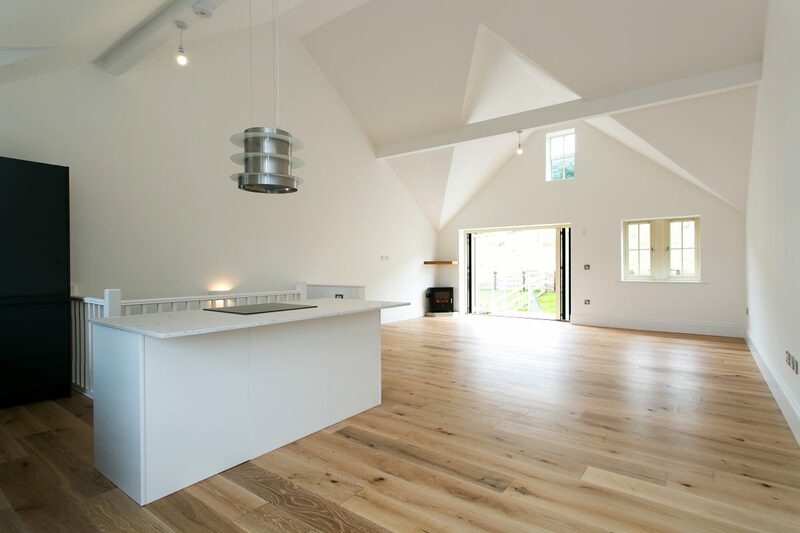 Firth Street Mill reached the finals of the LABC awards 2018. Images courtesy of Candelisa and Heidi Marfitt. 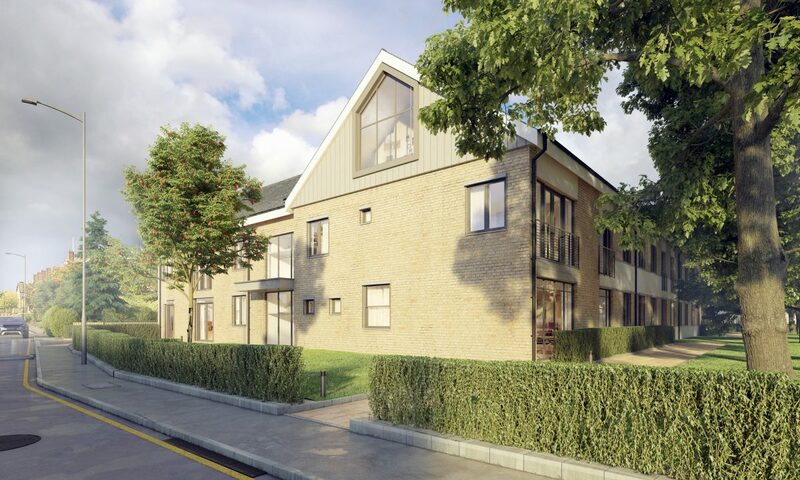 Bowman Riley designed high specification, eco-friendly ByHaus apartments on three storeys with a retail unit at ground level in a confined central West Byfleet site with easy commuter links to London. On behalf of Sodajo Limited, we assessed the development potential of the confined site adjacent to the railway line within a Conservation Area. 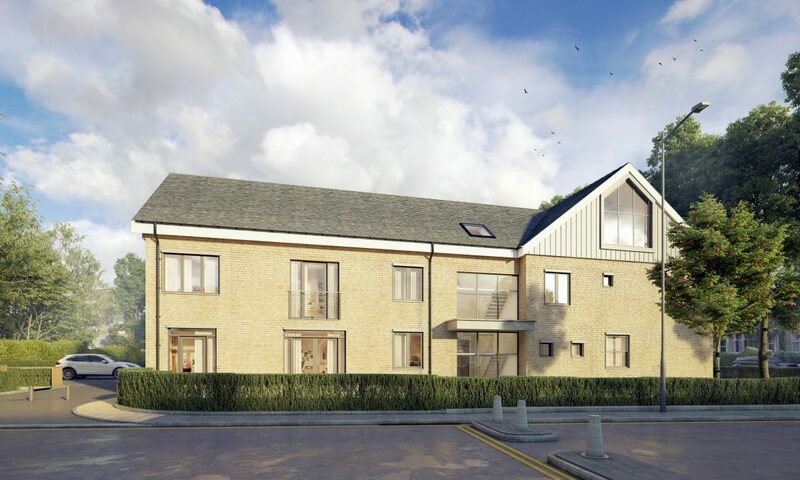 Our design comprises 12 apartments on three storeys with a retail unit at ground level with the footprint of the building covering most of the site with minimal service access. 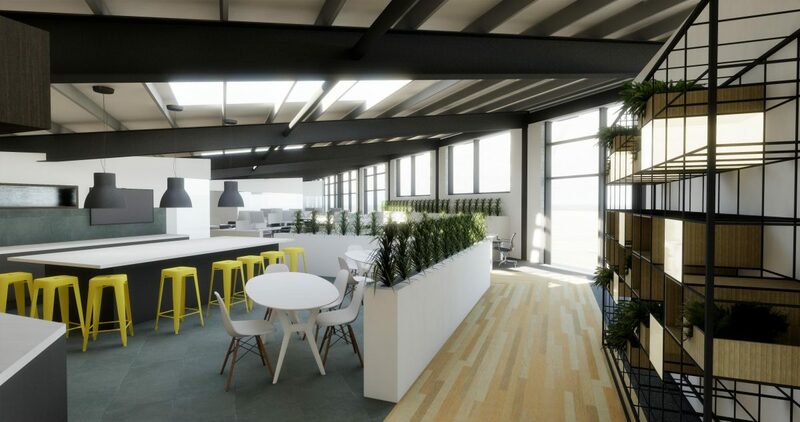 Bowman Riley assisted in pulling together the design team, working the team together with specialists in acoustics and air tightness to develop the scheme using the BIM software Revit. 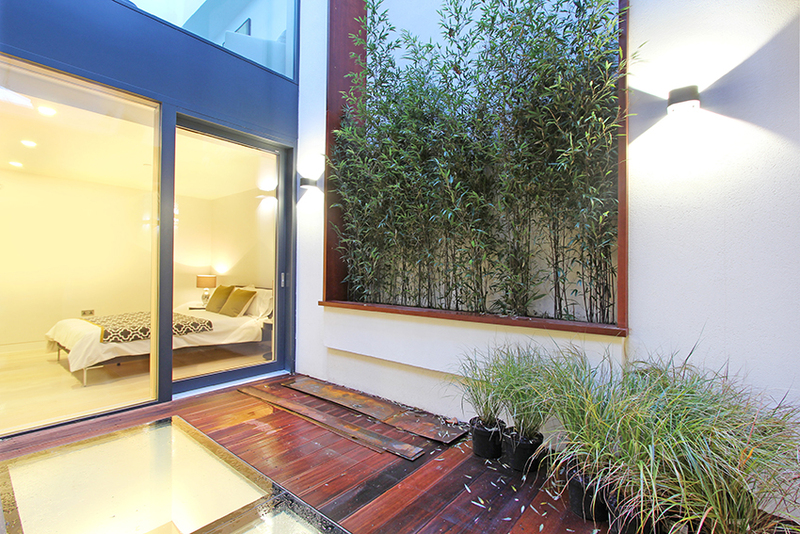 This sustainable development is designed with the residential element to achieve Code for Sustainable Homes Level 4. The building will be highly insulated and heating will be provided by air source heat pumps with mechanical ventilation and heat recovery. Careful consideration has been given to acoustics and buildability due to the proximity to the rail line. U values for the building will approach Passivhaus standards and the air permeability target rate is currently set at 1.5m2/hr@50Pa. Solar photovoltaic roof panels will be considered to generate additional income for the client. 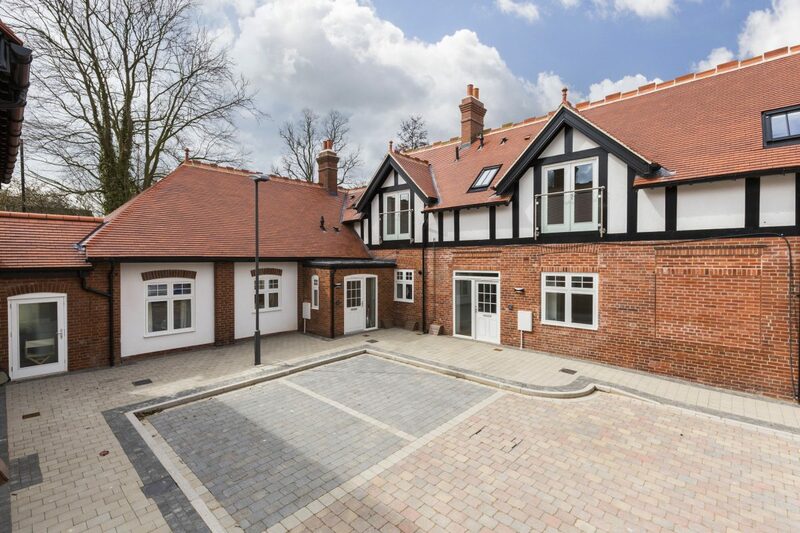 Bowman Riley prepared the detailed designs on Palfrey Place, four new build high quality maisonettes in the St Marks conservation area. St Marks area forms part of the Oval neighbourhood in the London Borough of Lambeth. 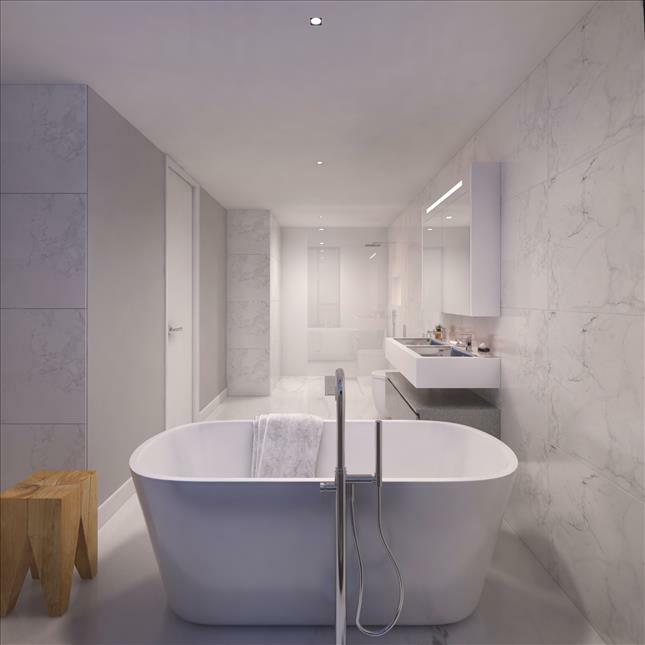 The development has been designed to be in keeping with the character of the conservation area, which is predominantly residential with surrounding buildings between two and three storeys. 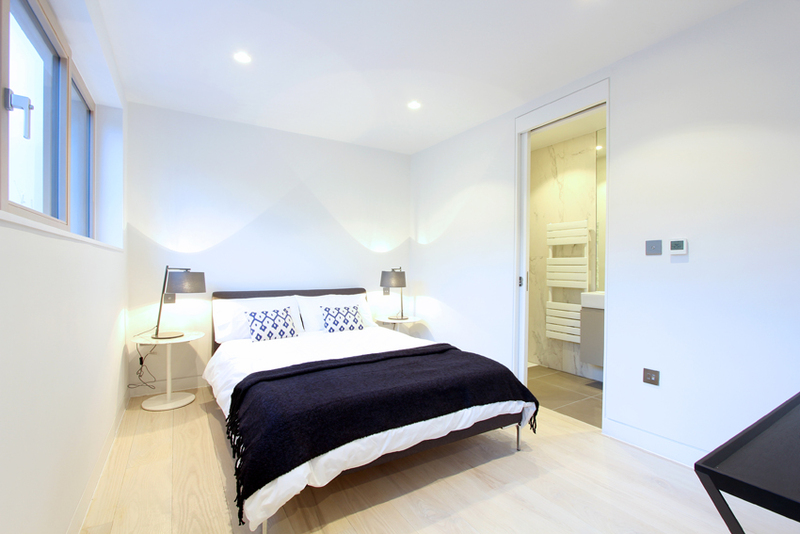 The layout to the new maisonettes has been carefully designed to maximise the quality of space and amenity. 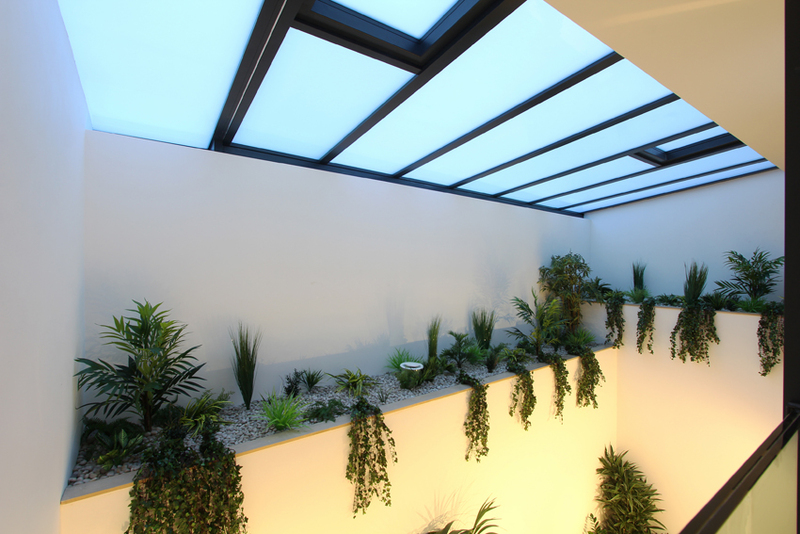 The design features internal covered courtyards and balcony space within the walls of the building and a glazed roof winter garden to the rear of the properties. The development is intended to be as sustainable as possible. It has been designed to achieve Code for Sustainable Homes level 4 assessment. 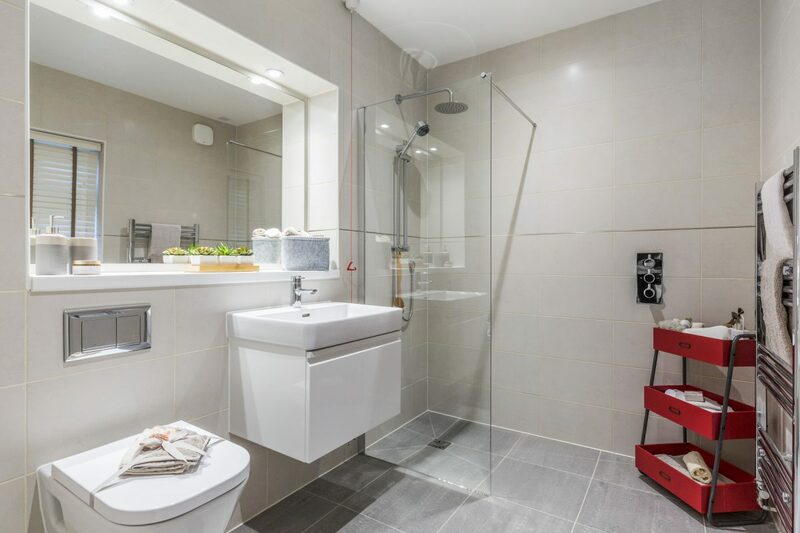 Sustainable features include the following energy saving measures: improved u-values, efficient heating, hot water and lighting systems and photovoltaic panels to meet 20% reduction of Carbon emissions from on-site renewable energy generation. 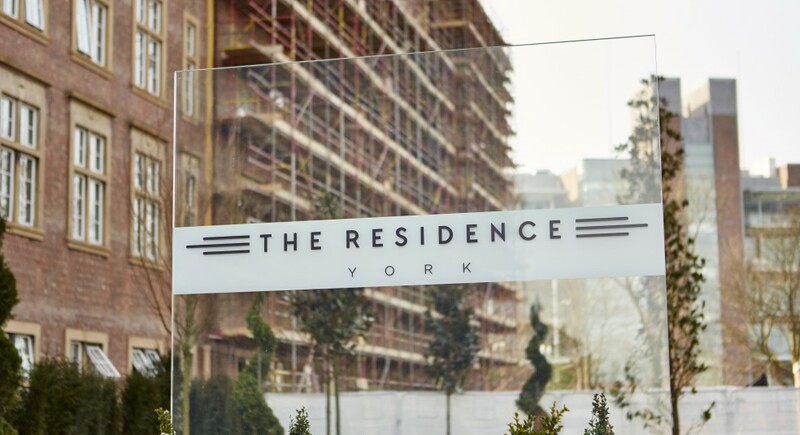 Bowman Riley has supported developer Caedmon Homes on the conversion of a 1960s former care home at Grove House into a new residential development in York city centre. The project involves the part demolition and part conversion of the 1960s property into 29 private contemporary apartments. 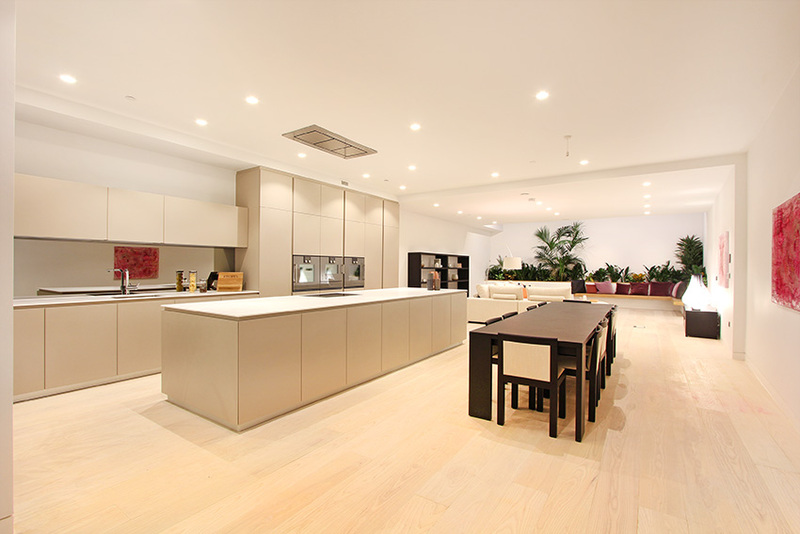 Our role was originally to deliver the technical drawing package and construction of the project. 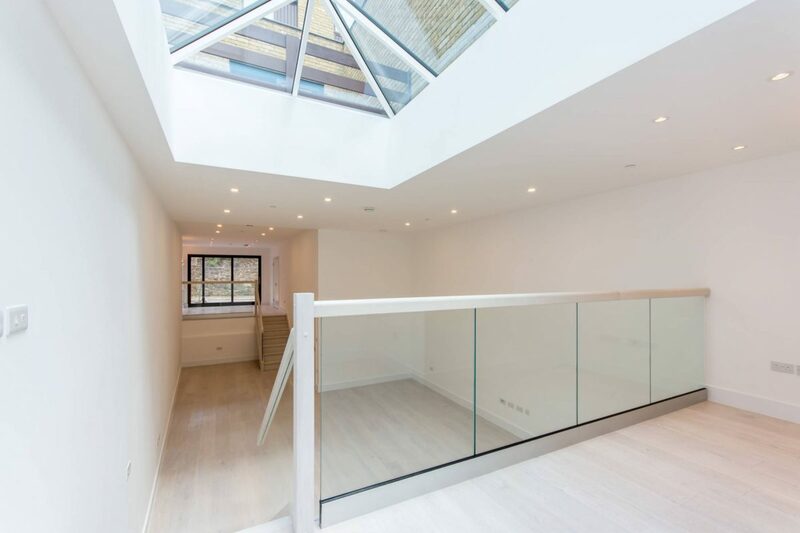 Upon review of the planning approved scheme, we found that several apartments within the roof space did not have sufficient head height and the scheme as a whole was inefficient in its use of space. Additionally, the unit mix was unrepresentative of the local area. 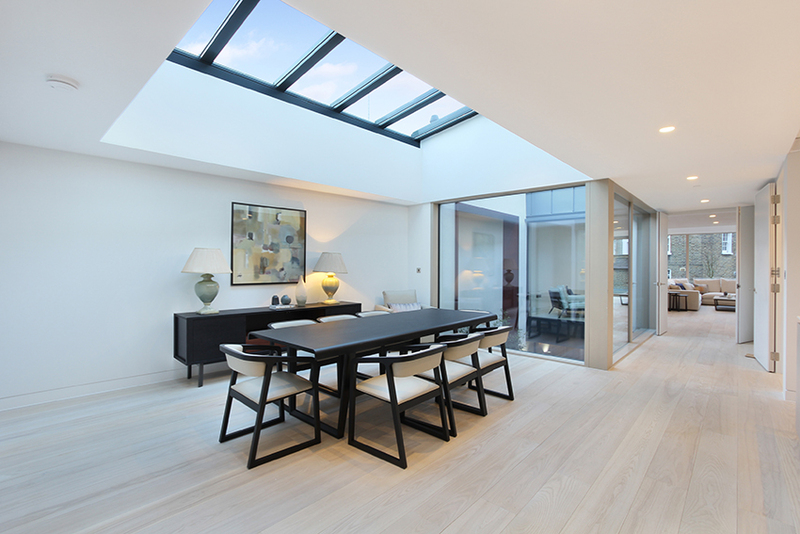 Bowman Riley reworked the design to create a more efficient scheme and replaced plans in the extant planning permission using a Section 73 Application. 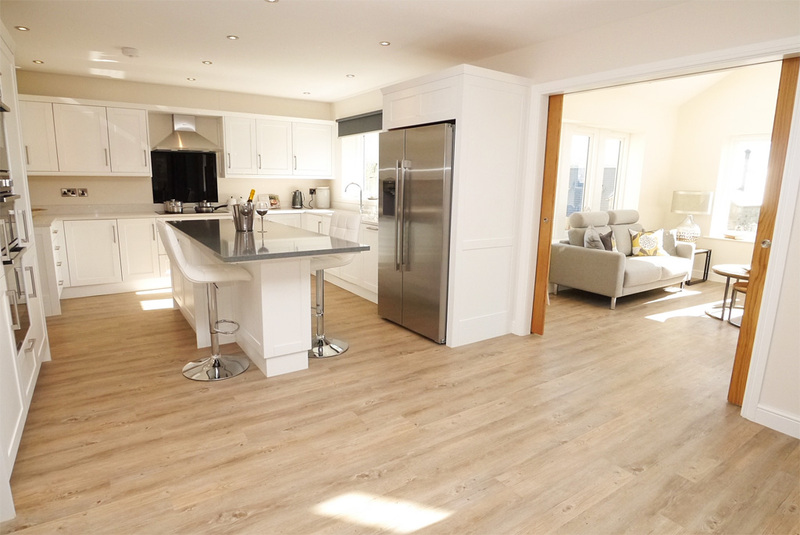 Caedmon Homes is satisfied with the improved efficiency of the design, which has enabled it to move forward to the construction phase with the contractor, Pacy & Wheatley. 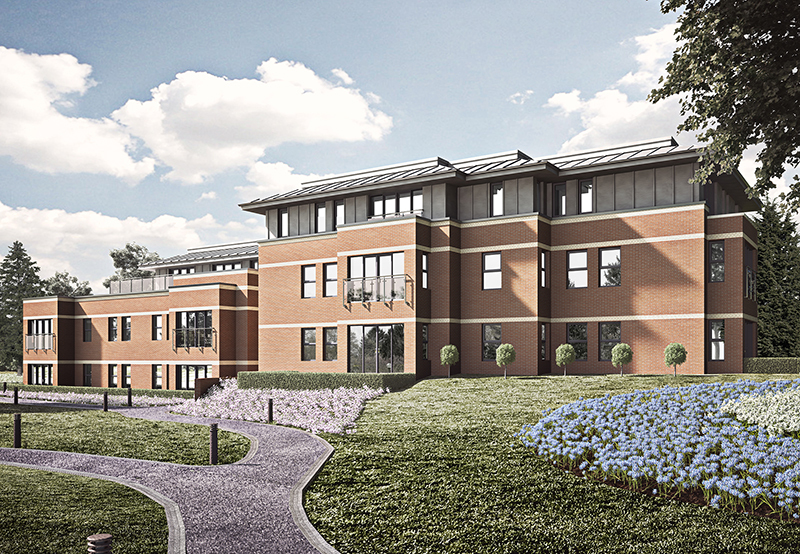 We are also providing Principal Designer and Building Surveying services during the construction phase of the project to Practical Completion. 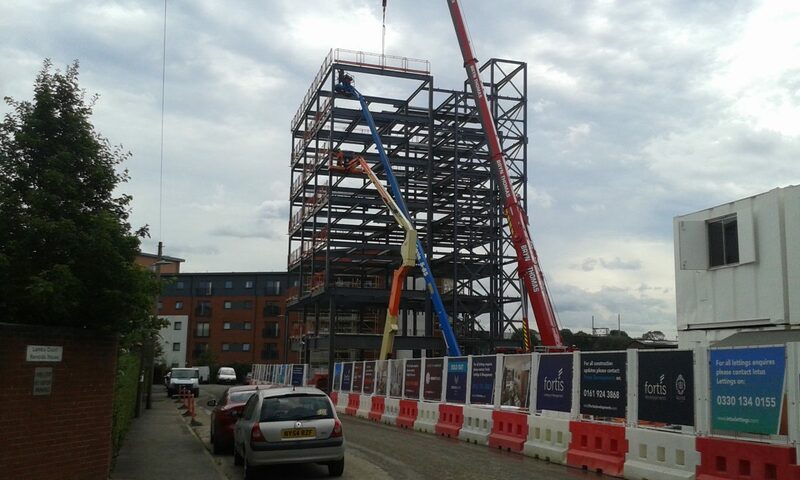 As part of our collaborative arrangement with Bramall, we were tasked with continuously improving our efficiency and speed on subsequent projects. We successfully achieved the efficiency targets by streamlining our drawing packages and refining the scope of works. The site based projects were delivered using the latest mobile technology to enable our team to work effectively remotely. 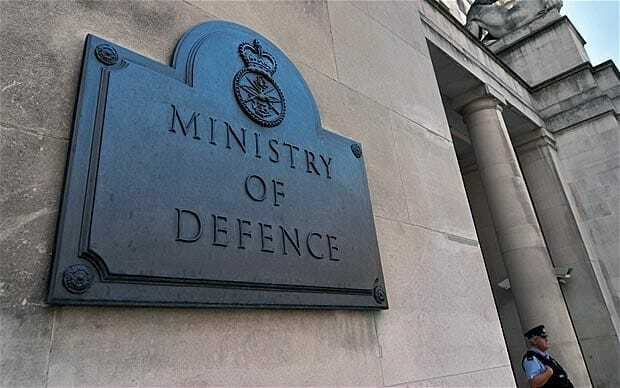 Under separate contracts, Bowman Riley designed a new sports centre and bowling alley at RAF Menwith Hill in Harrogate and a childcare centre at Imphal Barracks in York. 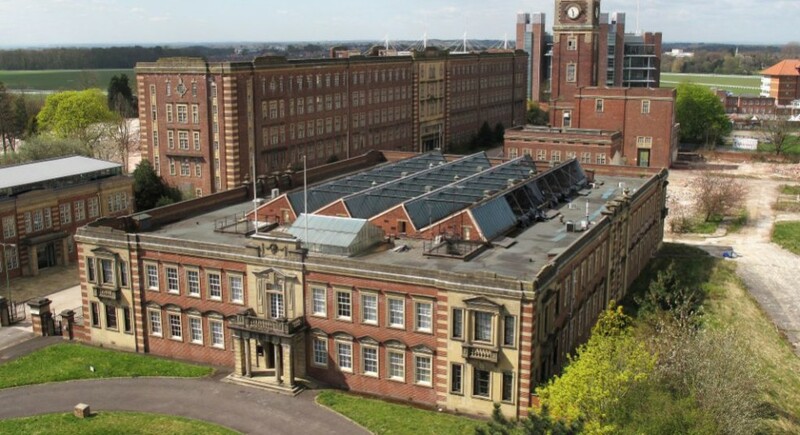 Bowman Riley transformed the derelict Kirkstall Brewery in Leeds into award-winning accommodation for over 1000 students. 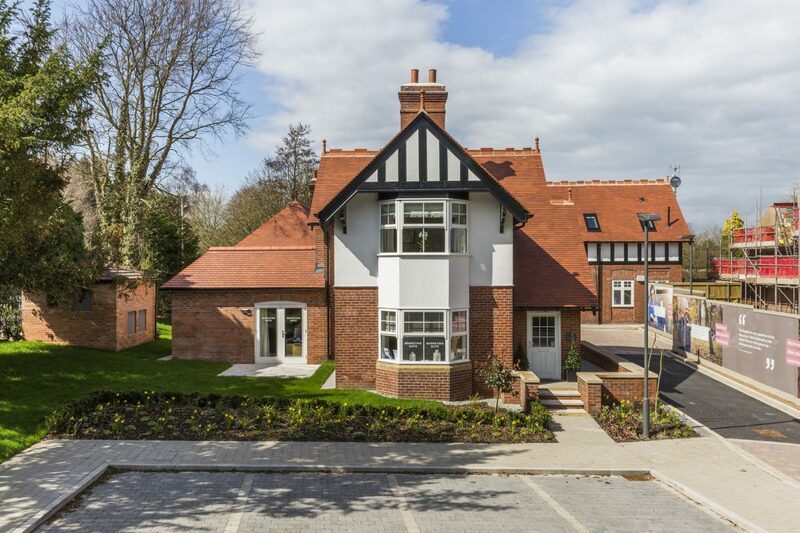 This significant education project entailed the design of a new building and the re-use of a series of substantial 19th century listed buildings adjacent to the Leeds – Liverpool canal forming part of the regeneration of this area of Leeds. The development involved the adaption and re-use of listed buildings with a massing of new build forms that maintain the strength and stature of the original brewery. 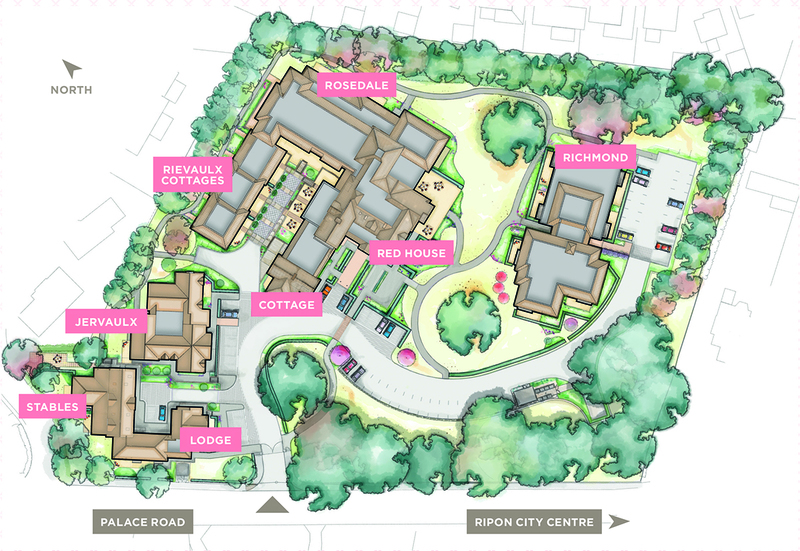 A safe and accessible student village was created, which is an imaginative social use for the site and an opportunity to conserve and enhance the character and identity of this area. 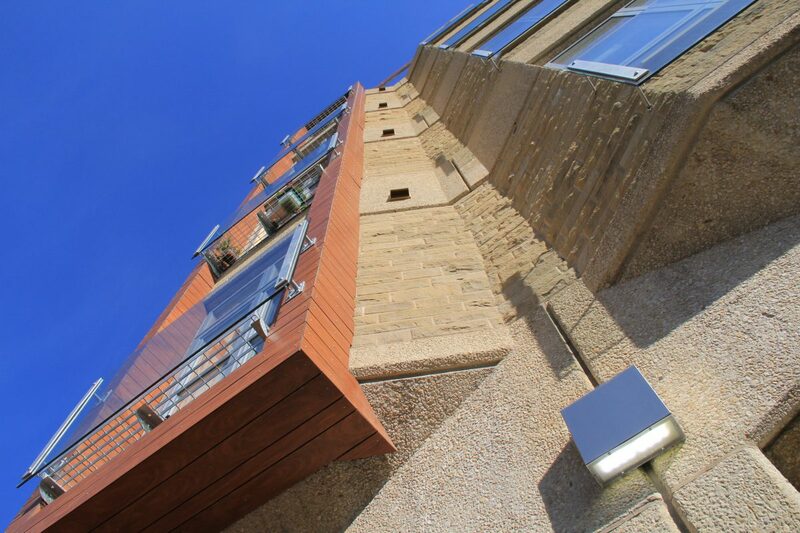 Kirkstall Brewery Residences won the City of Leeds Award for Architecture, was praised by Professor Derek Linstrum FSA architectural historian and featured in the RIBA publication: Leeds, Shaping the City. 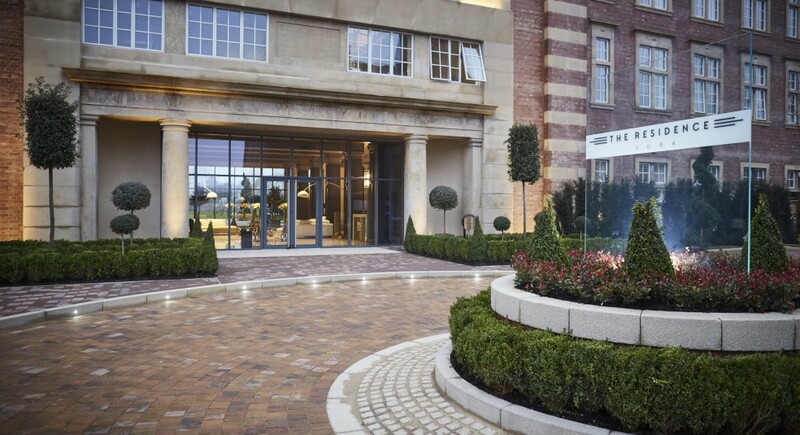 Bowman Riley was instructed by Stirling Investments Ltd to design a masterplan for their existing green belt site at Cookridge Hall Golf Club, North Leeds. The land is set in the grounds of a Grade II listed 18th century mansion house under separate ownership and in use as a health and fitness club. Concerned about the long term viability of the golf club, Stirling Investments commissioned research to consider the future of golf at the club. The outcome of the research was that the club needed to attract higher volume users and encourage more young people to use the facilities. Our role was to retain and rationalise the 18 hole course into a 9 hole course aimed at reaching a wider customer base. We also introduced a 9 hole footgolf course aimed at children and young people to stimulate an interest in the sport from a younger age as a crossover sport from football to golf. 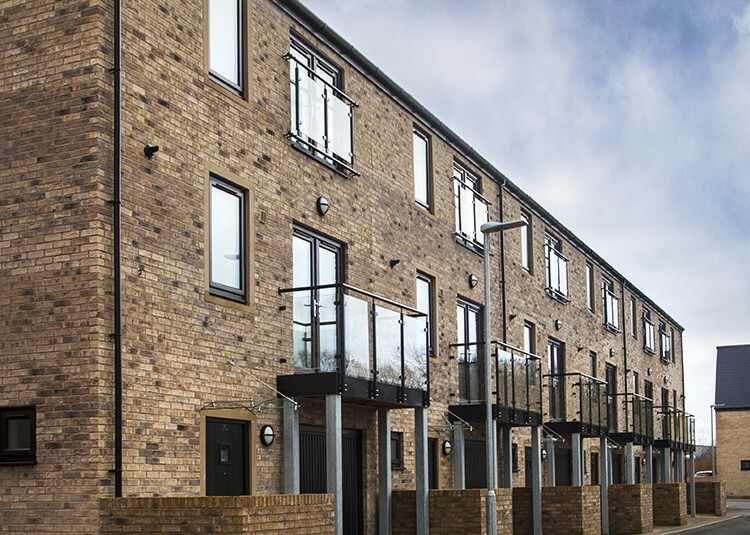 The remainder of the site was promoted to Leeds City Council for a residential development of up to 300 new houses, which would make a significant contribution towards meeting local housing land supply. Due to the nature of the green belt site in the context of a listed building setting, we worked alongside a landscape architect to consider long distance views and topography. 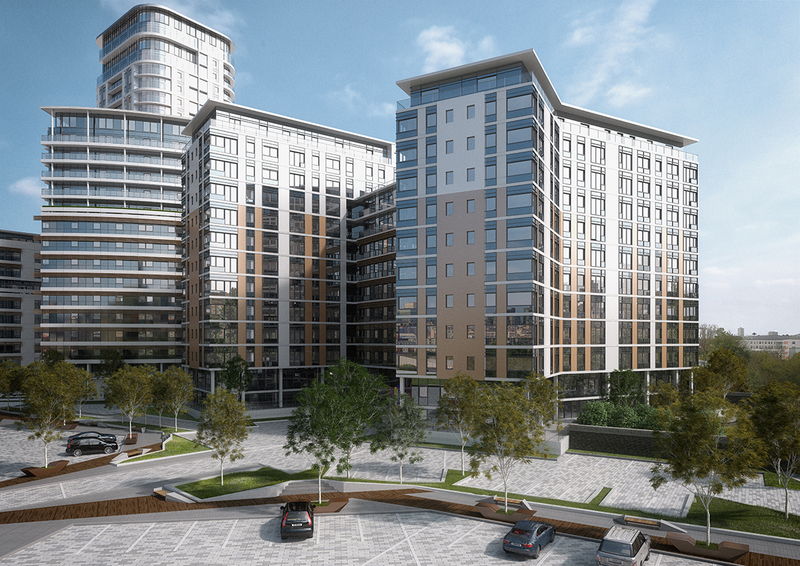 A landscape visual impact assessment was undertaken and this informed the masterplan for the site. We also took into consideration historic features of the site that had been lost and incorporate them into the masterplan. Visit their website here. 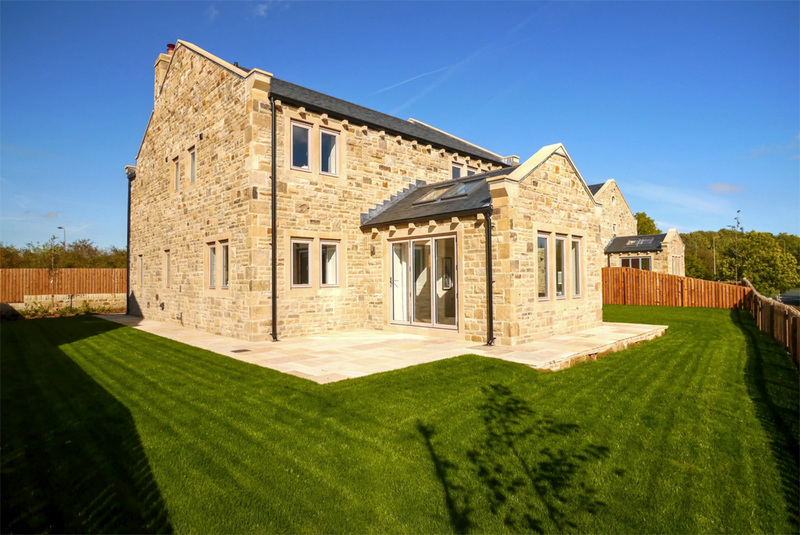 Bowman Riley designed two new four-bedroom detached homes for the developer, the Bankhead Group, on a narrow strip of land located between Burley Lane and the existing railway line in the desirable village of Menston near the cities of Leeds and Bradford. 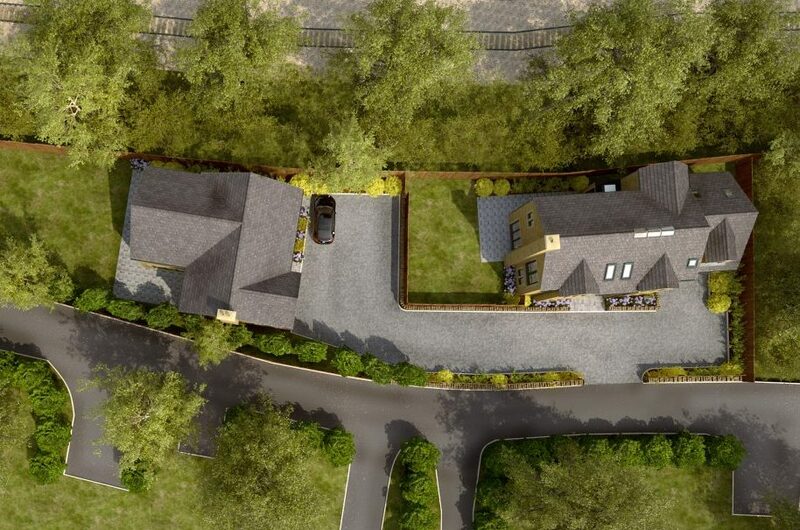 Permission had previously been granted for a single property on the site, however, our client aspired to develop the site more effectively by introducing a second property to the site. 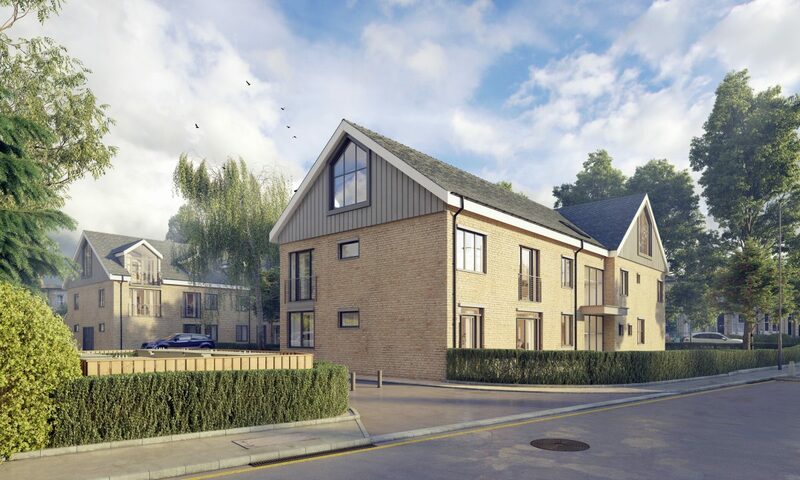 To achieve this, we made changes to the approved application and resubmitted it to allow for a shared drive, optimising the rear garden space and providing private parking on site. We also made minor tweaks to the layout of the already approved scheme. Working on a very narrow site, the design of the second plot is bespoke and reflects the topography including restrictions such as avoiding root protection areas and ensuring adequate space alongside both plots where provided. 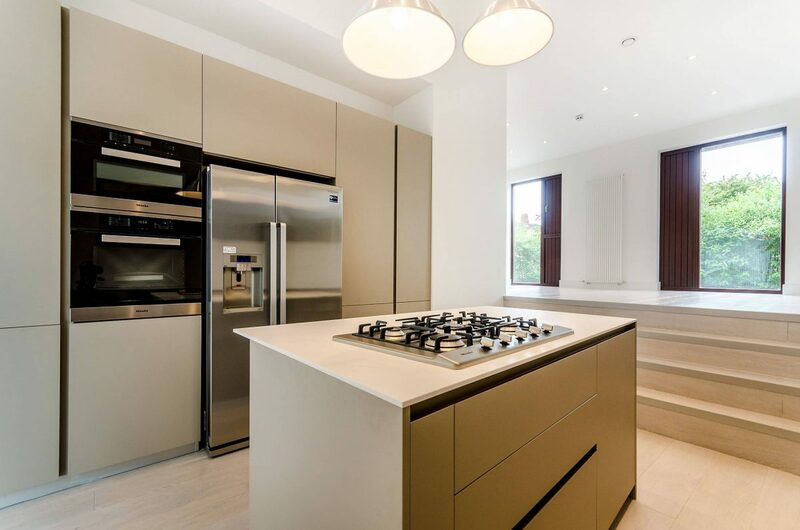 Each property was designed individually, however, the development is drawn together cohesively by incorporating the same materials and design details on both properties. 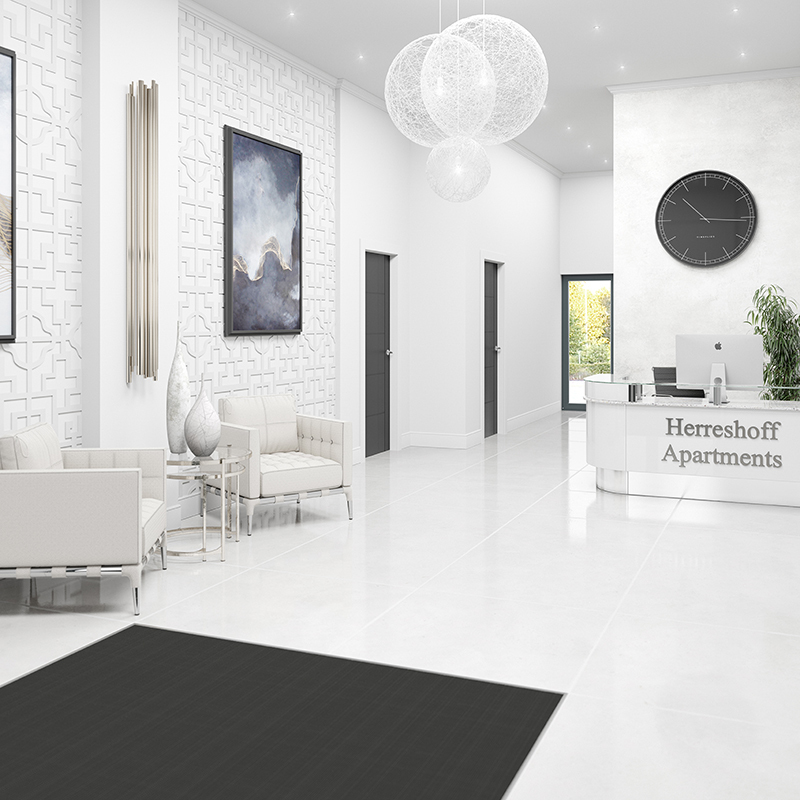 Each property welcomes residents with a double height atrium entrance using the contemporary feature slot windows to create a light-filled space. High-quality natural stone roofing materials are proposed. Bespoke boundary treatments use horizontal sleepers spaced apart between steel grey posts to boundary walls replicate the look of the railway line. Hotel Basra is an exciting conceptual design for an inspirational hotel complex located on the banks of the Shatt al-Arab River in Basra, Iraq. The five acre site will provide approximately 450 bedrooms in a five star complex including conference, entertainment and leisure facilities immediately adjacent to the Corniche. The sculptural towers wrap around two circulation cores and stretch skywards giving the luxury bedrooms aerial views of Basra and beyond. The bookend building to the south of the towers has a horizontal emphasis and floats over the Corniche, creating a direct link with the Shatt al-Arab River. 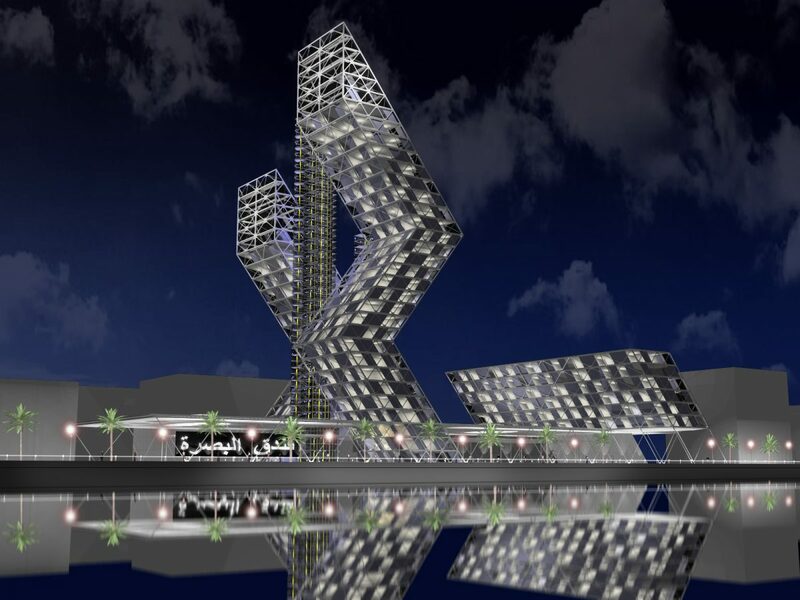 This landmark development has the potential to form a catalyst to the redevelopment of Basra and to create an exciting symbol of regeneration for Iraq. 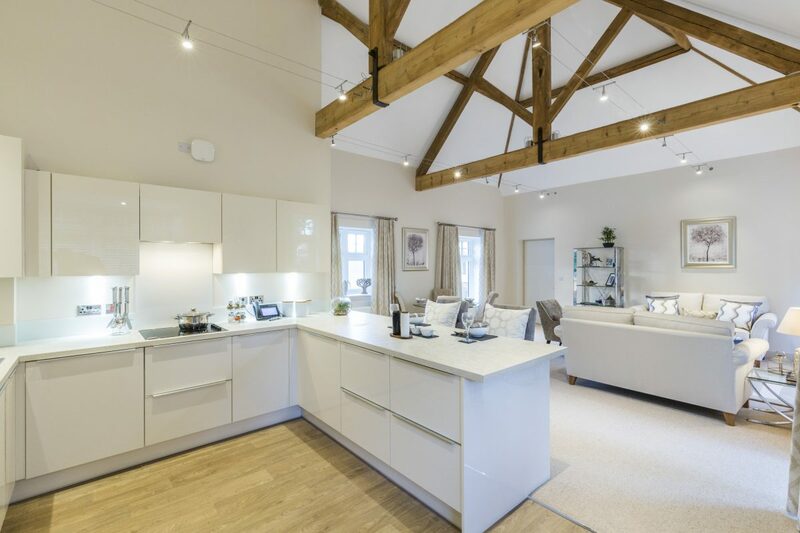 Bowman Riley provided concept designs and a masterplan for a developer on a new residential development on 11.3 acres agricultural land in the village of Wheldrake, seven miles south-east of York. 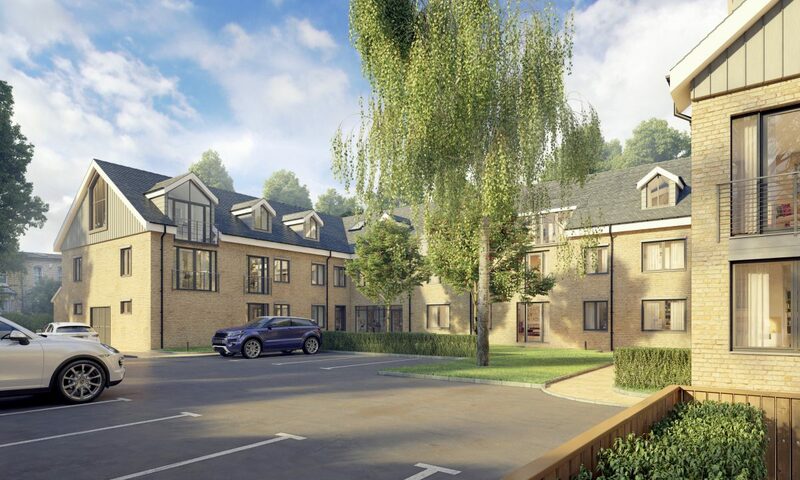 The project responded to the local authority’s call for land for residential development as part of the Site Allocations Plan to address the shortage of housing land supply. The plan is for 104 three and four-bedroom family homes including a portion of affordable housing. 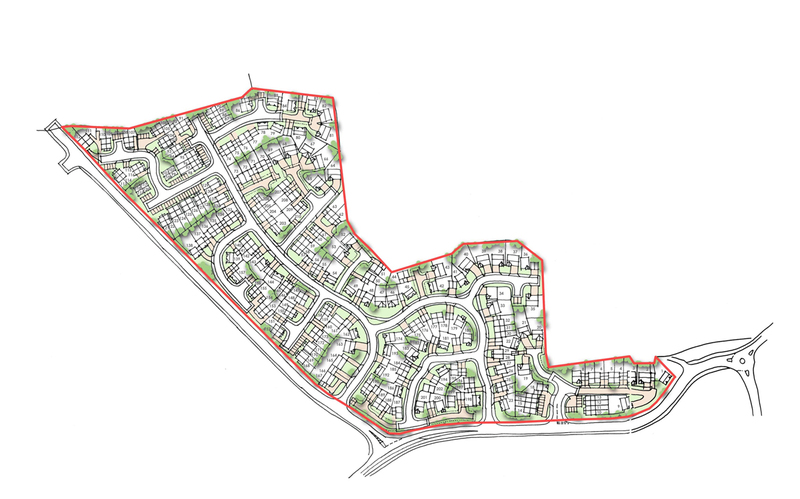 With industrial premises to the west and existing housing to the north east, the new development would round off the urban sprawl of the village. We designed a significant landscape buffer between the industrial premises and the new development to mitigate the noise and smell of the factory. A major challenge was to connect the residences from the Main Street and through the development without creating cut-through roads. 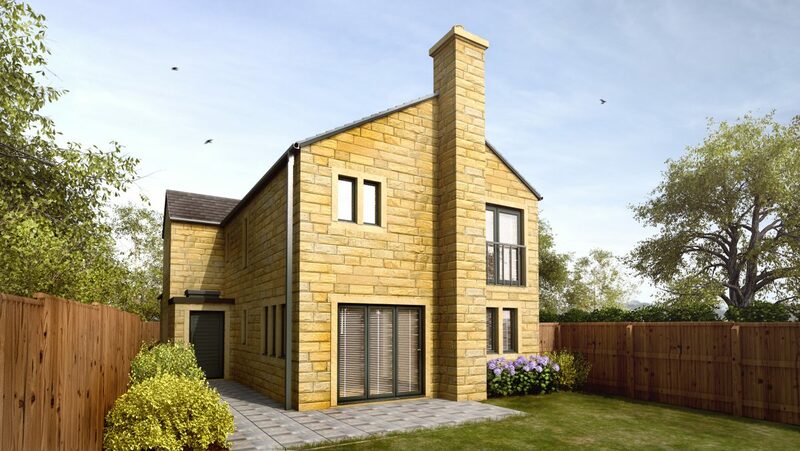 Bowman Riley provided concept designs and masterplan for a developer on a new residential development on greenbelt land in Chellow Dene to the north of Allerton, Bradford. The complex 31 acre site is a wooded valley with two Victorian reservoirs and a significant number of public rights of way. 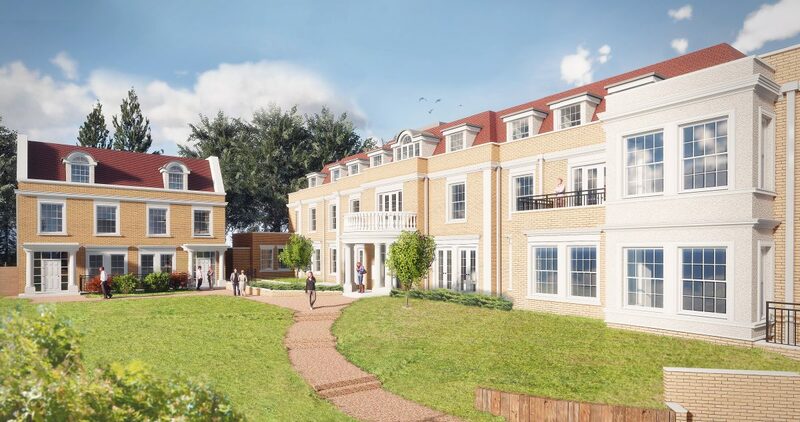 The plan is for 276 new family homes including a portion of affordable housing with access to be taken off an existing 1950s housing estate. The masterplan incorporates a large portion of open space to mitigate the impact of the new development with travel routes around the desire lines and a pumping station to work around. Bowman Riley designed a new hotel and residential development with 18 hotel rooms and 142 residential apartments in the largest city of Assam in India, the largest metropolitan area in north-eastern India. 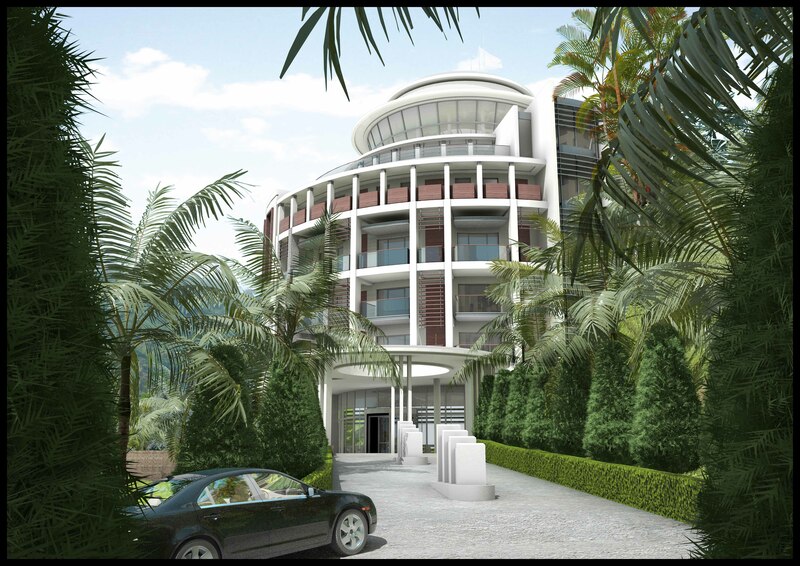 The clubhouse and apartments development sits within the tea growing capital of India and the design draws inspiration from its mountainous location. 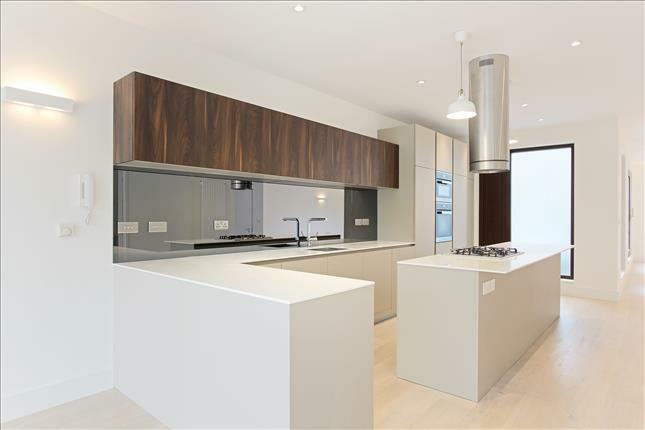 This 200,000ft² luxury residential development is comprised of five high specification apartment towers and a private members club. 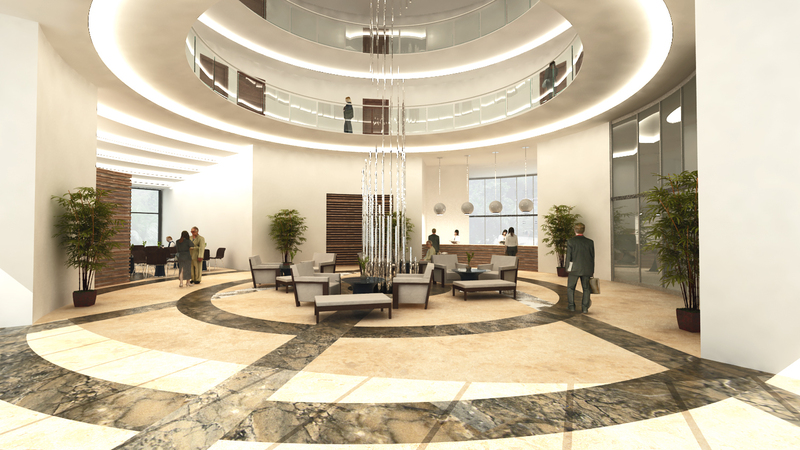 The 50,000ft² Clubhouse has been designed to the highest specification to give guests the ultimate luxury experience. The facilities includes a health and fitness suite, spa, 5 star hotel, banqueting facilities, roof top pool and revolving restaurant. Bowman Riley also designed the interiors for the clubhouse, using the best local materials to provide a truly memorable experience. 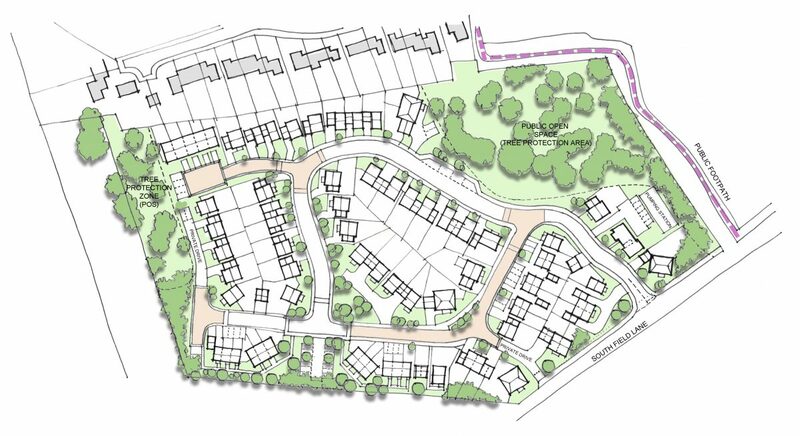 Bowman Riley worked with Planning Consultants, Quod to obtain outline planning consent for up to 80 new homes on land that formed part of a former RAF base in Tockwith, Harrogate. 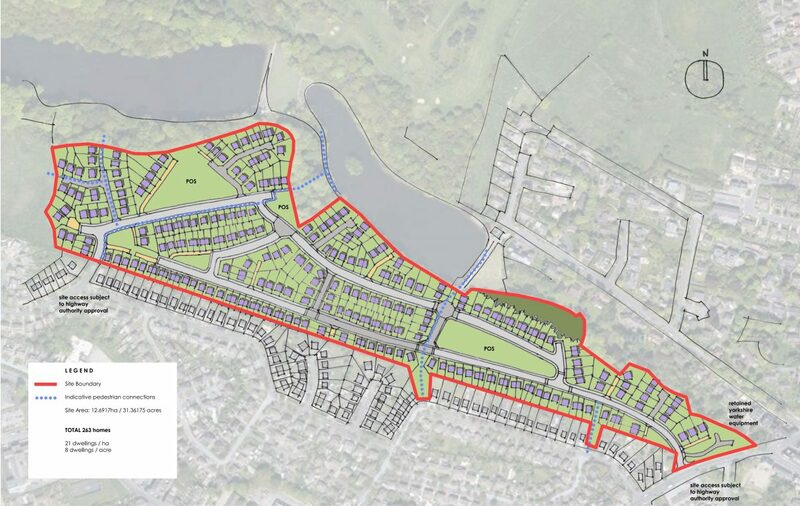 The process involved careful and lengthy pre-application negotiations; using landscape architects, highway engineers and ecologists to evaluate the site and promote its deliver-ability to help meet Harrogate Borough Council’s Housing Land Supply. The pre-application public consultations and presentations to the Parish Council responded to local concern about traffic generation and capacity of existing village services. 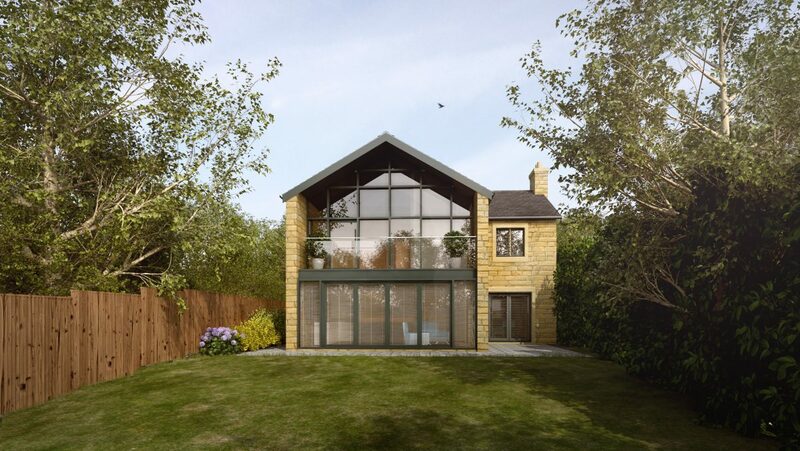 On adjacent land, a full planning application was submitted concurrently by others. It was imperative that we responded quickly to amend our indicative masterplan and fully justify why our site was equal; if not preferable to the adjacent application site. 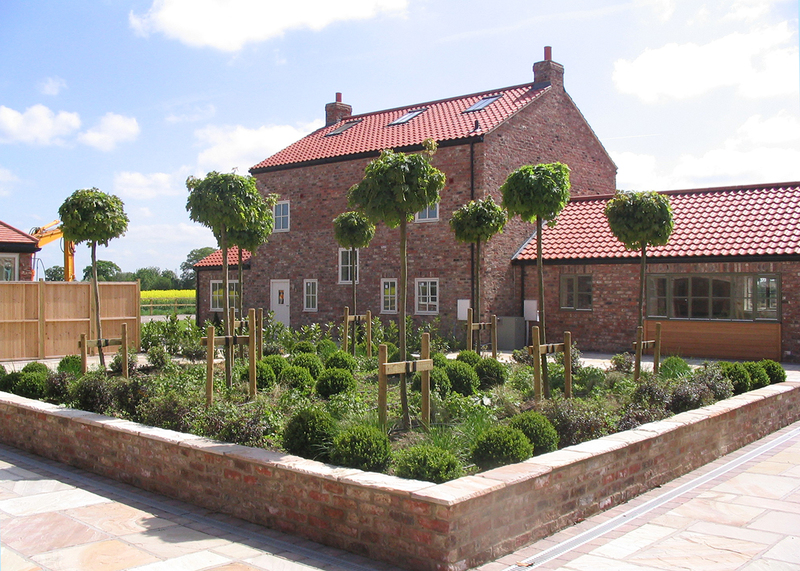 Whilst our land is further from the village core and Conservation Area, we convinced the local authority that our site was sustainable in transport connectivity, reusing previously developed land and sufficiently separated from listed buildings that would not detract from the historic village core. 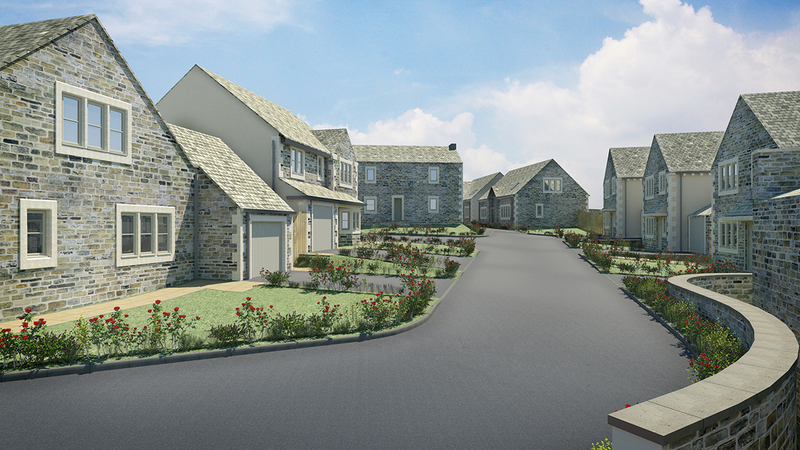 Bowman Riley has designed Higher Raikes, a new residential development in an attractive setting on the semi-rural fringe of Skipton yet within walking distance of the town centre. 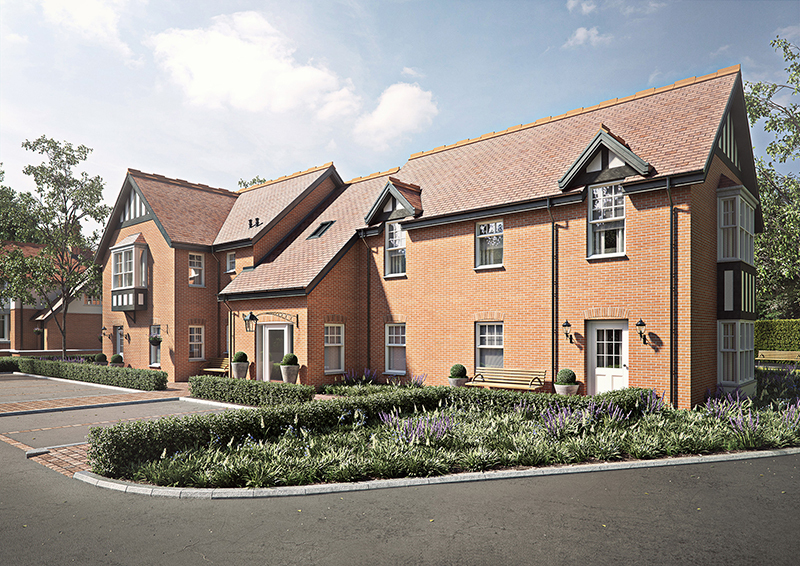 The development comprises 45 three, four and five-bedroom family houses, the majority of which are detached. 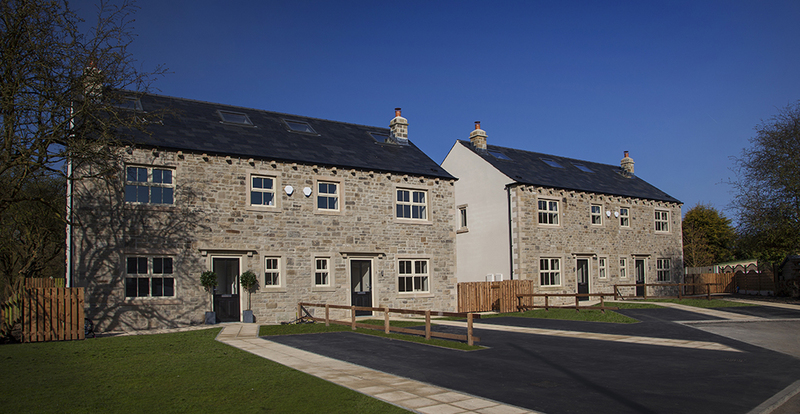 30 per cent of the development is affordable homes contributing to need for additional houses in the Skipton area. 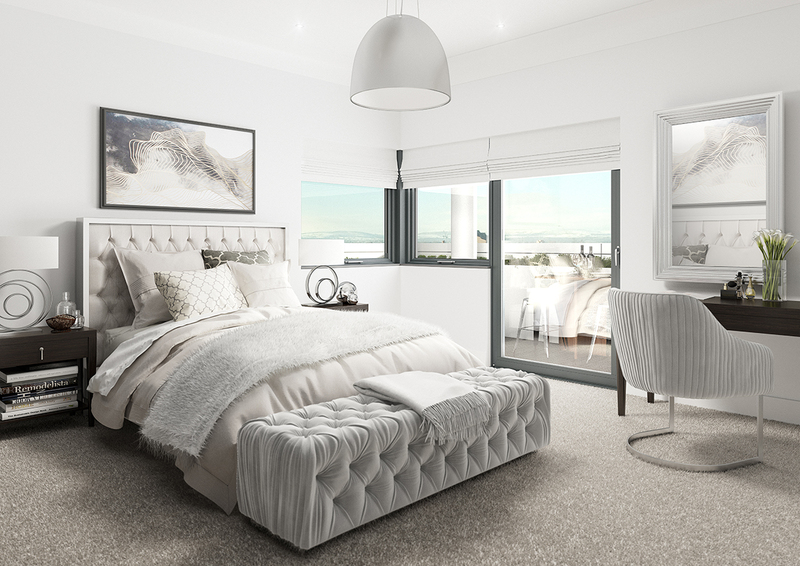 Each home has been individually designed to provide generous room proportions designed to cater to the needs of modern family life. 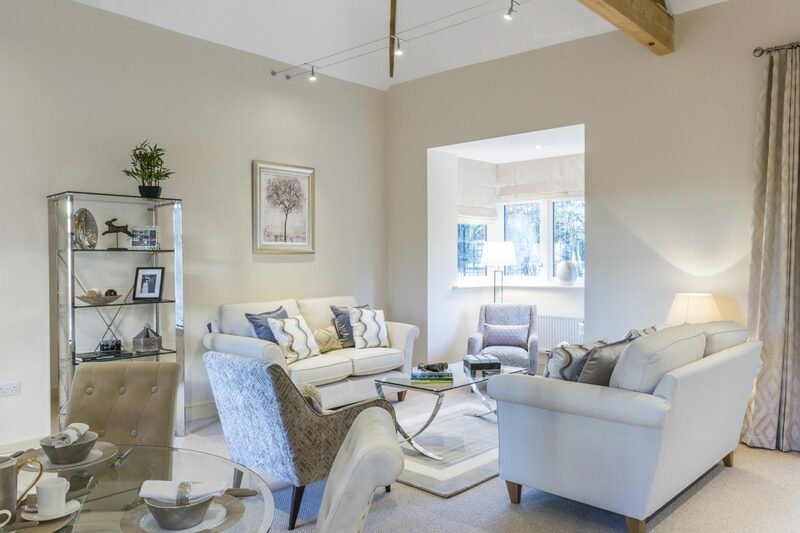 The high specification properties are to be built in random natural reclaimed stone with landscaped gardens, private driveways and stone built garages. 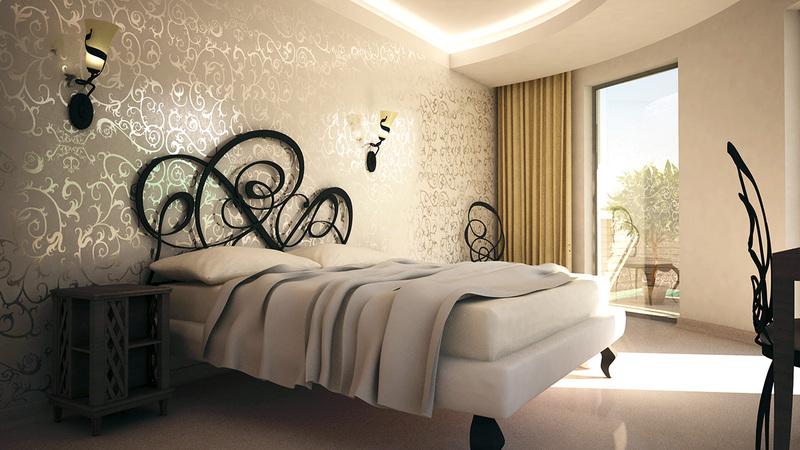 Many of the plots will also benefit from views towards the surrounding hills and countryside. 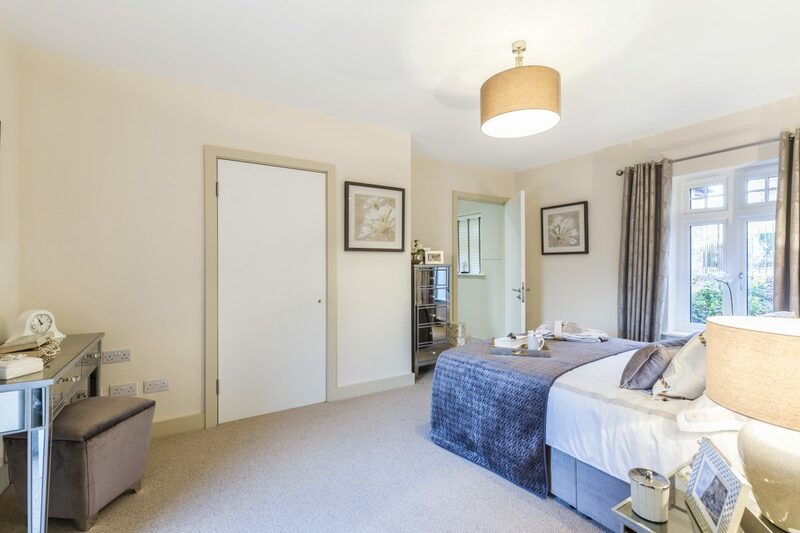 Higher Raikes has been designed to be sympathetic to the character of the surrounding area and of a much lower density than many new housing estates to create an attractive gateway development into Skipton. 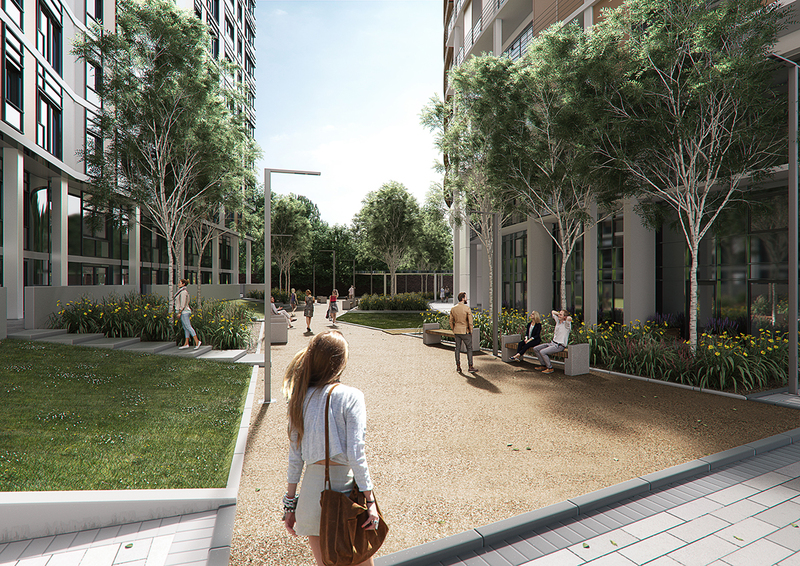 The development retains existing trees on site boundaries to provide a line of tree planting, an area of public open space for use as a park/recreation area and footpaths. Images courtesy of RN Wooler & Co. 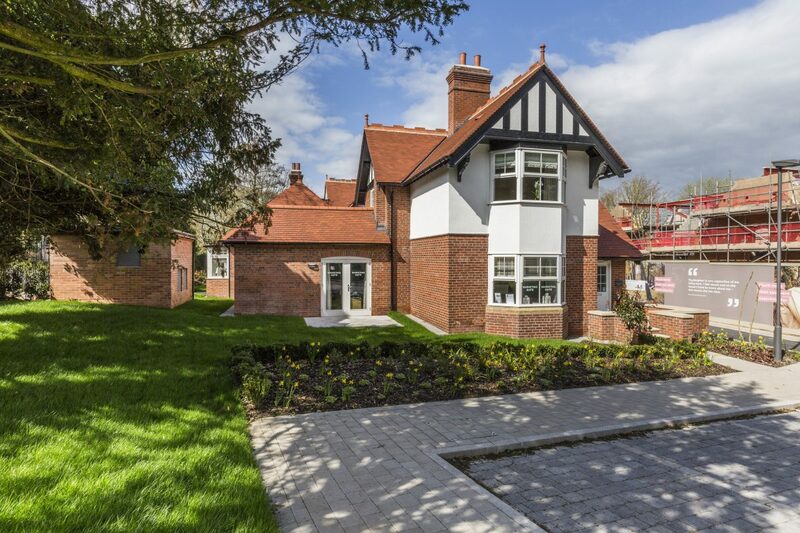 Bowman Riley designed, obtained planning approval and assisted with planning drawings for six detached five bedroom new homes with garages on Clifton Road, a site that was previously occupied by a single dwelling. 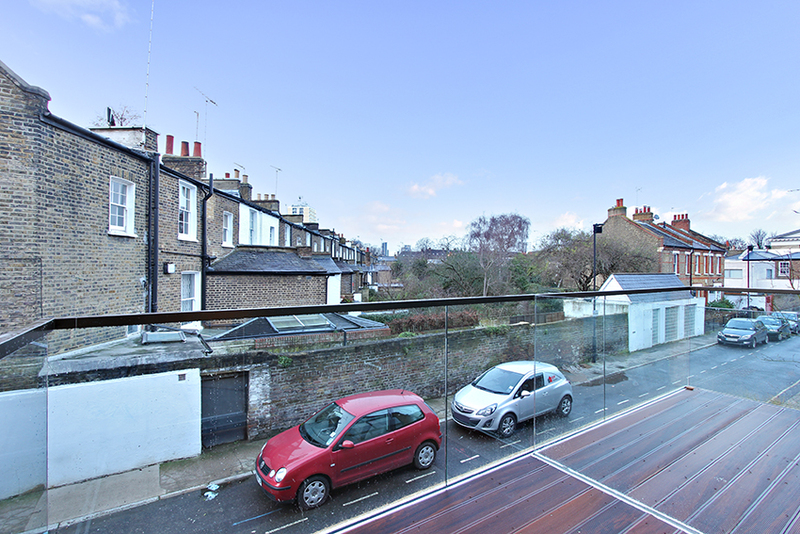 The topography of the site meant that accessed via two private driveways was provided, with existing trees to the site boundary retained the 2.5 storey design allowed for two additional bedrooms to be located in the roof space. 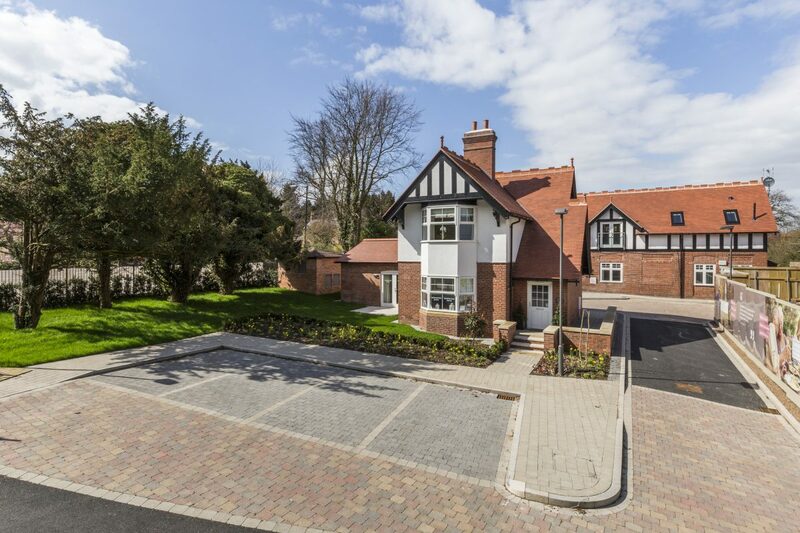 This development of six detached five bedroom new homes with garages is set within a highly regarded and established residential neighbourhood offering well-appointed accommodation. Ben Rhydding has a range of local shops, post office, public house and railway station with service to Leeds, Bradford and Ilkley town centre. 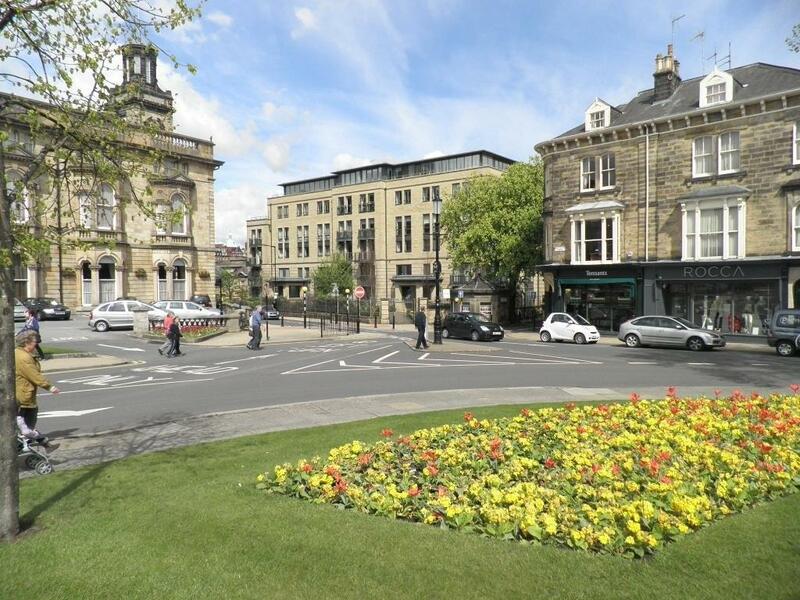 Ilkley is a popular town with a good range of shops and amenities, restaurants, sports clubs and schools. The famous Ilkley Moor with the Cow & Calf rocks are nearby. 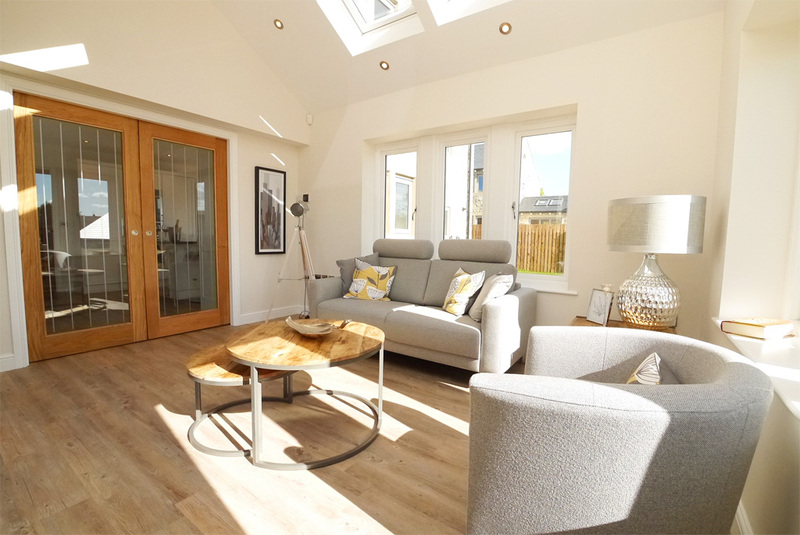 Bowman Riley was commissioned by private developer T&E Wilson Property Ltd to design the extension and remodelling of an existing house and construction of eight new semi-detached four bedroom houses at Crossfield, Silsden. 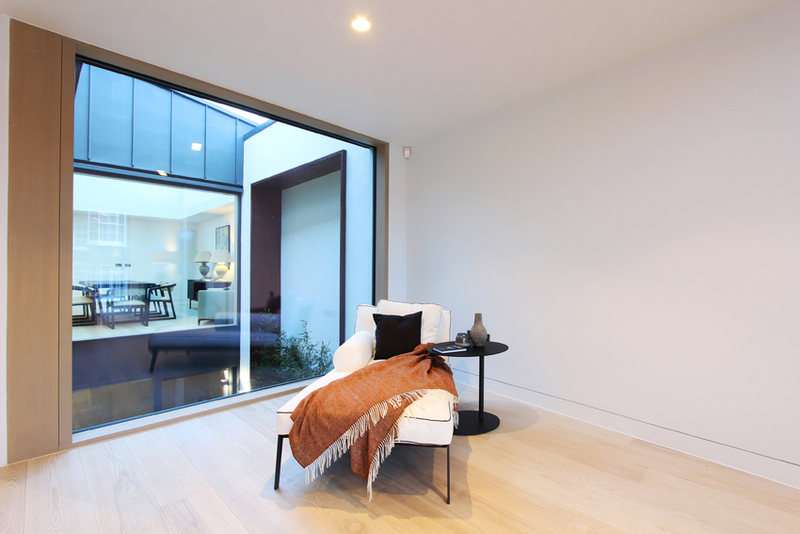 There were significant challenges to the project which included part demolition of the existing house as the site had a 6m fall across and there were existing trees to all boundaries. The design was required to include a new adoptable access road with private drives and a water attenuation system. 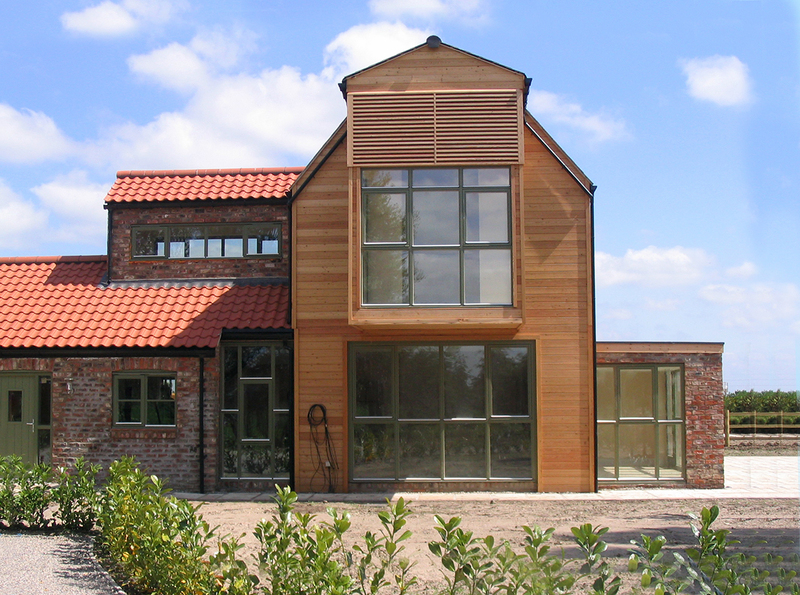 Bowman Riley submitted new planning applications, tender documents and building Regulations/construction details. Silsden is a town and civil parish situated in West Yorkshire, England. 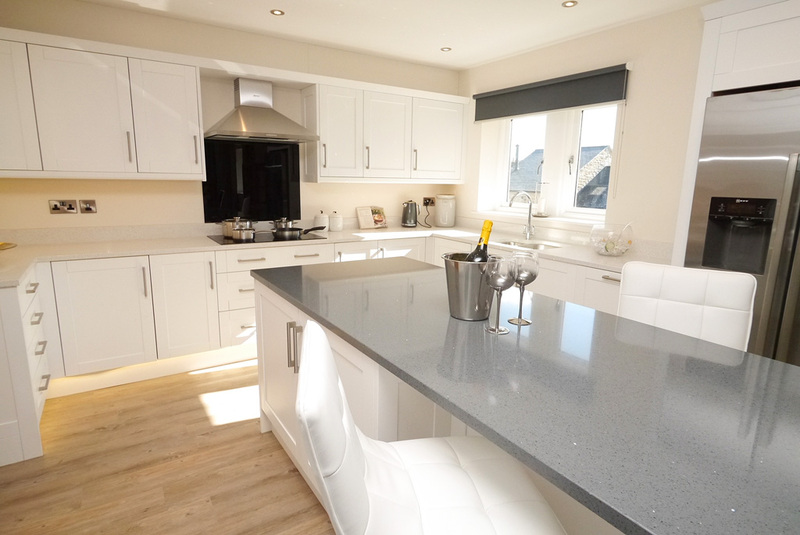 It lies on the northern slope of the Aire Valley between Keighley and Skipton. It is about 0.6 miles (1 km) from the river. Along the lower edge of the town is the Leeds and Liverpool Canal. 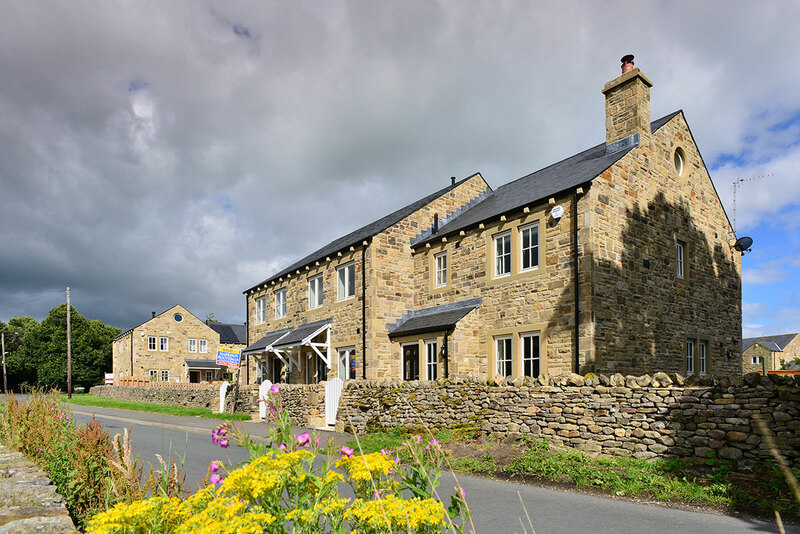 Bowman Riley designed an attractive new residential development in the Yorkshire Dales village of Giggleswick, near to the market town of Settle for local building contractor RN Wooler & Co. 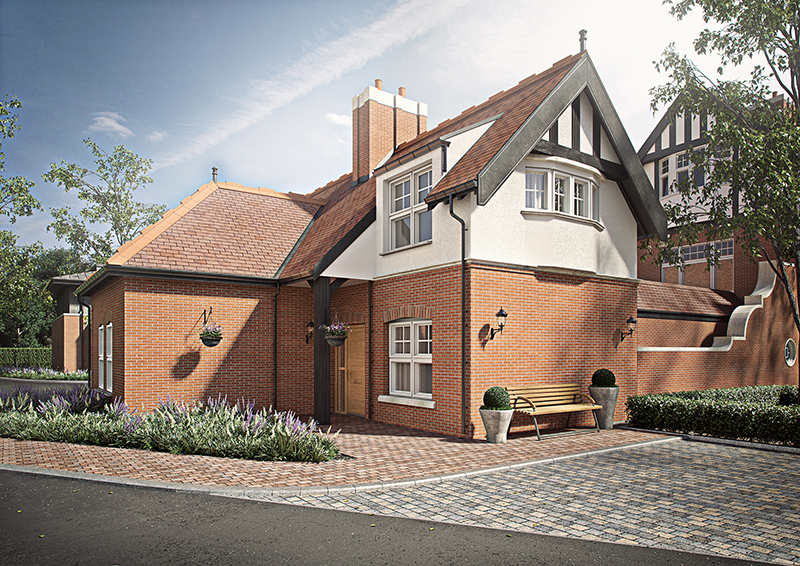 The development comprises ten high quality town-house style homes. 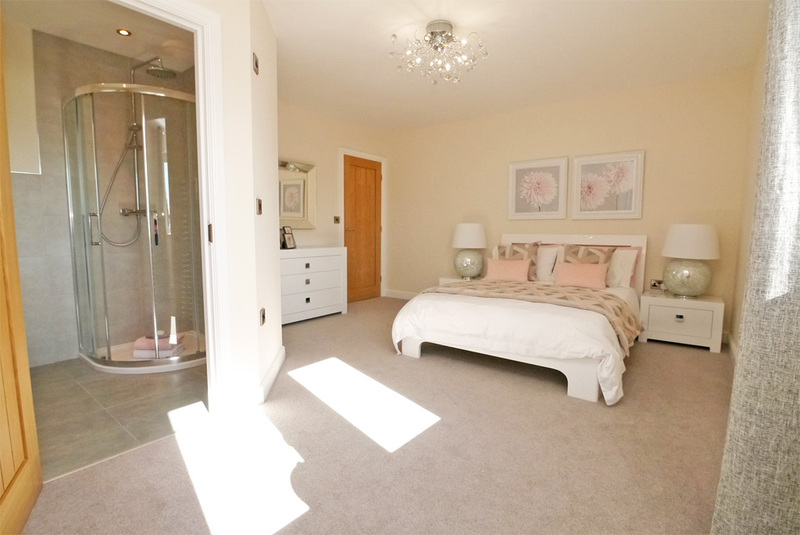 The three and four bedroom properties have attractive gardens and private car parking facilities. 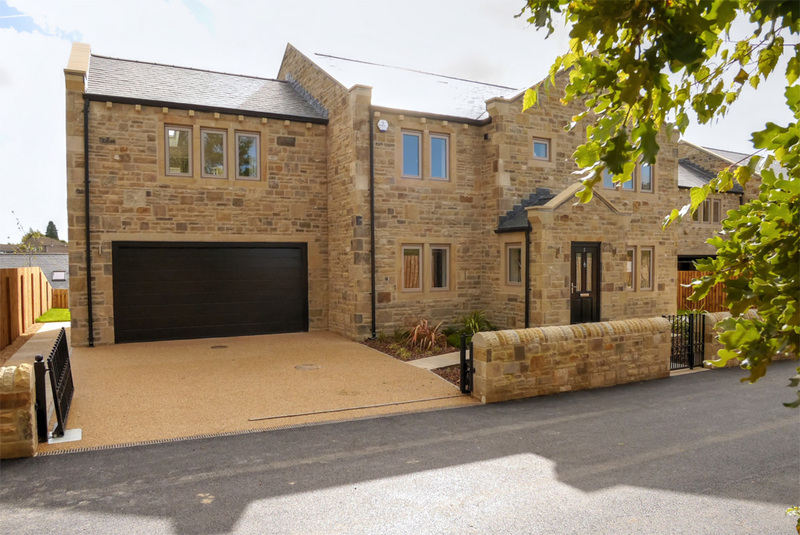 The properties were designed to a high standard using natural stone and slate roofs, combined with stone boundary walls and cobbled and stone flag paving. Stone surrounds, mullions, heads and window sills to windows and doors were used to add interest to the façades, combined with minimal overhangs to the roofs in line with the established character of the surroundings. 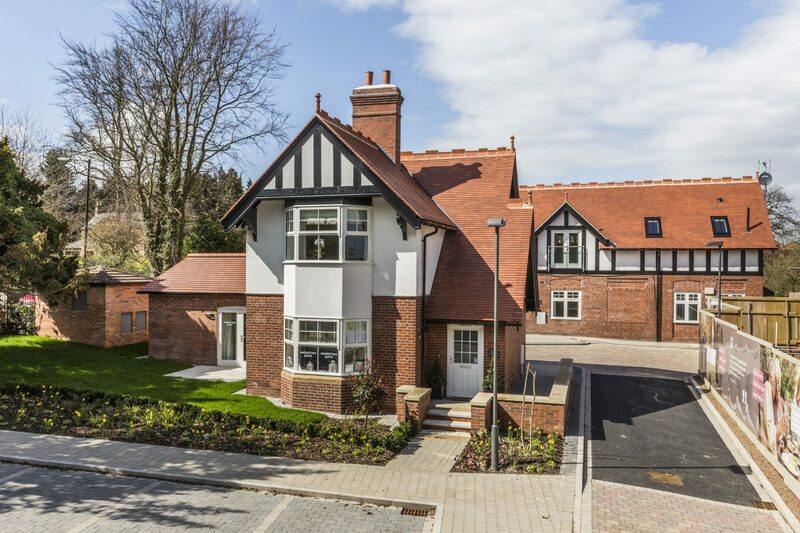 The development is located at the entrance to an existing residential development with a scenic backdrop of the surrounding fells and countryside. 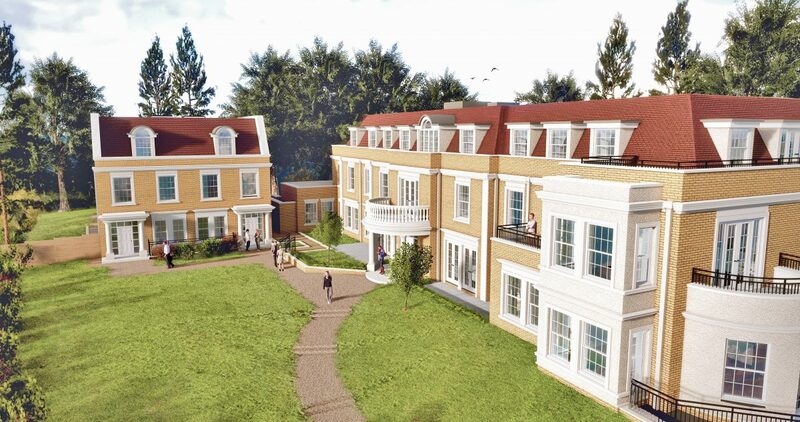 Through the careful use of scale and layout the proposed development preserves and enhances the special character and appearance of the village. 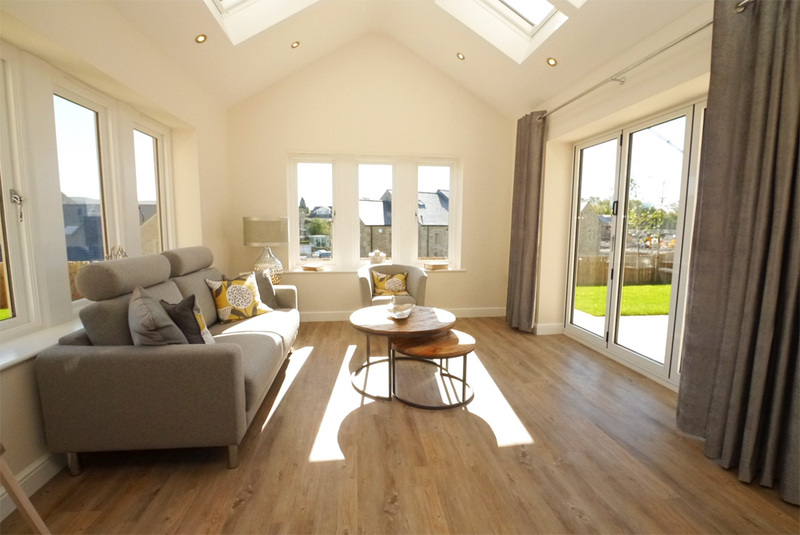 The new houses were designed to a high standard of thermal insulation providing outstanding energy performance and efficiency. 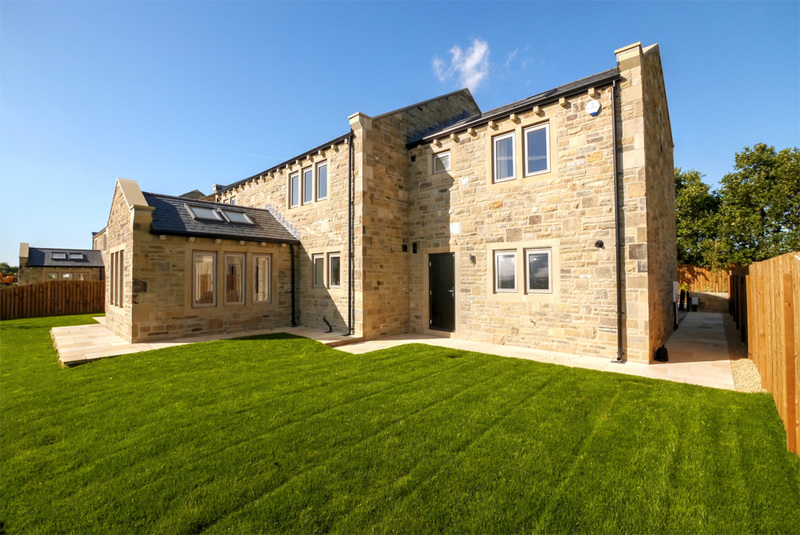 Bowman Riley worked on the restoration of two eighteenth-century cottages and the development of eight new detached bespoke homes on a 0.8 acre site within the setting of Grade II Listed Marsden Hall in Nelson, Lancashire. Marsden Park dates back to 1555 and the cottages were originally ancillary buildings to Marsden Old Hall, an eighteenth century manor house. 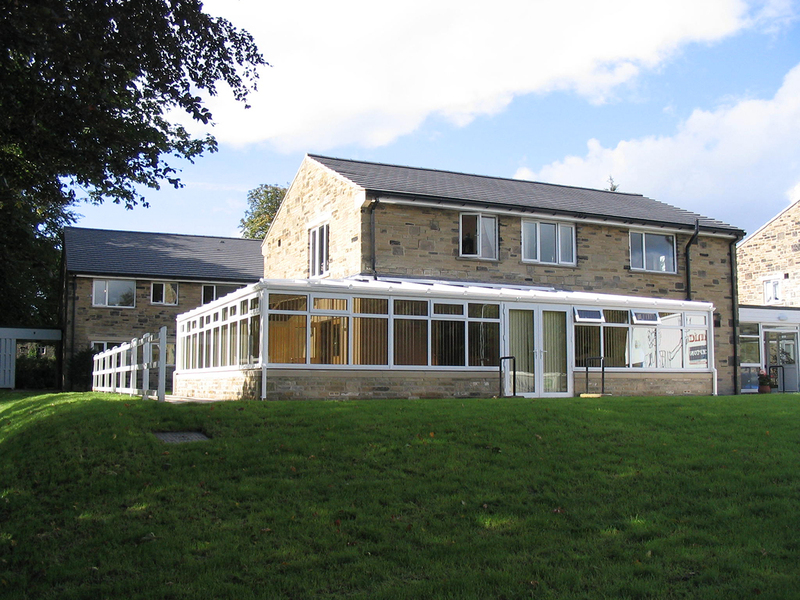 In recent years it had been used as the estates offices for Pendle Borough Council. 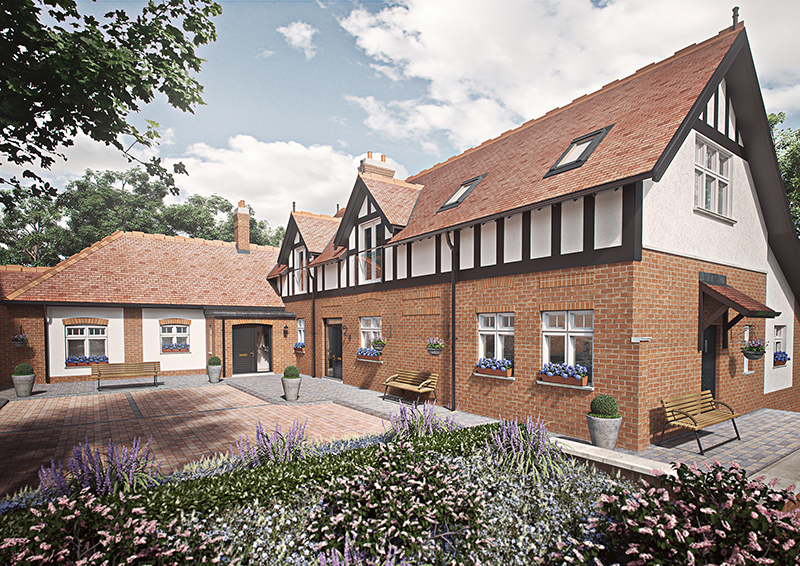 The project involves the restoration of a listed cottage, an unlisted cottage and the demolition of a redundant barn and greenhouses to make way for the new residences, four three-bedroom properties and four dormer bungalows within a new secure walled courtyard. 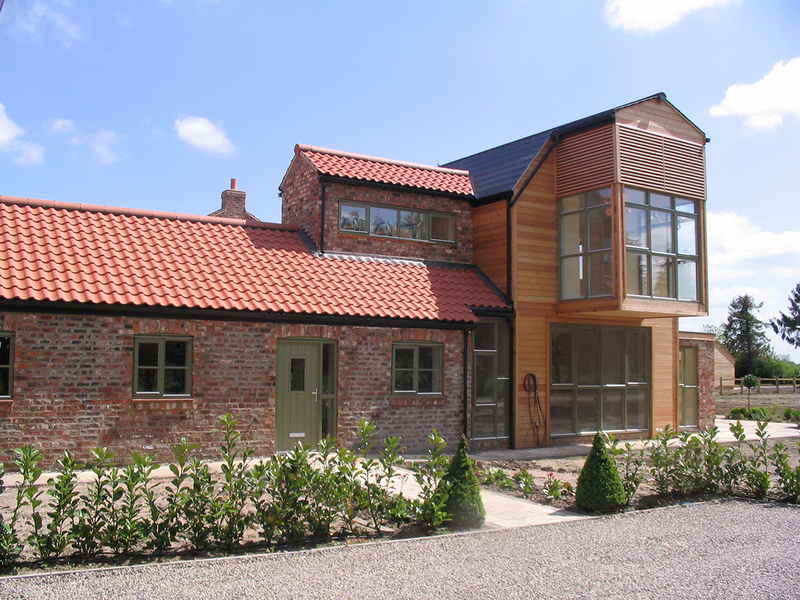 The design ethos is for the new build element of the development to be subservient to the existing retained dwellings. To ensure the sympathetic restoration of the dilapidated listed building, we are working in close liaison with the conservation officer. 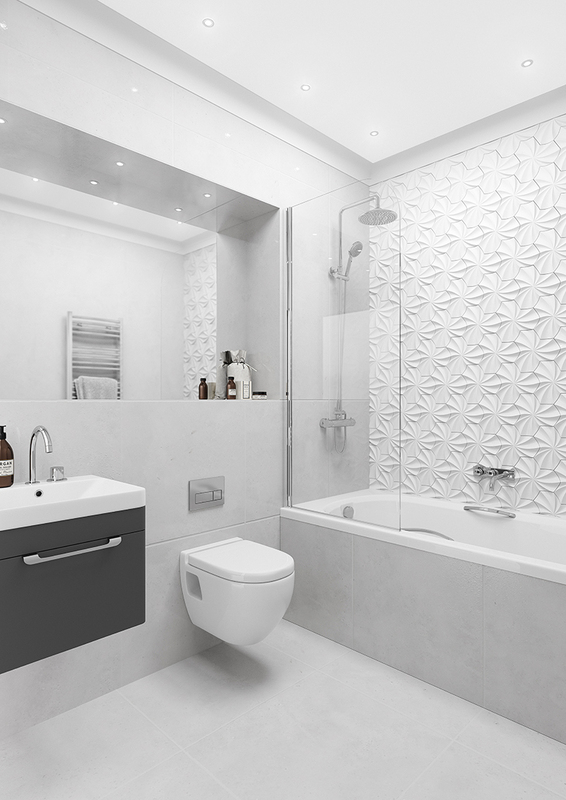 The development has been modelled and developed using the BIM software Revit, which has allowed for careful consideration to finished floor levels and re-contoured land within site. To meet sustainable targets,10% of energy on site will be sourced using photovoltaic panels, as renewable on-site power sources. Images courtesy of Candelisa. 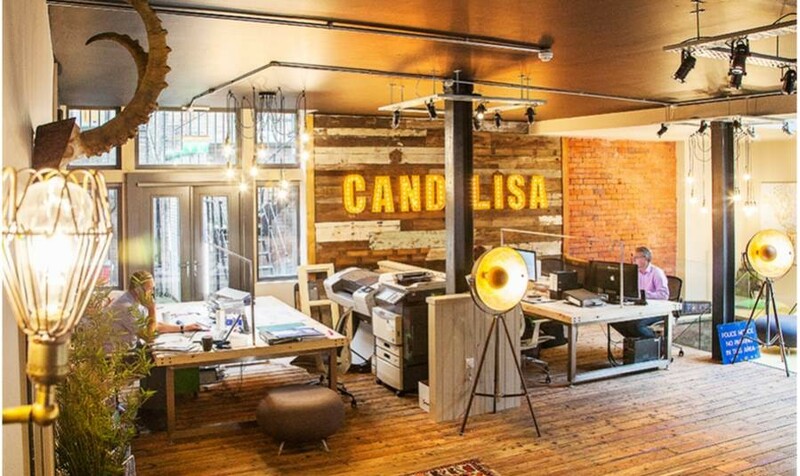 To register your interest in the development please email: sales@candelisa.com. 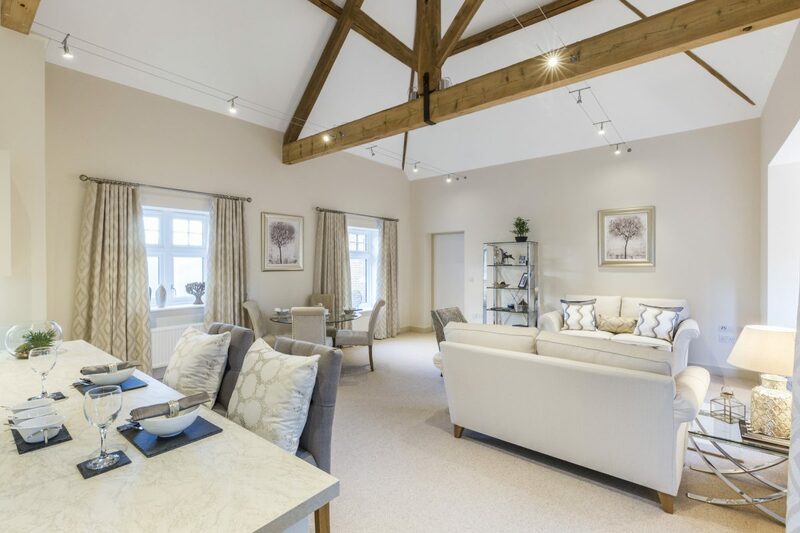 Bowman Riley was commissioned by award-winning developer Candelisa to transform a vacant 19th century Drill Hall and adjoining land into seven bespoke homes in the heart of the picturesque Yorkshire village of Haworth famed for the Bronte sisters. Identified as a key unlisted building within the conservation area, the Drill Hall had been vacant for a number of years. The adjacent outbuildings and remainder of the land were no longer in use and unkempt providing a negative impact to the area. 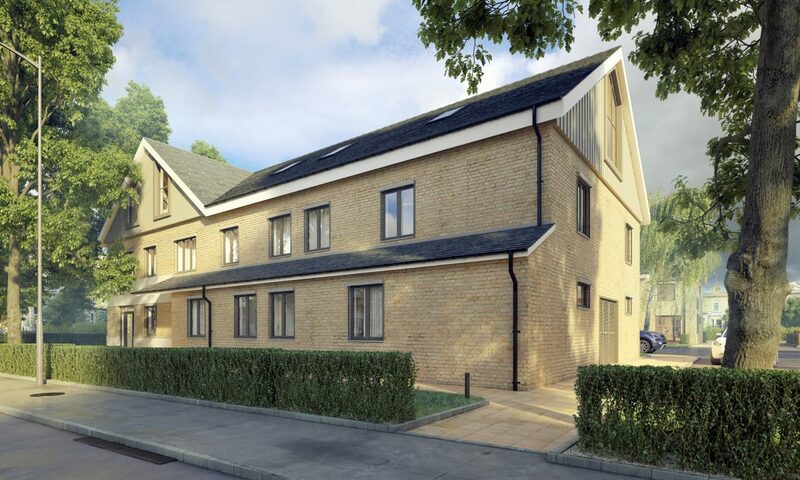 The development involves the conversion of Drill Hall into four 2 bedroom houses and the development of three 3 bedroom individually styled terraced homes on adjoining land with off-street parking. 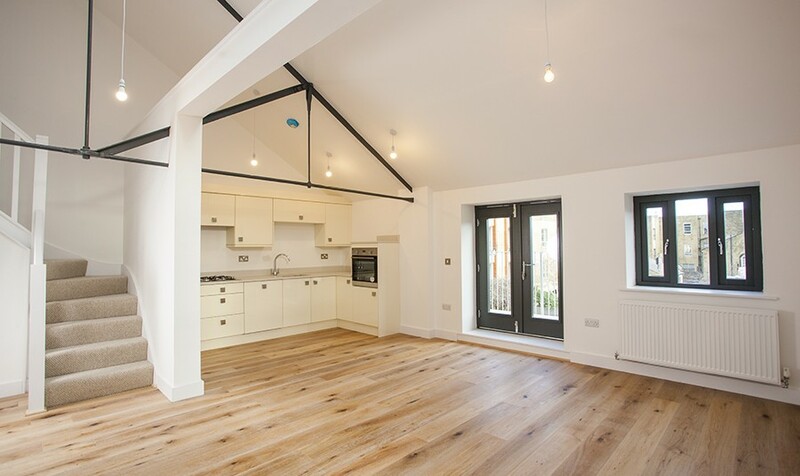 The design seeks to enhance the character of conservation area, by restoring and converting the existing Drill Hall for residential use, retaining the history of the area and bringing it to modern day use. The development of the new dwellings on the adjacent land are needed to facilitate the viability of conversion and long-term retention of the drill hall. 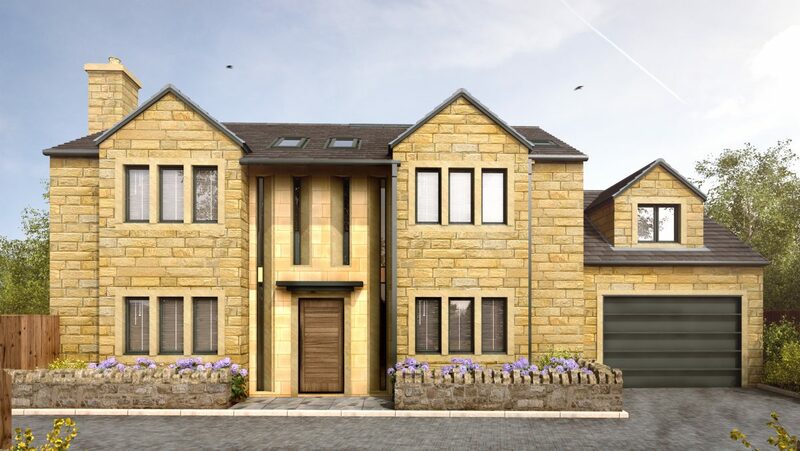 Each of the new three bedroom properties are to be built in stone with variations in window detailing to reflect the best examples of neighbouring properties. 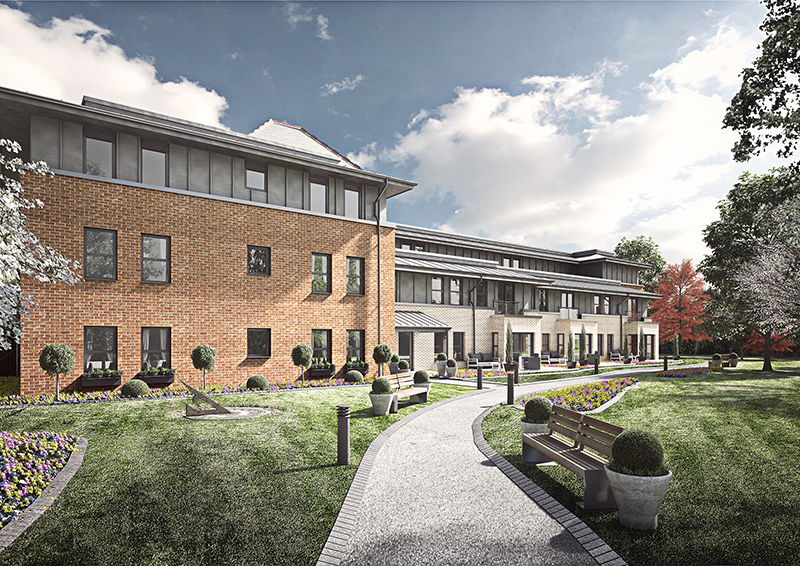 The new residences will respond to the local vernacular and sensitively integrate within their surroundings. 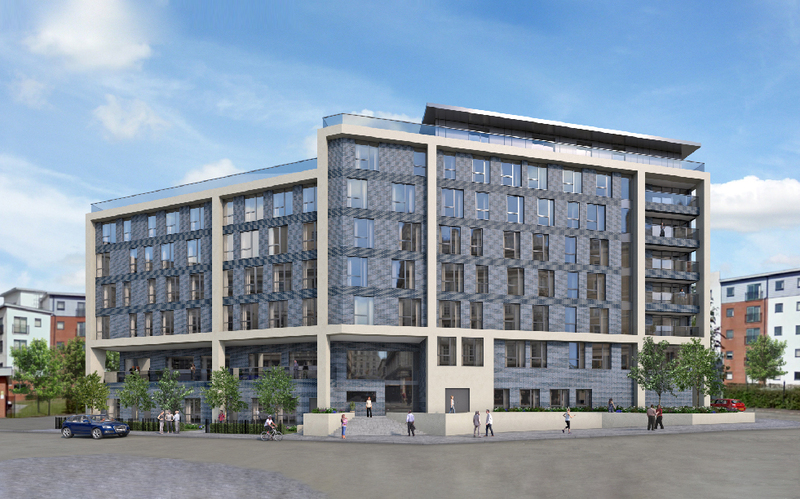 In October 2015, planning approval was obtained for the development and construction is planned for 2016. 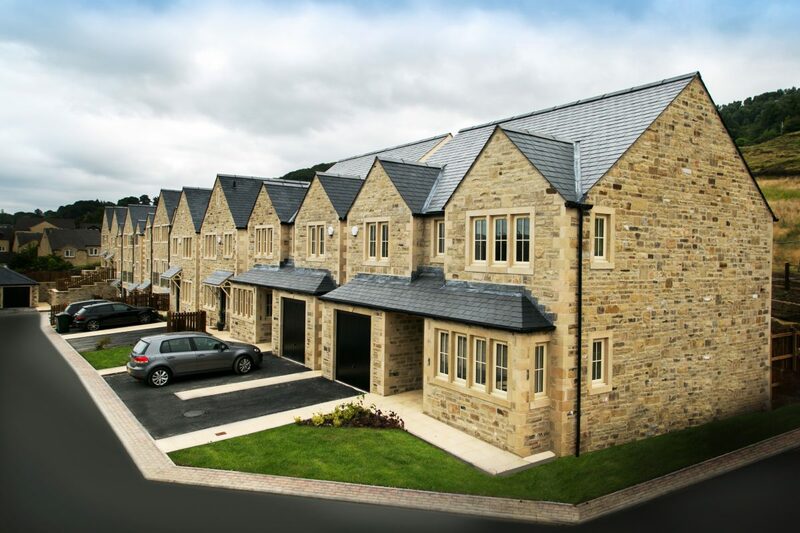 Bowman Riley was commissioned to develop the designs of a major residential development, Calder Green, Padiham in East Lancashire. 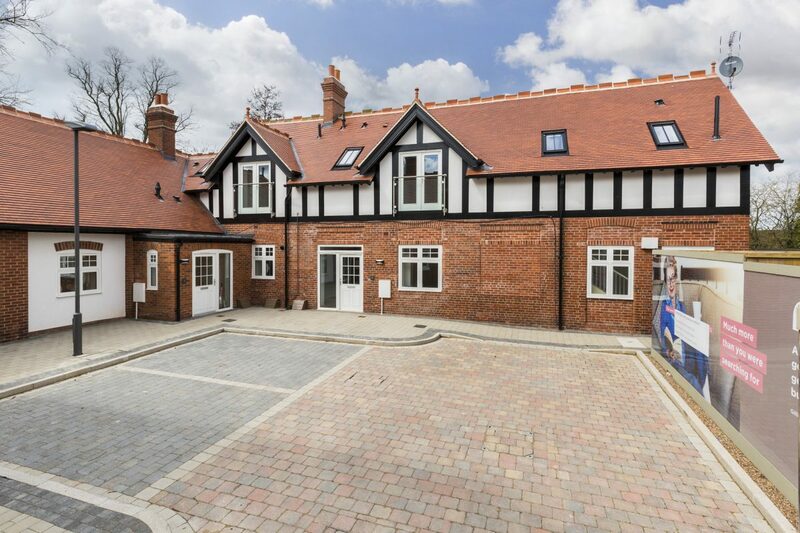 Located on 5.5 acre brownfield site (the town’s former railway station), the majority of the land had been occupied by disused industrial buildings at the time of acquisition. 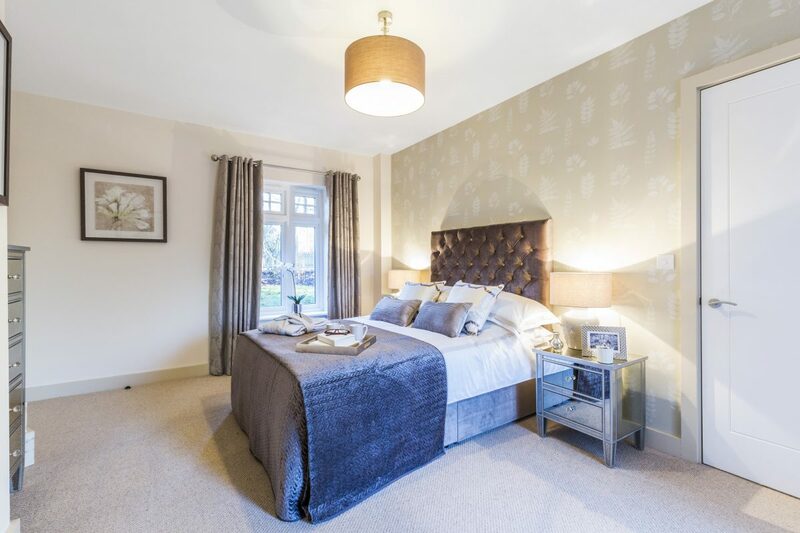 The land was is ideal for residential development overlooking the new Memorial Park and local leisure centre and within walking distance of the town centre. 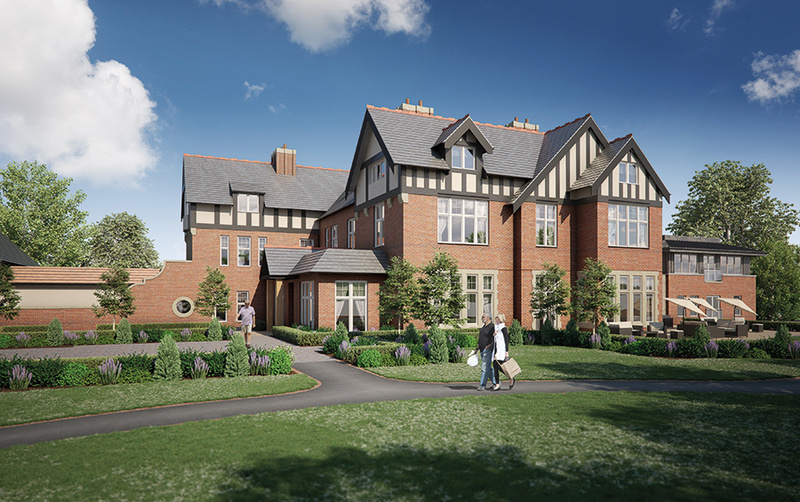 Appointed by Renaissance Land, we provided the technical drawings on the 120 house development over four phases. 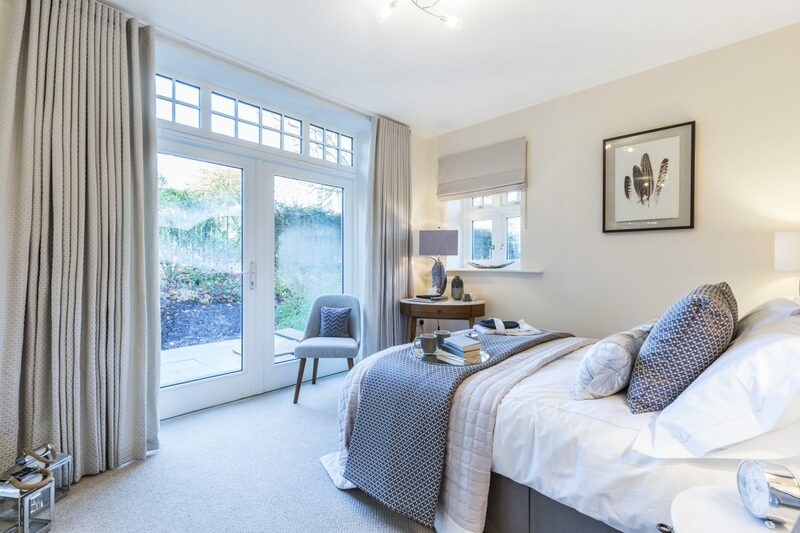 The mix of two, three and four bedroom family homes are stylish, light and airy with practical and flexible interiors. 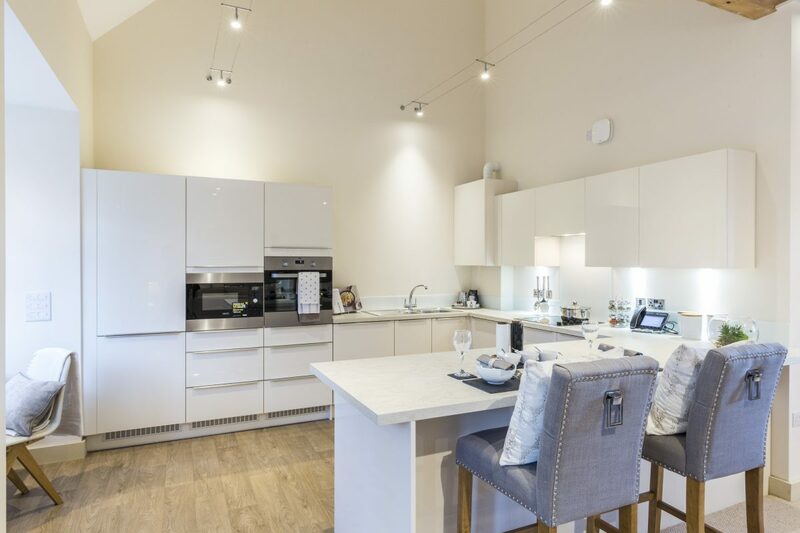 Free flowing living areas open into private gardens, while attractive kitchens are designed to be a focal point for contemporary family life. 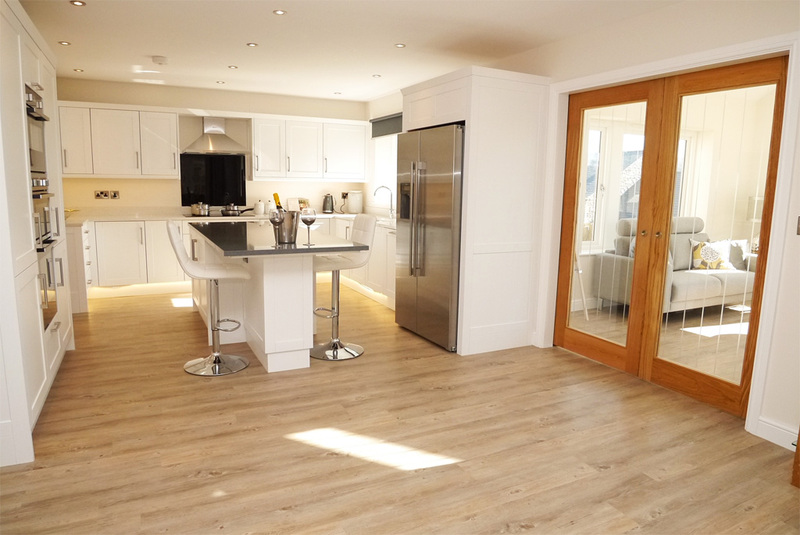 The homes are energy efficient and meet the Code for Sustainable Homes Level 3. 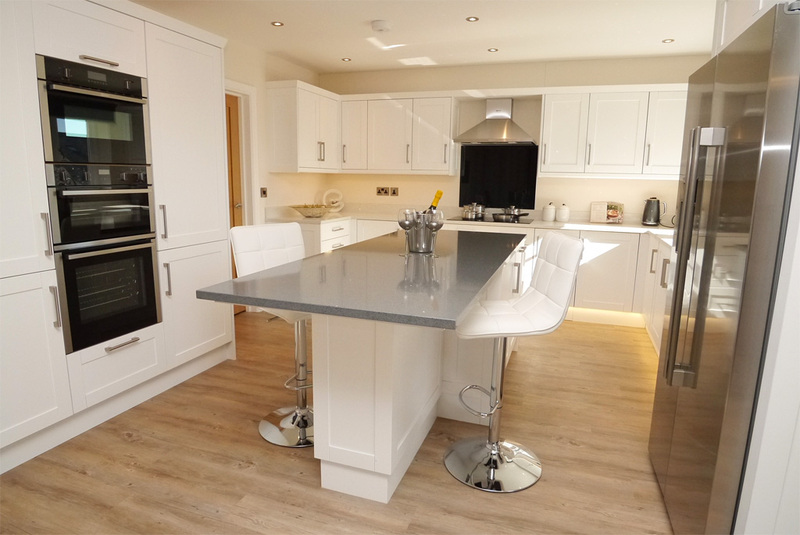 The first two phases comprising of 42 homes have been completed to date. 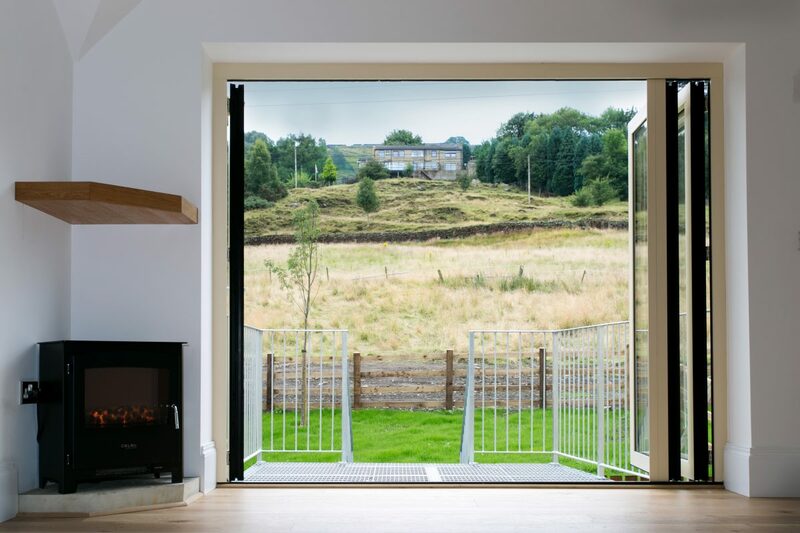 Bowman Riley created concept designs for a residential development on the 4.64 acre site of a redundant series of industrial buildings at Springhead Mills in the West Yorkshire town of Guiseley, which originally opened in 1842. The town has been shaped by its long history and its character today relates to its past development as a booming industrial mill town in the 19th century. 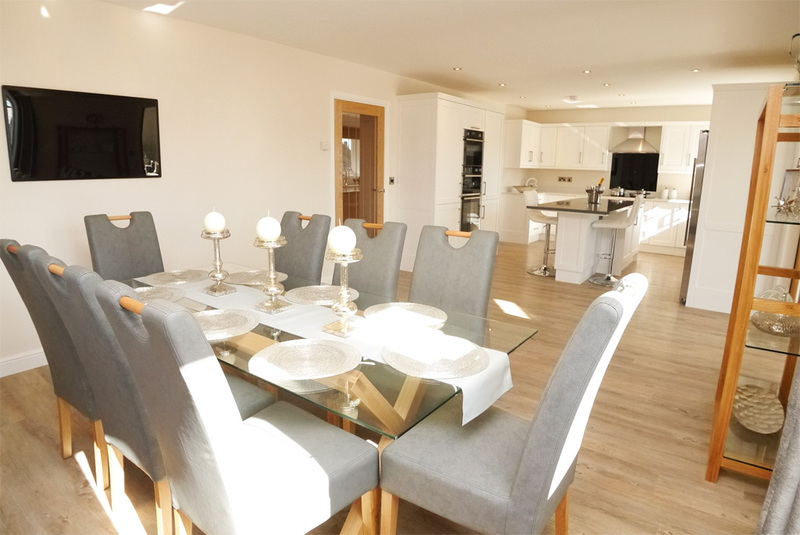 Today Guiseley is a desirable commuter town with local amenities, good schools, close proximity to the countryside and excellent rail links to Leeds, Bradford and Ilkley. 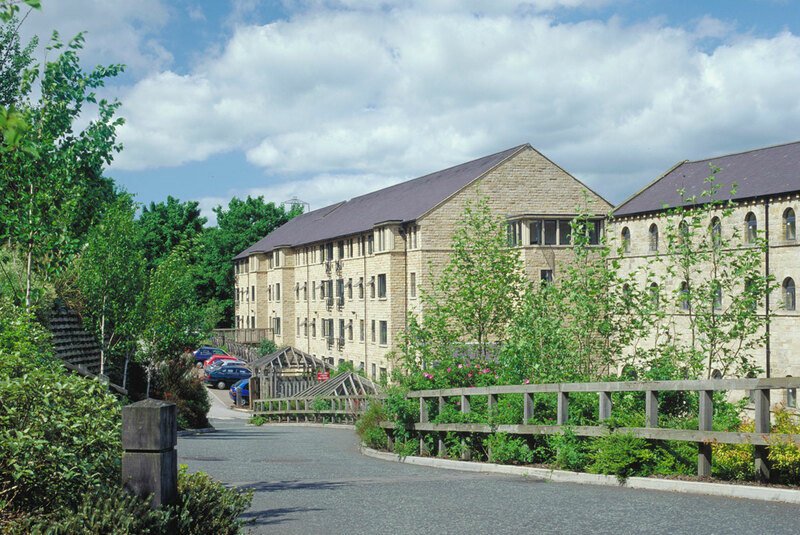 Springhead Mills is the last sustainable site of significance in Guiseley and is adjacent to green space and close by the rail station. The site consisted of 90,318 ft² of deteriorating buildings of varying construction and design. 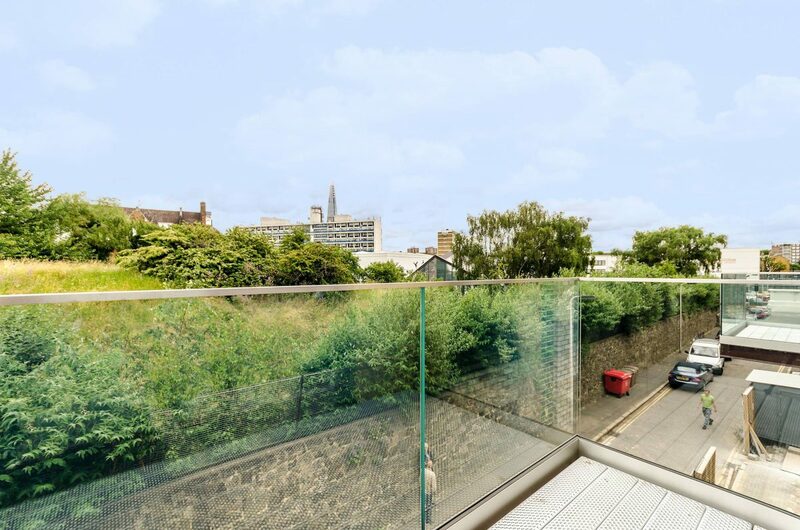 The regeneration of the site provides an opportunity to develop a brownfield site, creating the potential for this underused space to contribute to its surrounding context and to the setting of the adjacent conservation area. 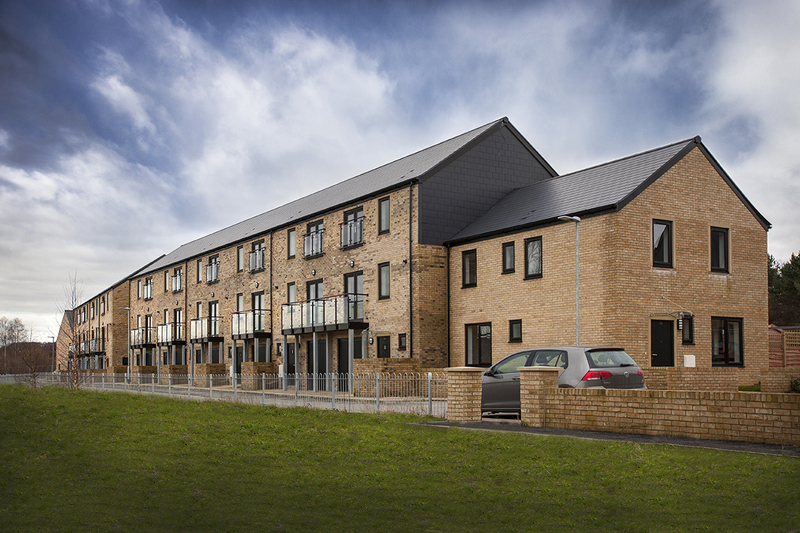 The new development provides 54 much-needed family homes and brings the site back into beneficial use. 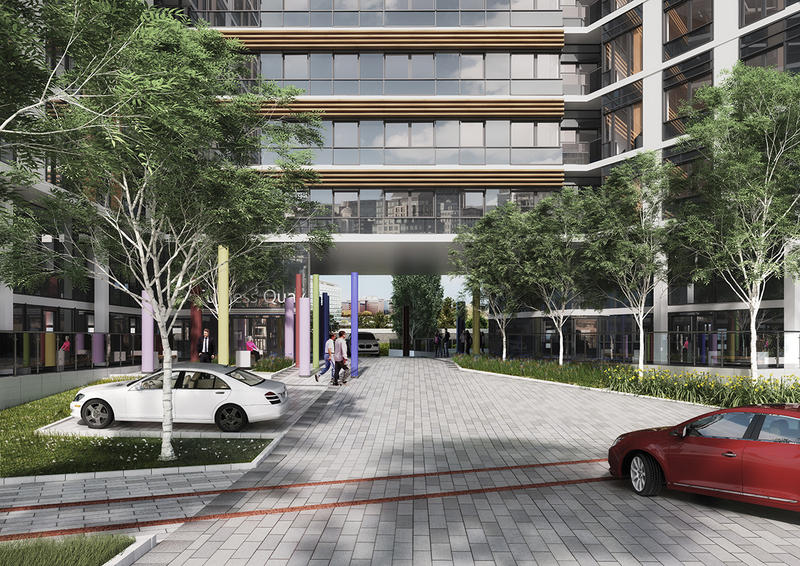 The development will provide benefits for the wider community through improved permeability and connectivity between surrounding streets and open spaces. The design responds sensitively and creatively to the character and historic context of the town. The plans will re-introduce activity to area and will open up and connect two underused areas of existing open space adjacent to the site. Part of the client’s land was used to increase the size of the adjacent parkland. 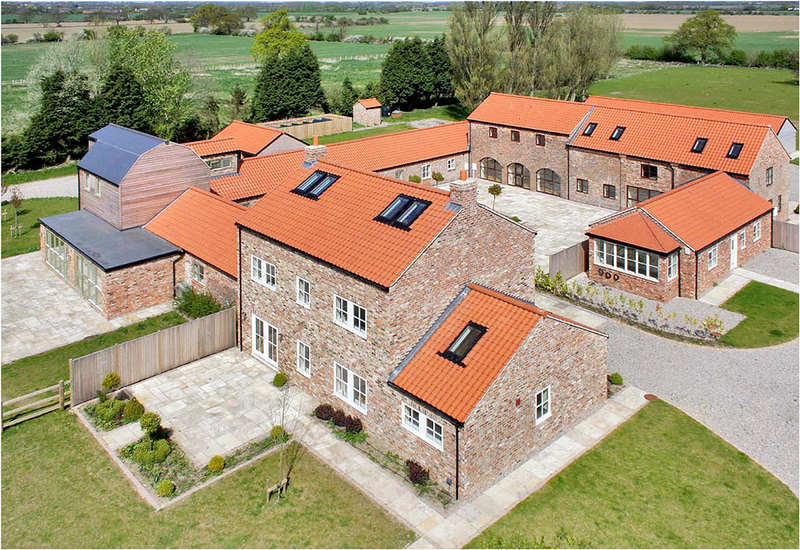 Bowman Riley designed the conversion of former agricultural buildings to form Wilstrop Lodge, six highly individual residences and a new build farmhouse with car parking barns. 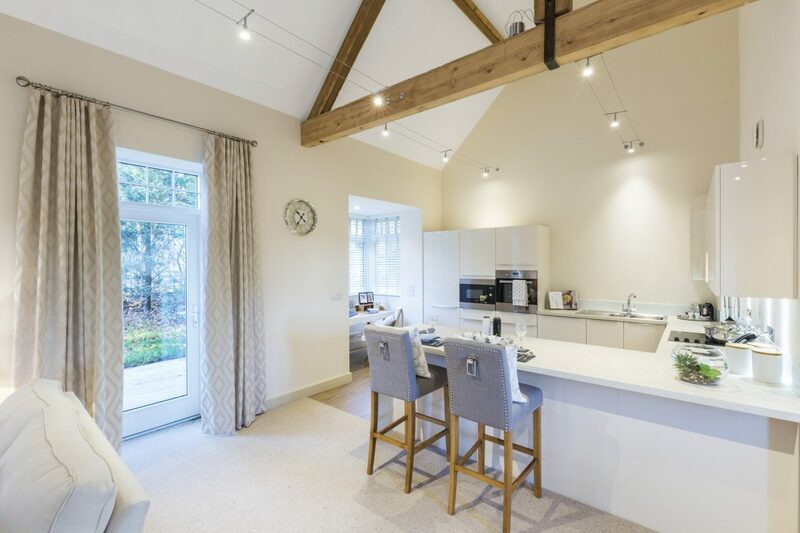 The new residences are set in a beautiful countryside just outside the village of Moor Monkton near York. 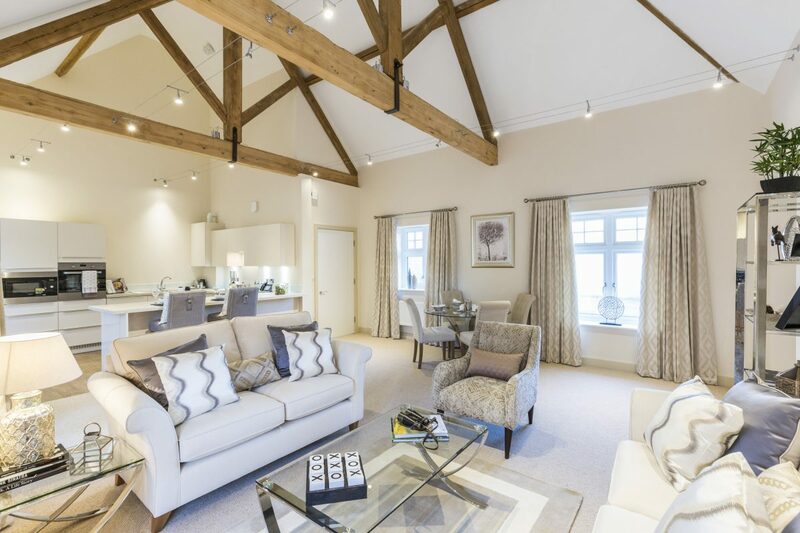 The new development was created from the original farmhouse, two converted barns and a spectacular converted water tower. 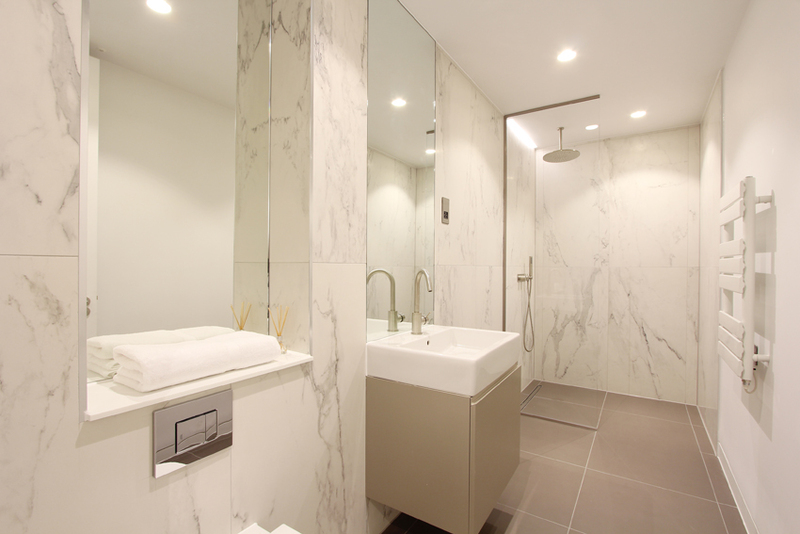 Our design mission was to preserve the original character of the buildings whilst providing quality and contemporary luxuries. 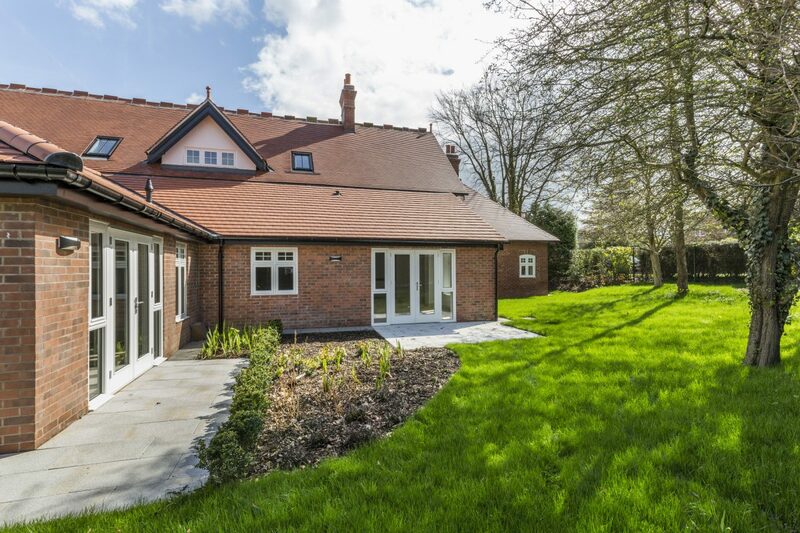 The properties were constructed from a mixture of styles and materials including traditional brickwork, pantile slates and cedar cladding with timber windows and doors. 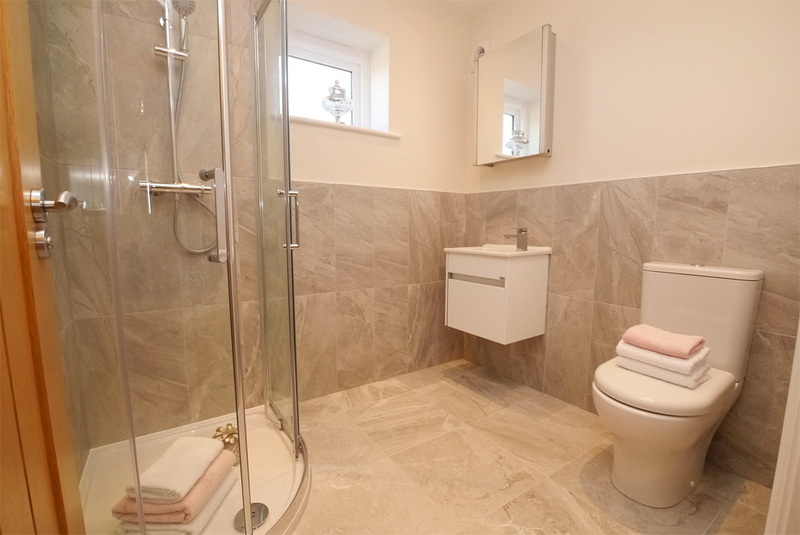 That has resulted in a collection of period homes with elegant touches such as bespoke staircases, oak flooring, natural stone and spacious kitchens and living areas. 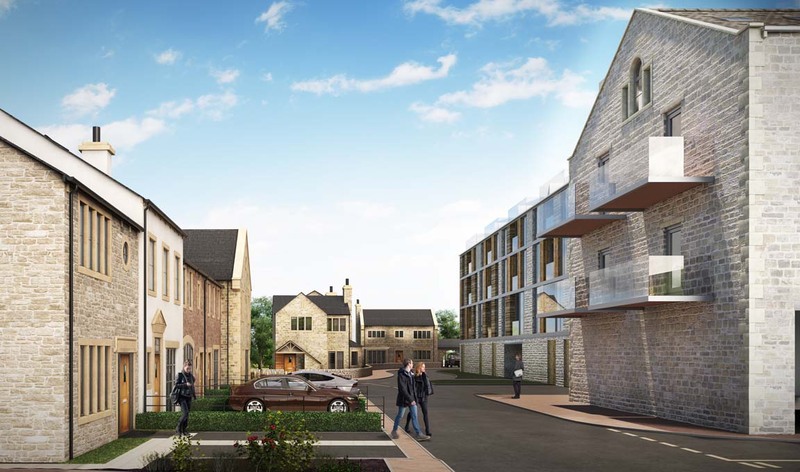 Bowman Riley provided concept designs for the redevelopment of Grove Mill, a redundant textile mill complex in Ingrow, close to the West Yorkshire town of Keighley to provide a £65 million regeneration mixed use scheme. 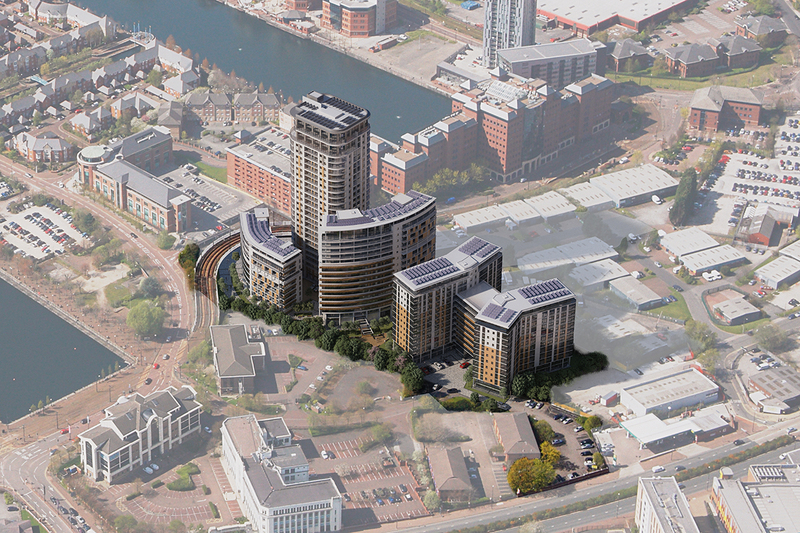 The mills would be converted into 354 flats and 53 family homes, alongside offices, a cafe bar, a gym, crèche, health club, swimming pool, creche and a mini-market. The complex site is bisected by the famous Keighley and Worth Valley Railway, a heritage steam branch train line which has been restored and runs through the Worth Valley from Keighley to Oxenhope and the Brontë sisters’ Haworth. 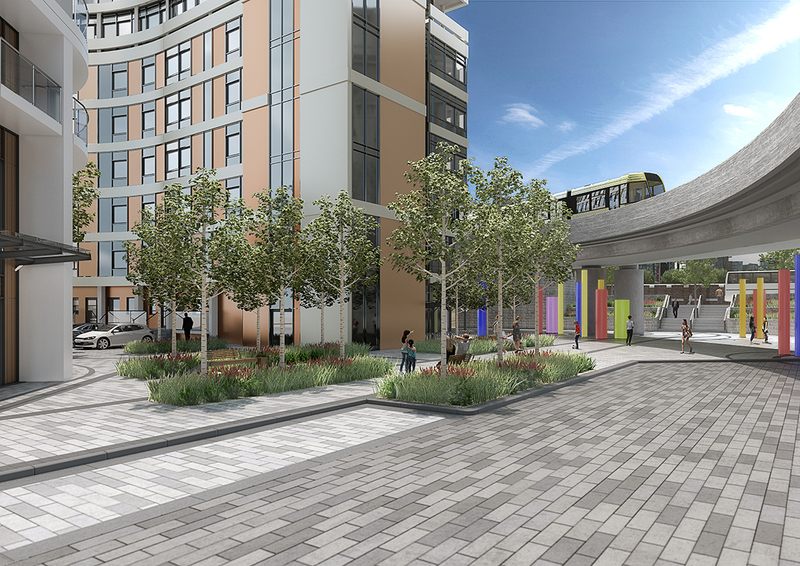 The banks of the River Worth would get new pedestrian and cycle links with 700 cars parking spaces provided some underground and a new entrance off Halifax Road controlled by traffic lights, with a pedestrian crossing. 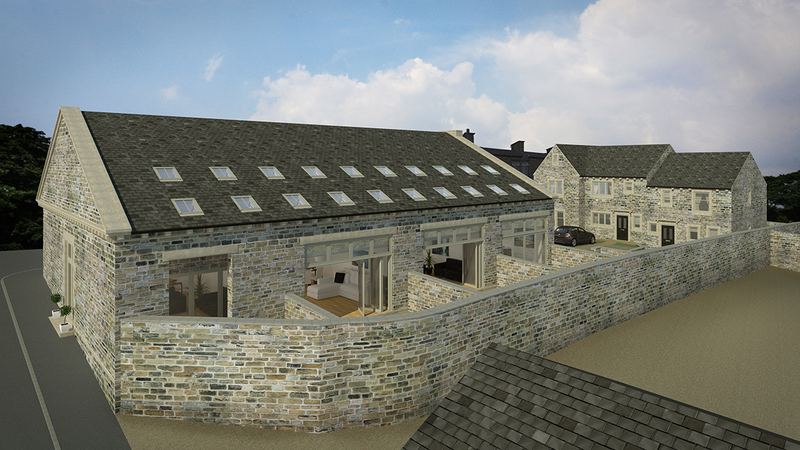 We helped Skipton Properties prepare the planning application, one of the biggest ever to be submitted in Keighley. 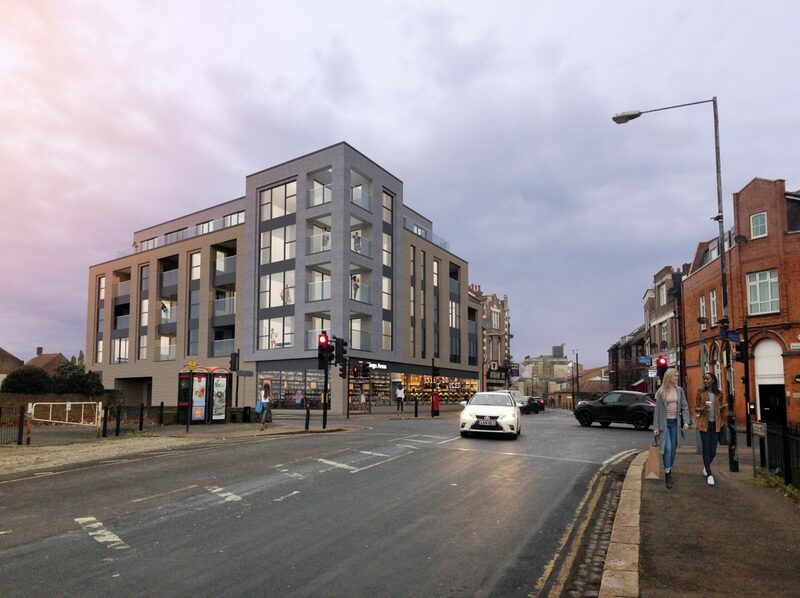 A public consultation led to several amendments to the plan, which was unanimously supported by the local authority to receive full planning permission. 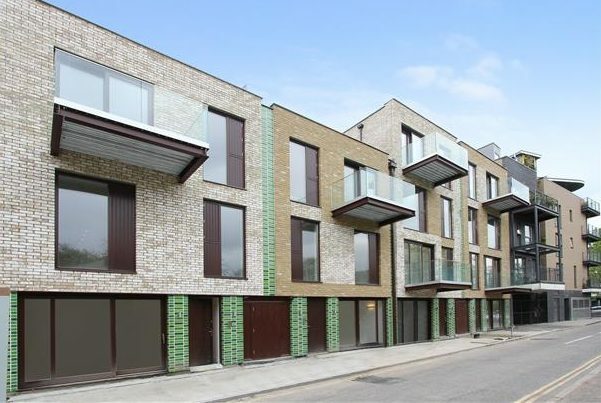 Following the economic downturn, the developer won permission to substantially reduce the number of planned flats and increase the number of houses in response to the changes in market demand. 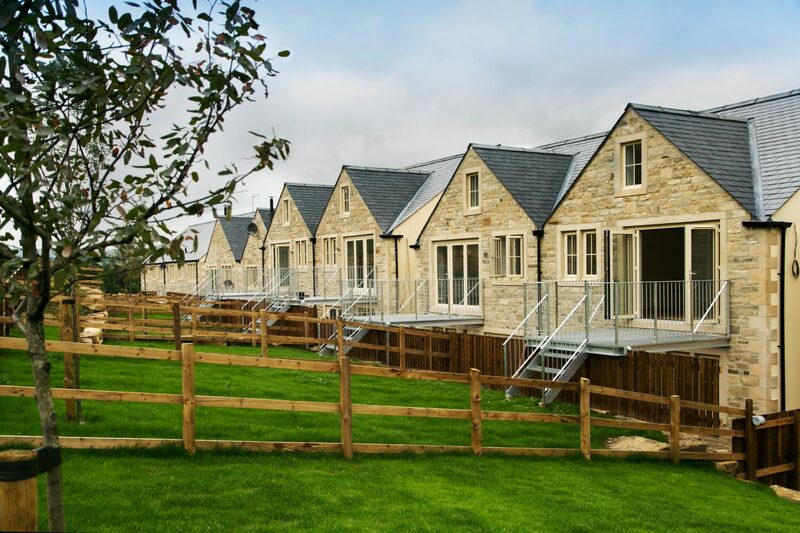 Bowman Riley provided a residential masterplan for Stonebridge Homes on Wyvern Park, a large greenfield site with existing outline planning consent on the outskirts of the North Yorkshire town of Skipton. 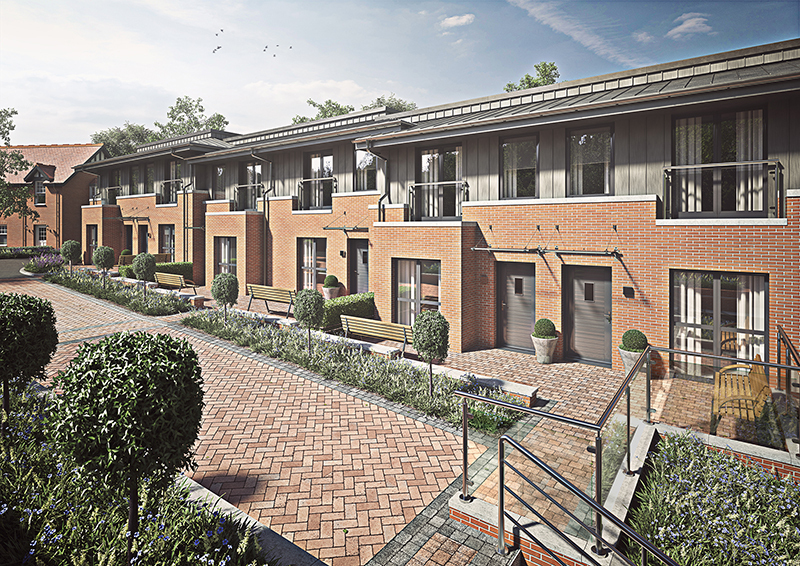 We developed the masterplan by applying the Stonebridge Homes’ standards and house types for up to 225 residences. 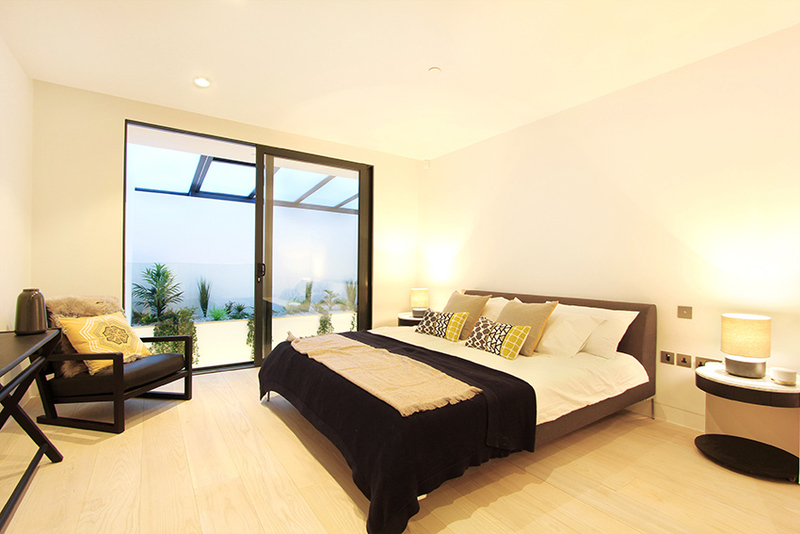 The houses are based on a defined mix of market and affordable houses ranging from one to five bedroom homes. 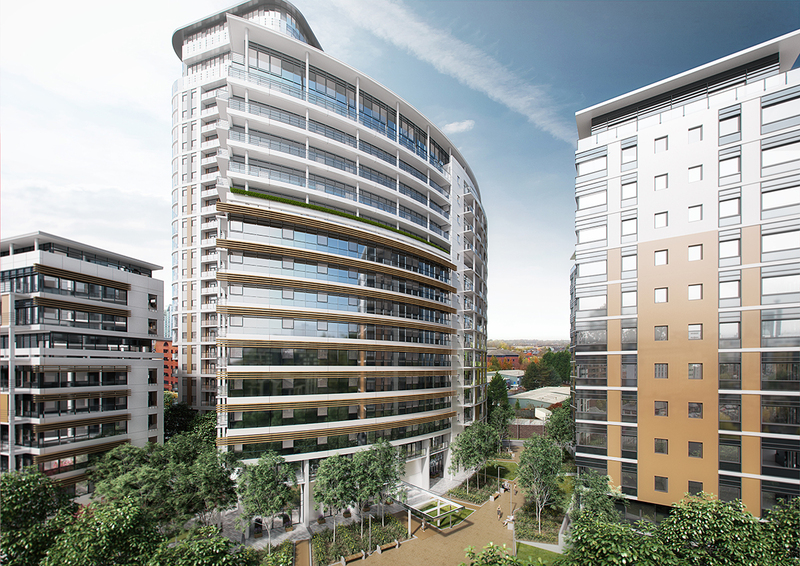 The properties will form part of a wider mixed use development. Careful consideration was given to site layout in consideration of the nearby flood risk zones and the crematorium. 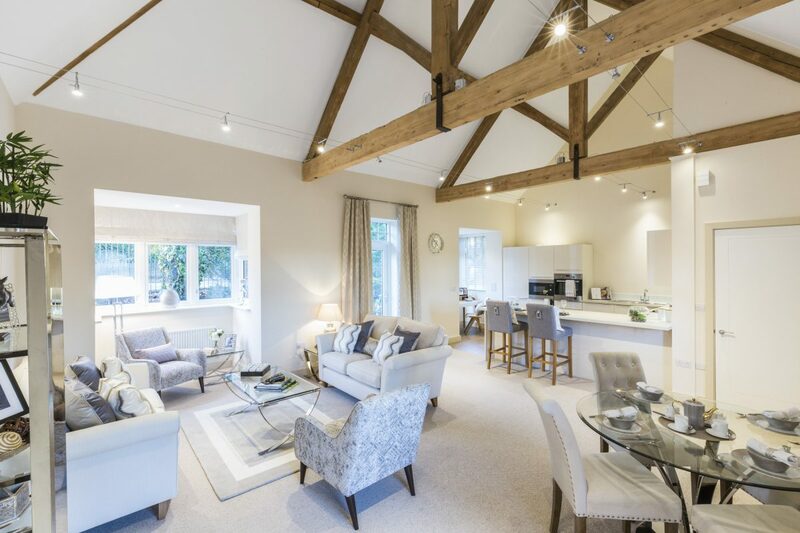 The residences were zoned to create a diverse neighbour whilst making the most of the open views across the beautiful Yorkshire Dales countryside for the larger five bedroom detached houses. 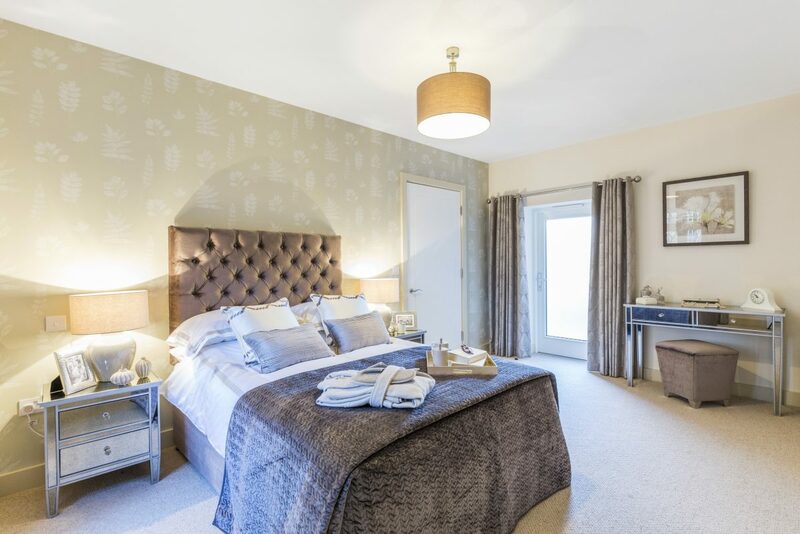 The development will help to meet a shortage of homes in the Skipton area considered by The Sunday Times as the Best Place to Live in the UK 2014.